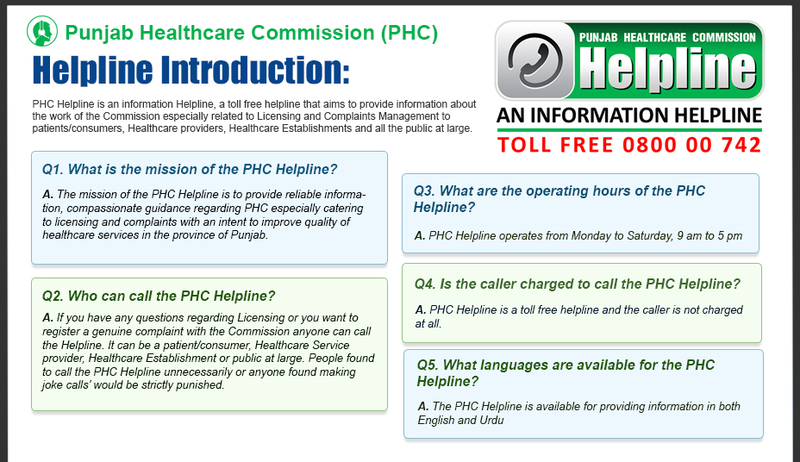 The PHC utilizes different communication tools to provide its diverse stakeholders with accurate and timely information about its various regulatory initiatives. 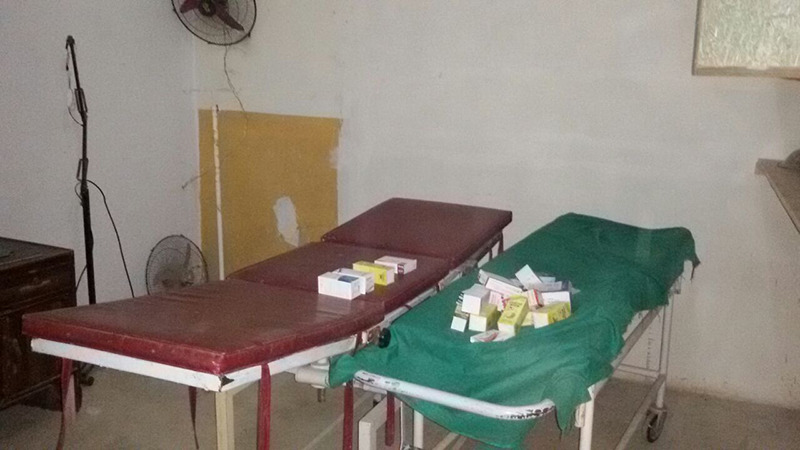 The Punjab Healthcare Commission has sealed 50 businesses of quacks. 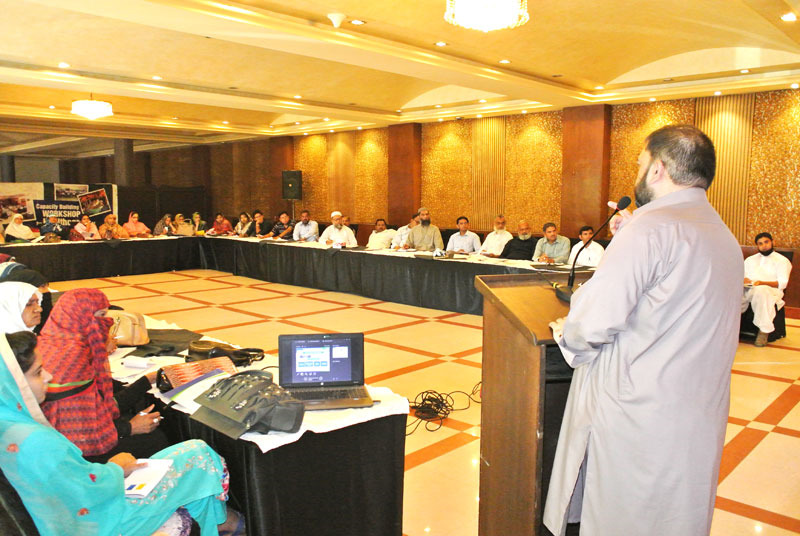 The Punjab Healthcare Commission completed training of 44 general practitioners on the minimum service delivery standards (MSDS). 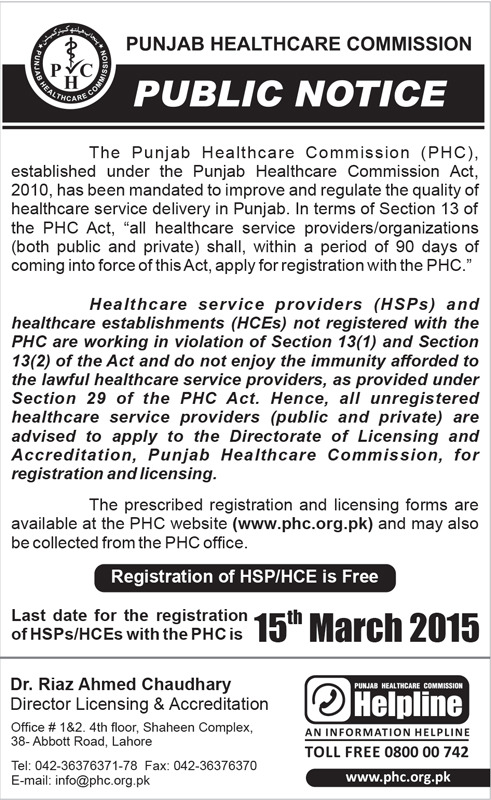 The Punjab Healthcare Commission took action against quacks and closed down 36 quackery outlets. 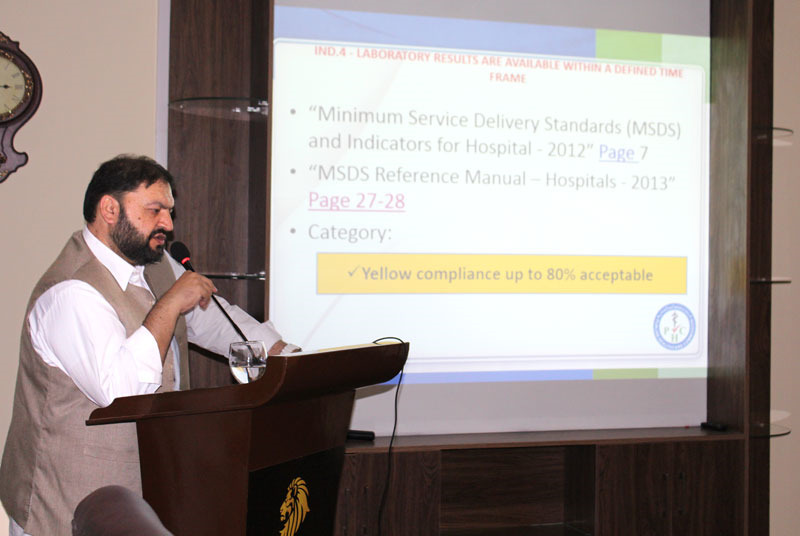 The Punjab Healthcare Commission completed training of 39 general practitioners, 9 pathologists and 13 lab technicians on the minimum service delivery standards (MSDS). 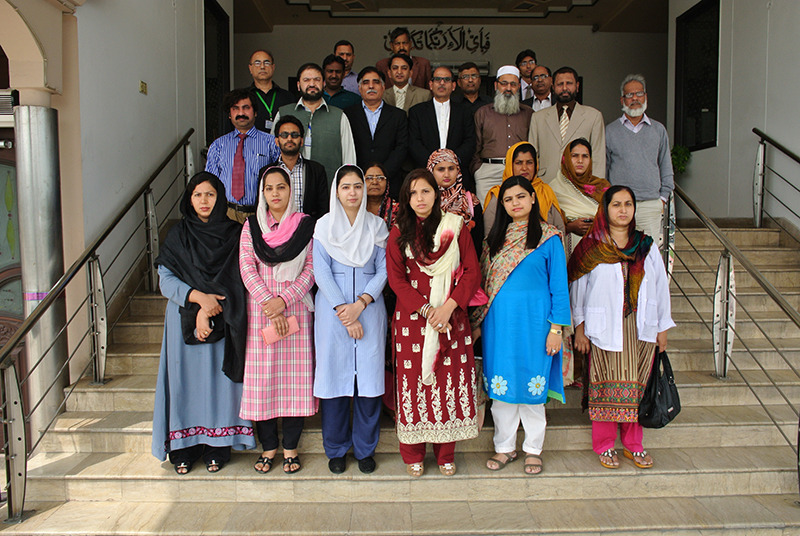 The Punjab Healthcare Commission completed training of 53 general practitioners. 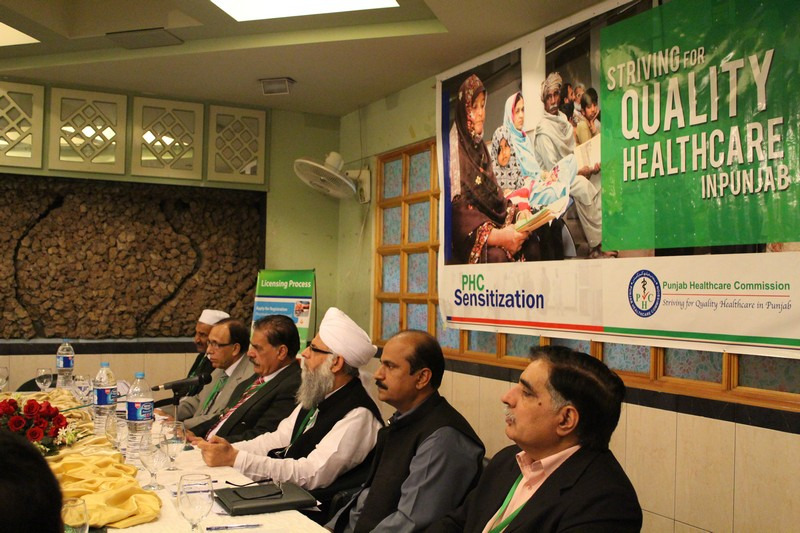 PHC seals over 18,500 quackery outlets, teams visit 41,600 treatment centres. 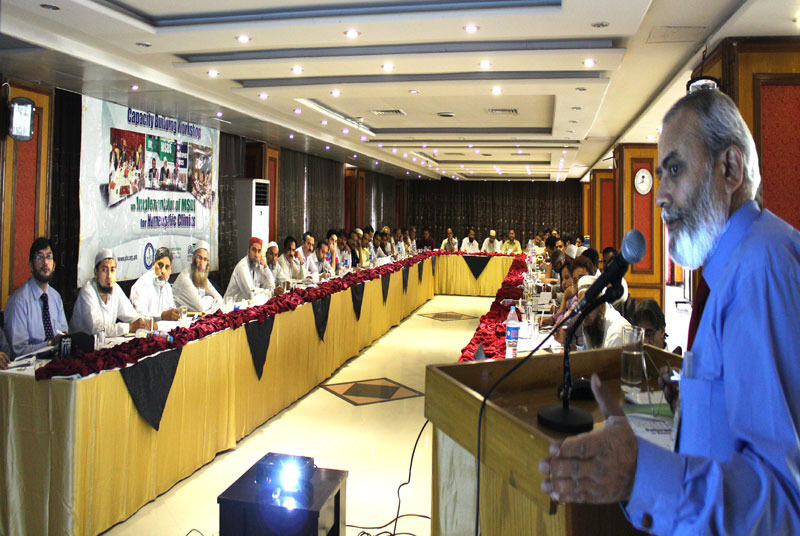 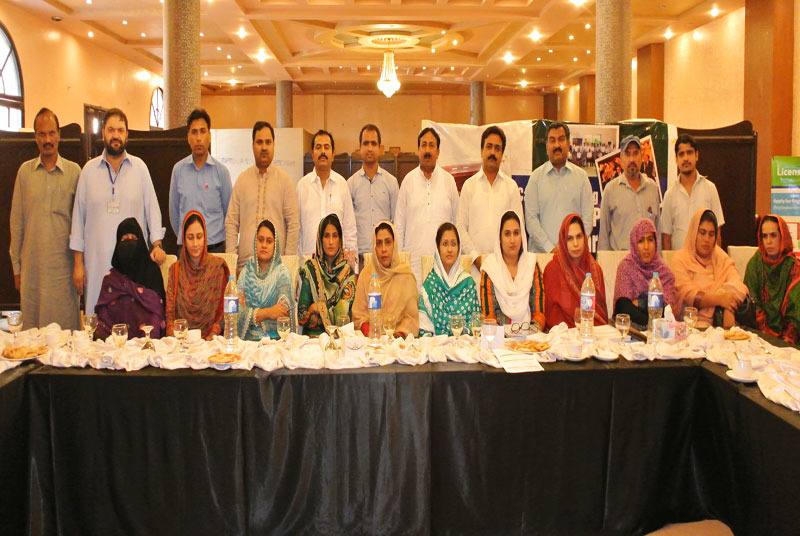 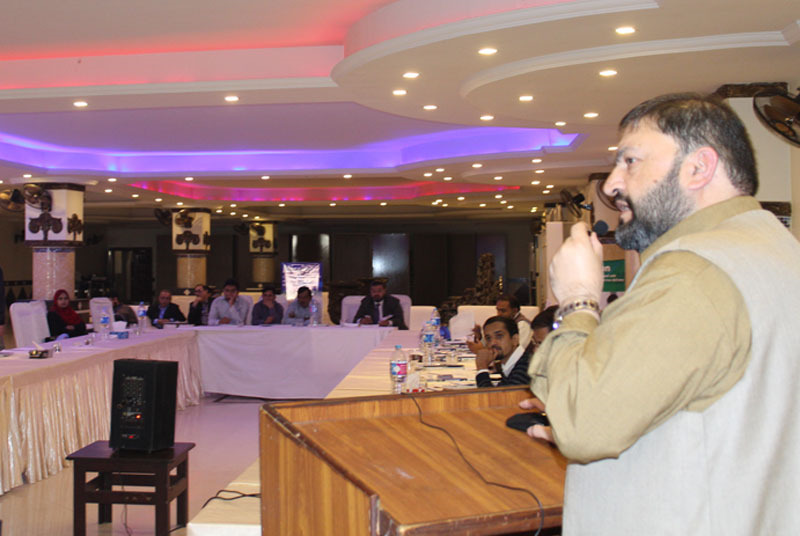 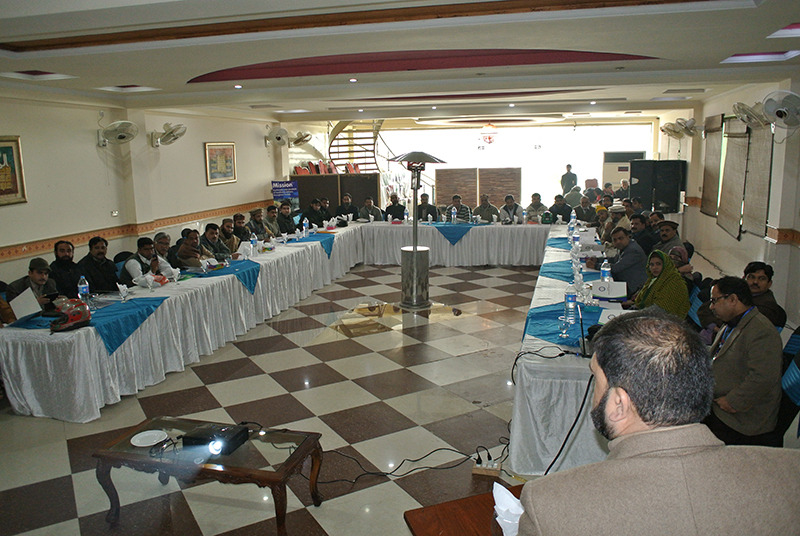 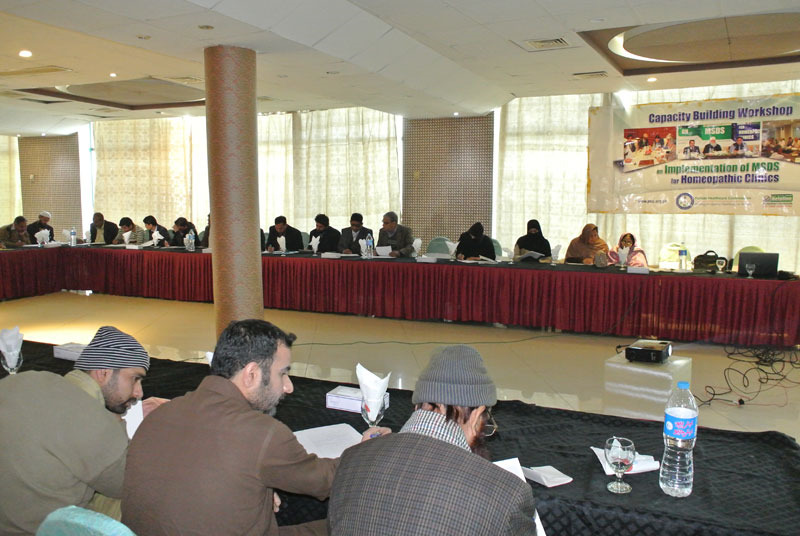 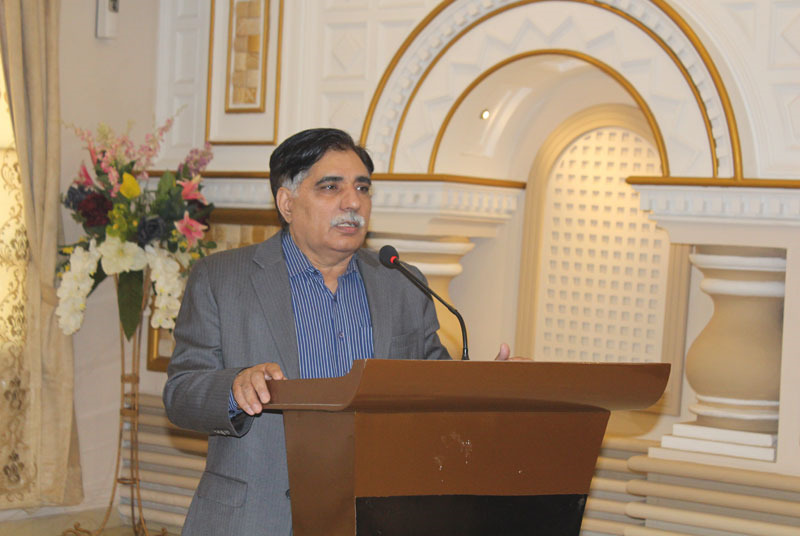 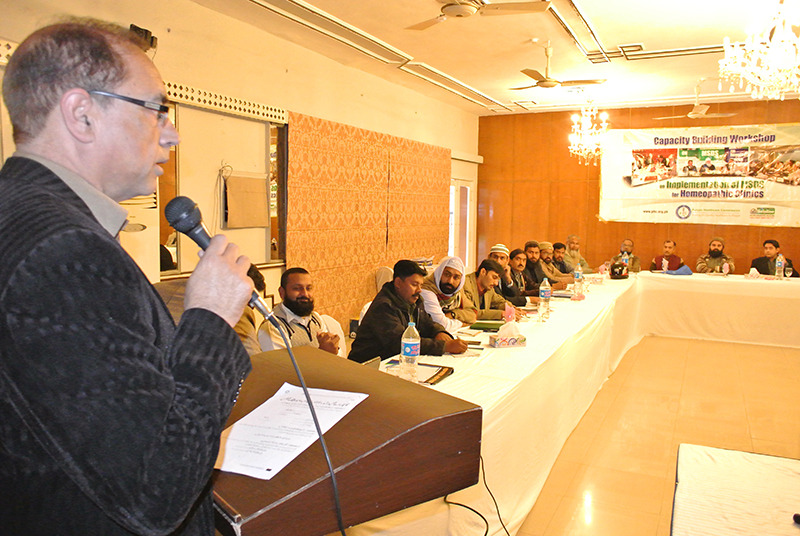 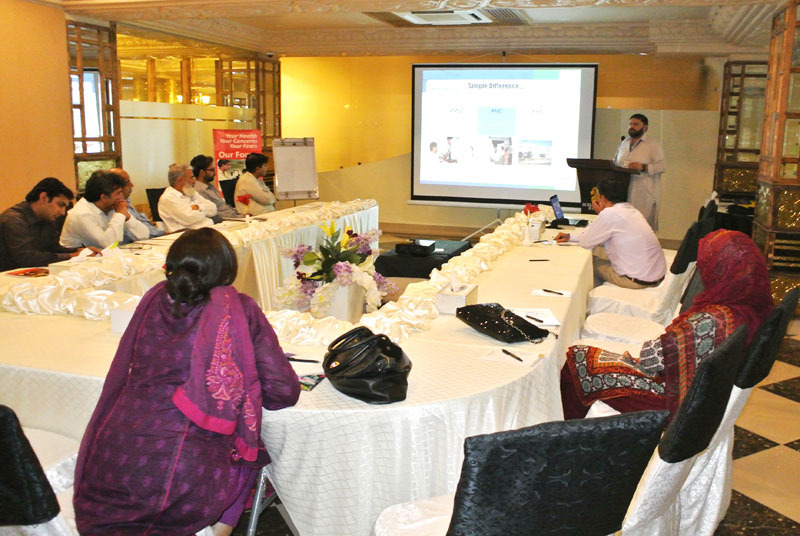 The Punjab Healthcare Commission completed three-day training of 29 category-I hospitals. 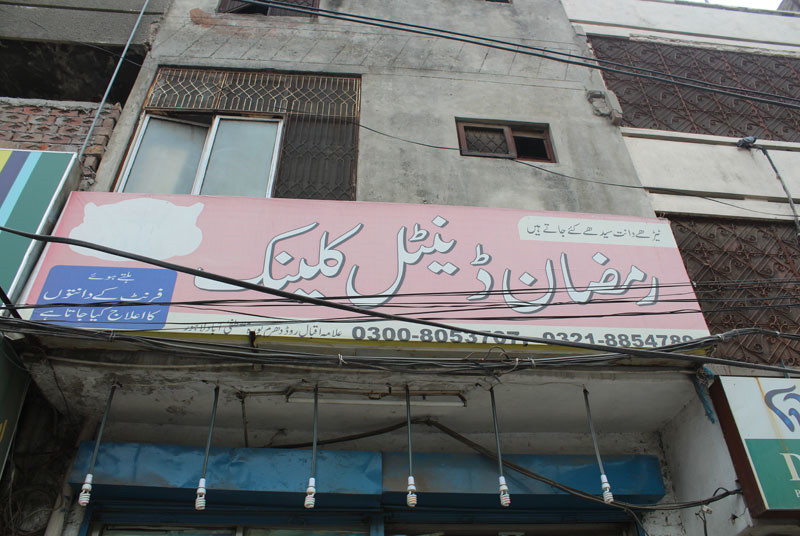 The Punjab Healthcare Commission has sealed 24 businesses of quacks. 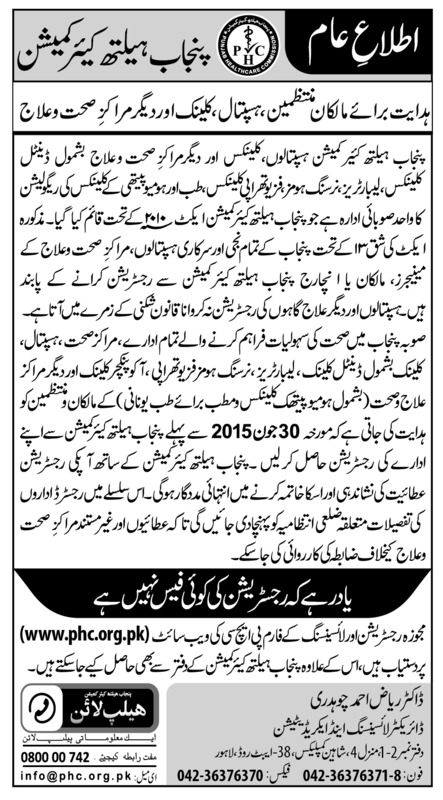 The Punjab Healthcare Commission has closed down 35 quackery centres during the last three days. 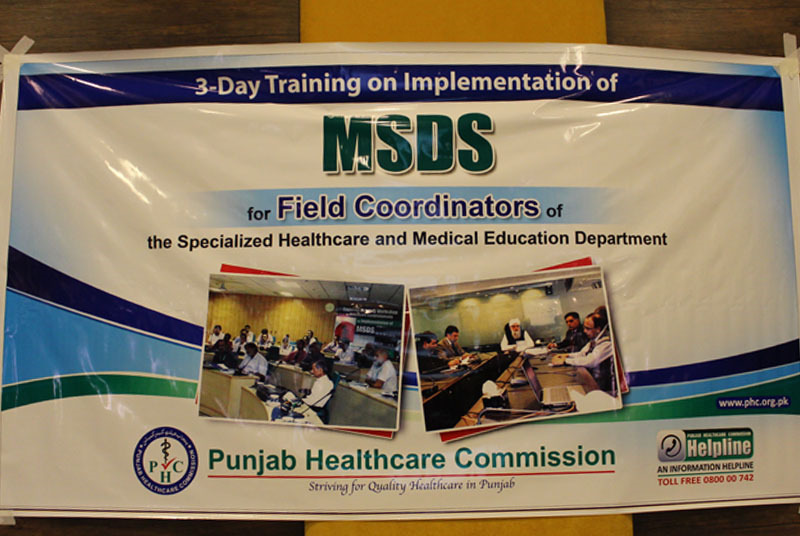 The Punjab Healthcare Commission Friday completed training of 35 general practitioners on the minimum service delivery standards (MSDS). 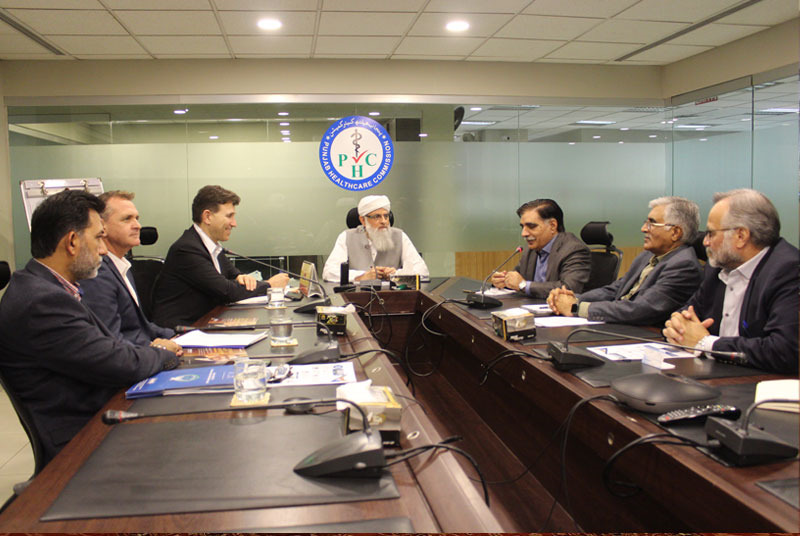 A delegation of the World Bank visited Punjab Healthcare Commission on 13th February 2019. 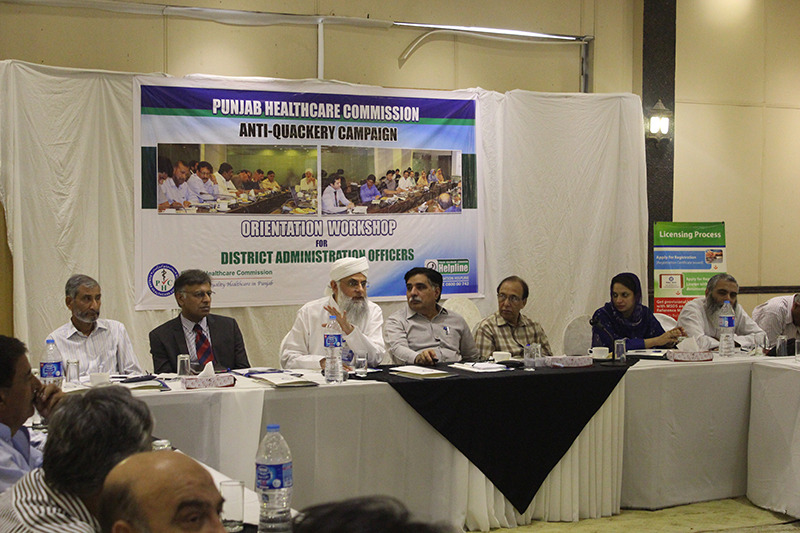 The Punjab Healthcare Commission has constituted sub-committees, which will start working immediately. 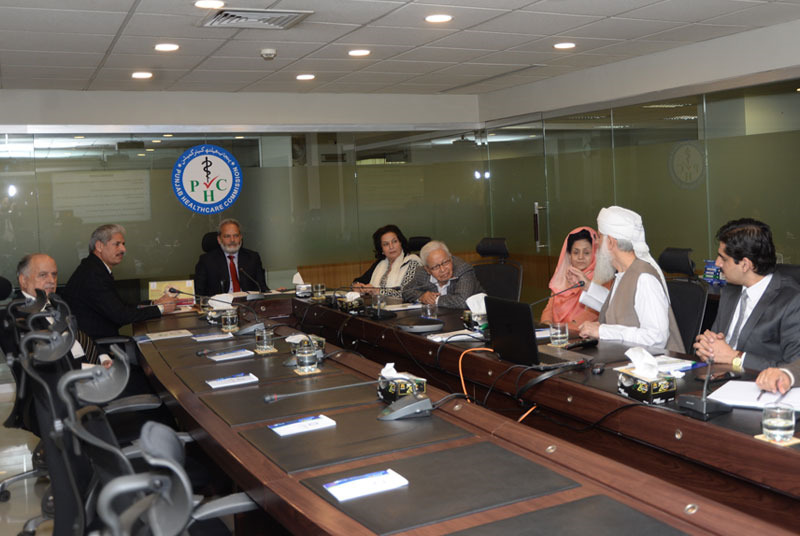 A high-level delegation of the National Council for Homeopathy (NCH) visited office of the Punjab Healthcare Commission on 4th February 2019. 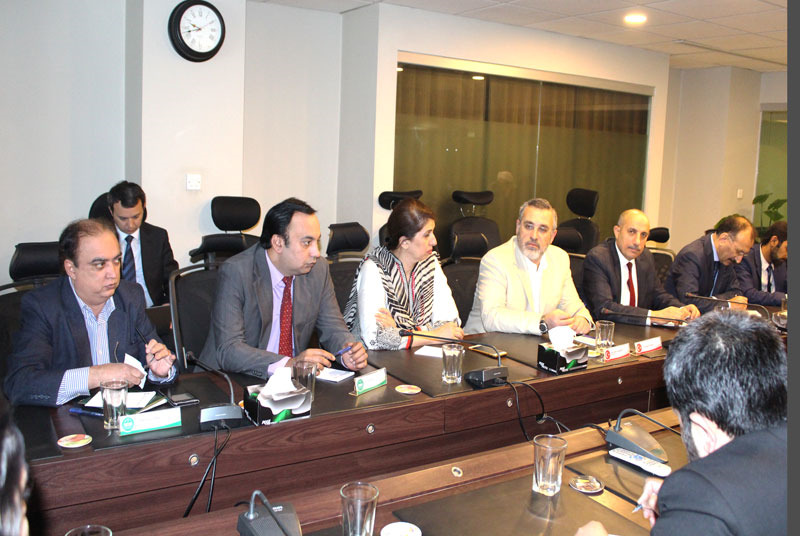 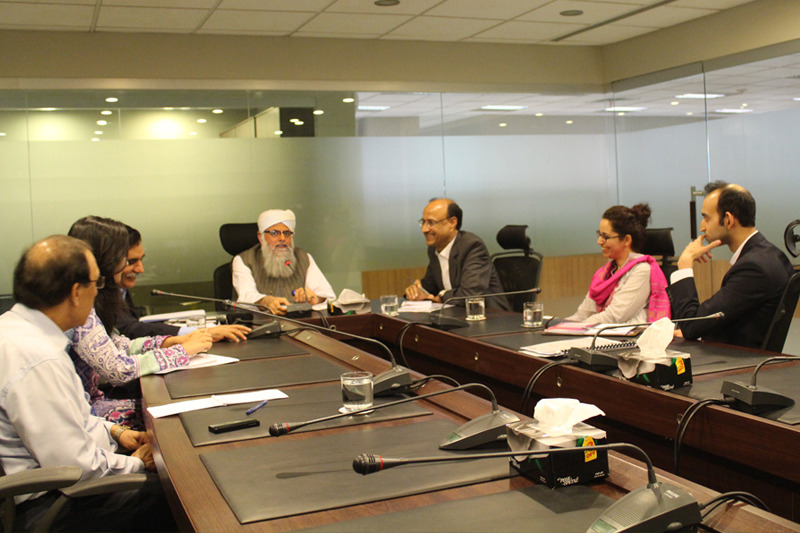 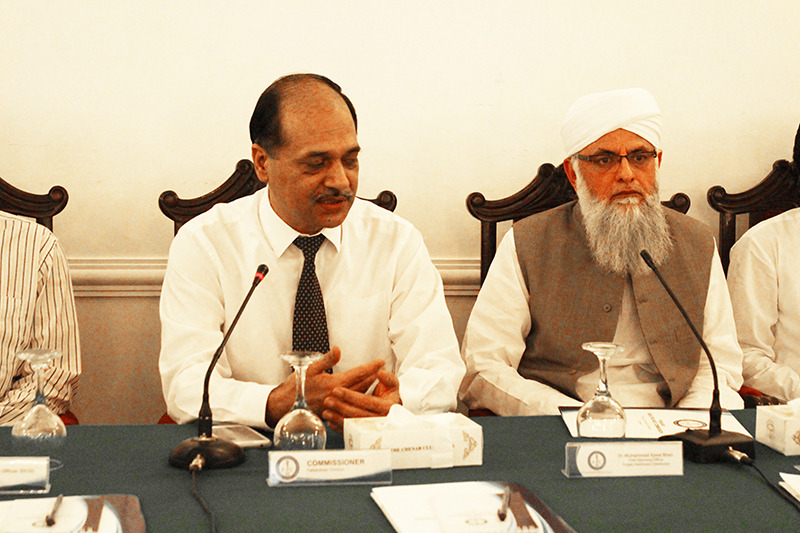 A high-level delegation of the National Council For Tibb (NTC) visited office of the Punjab Healthcare Commission. 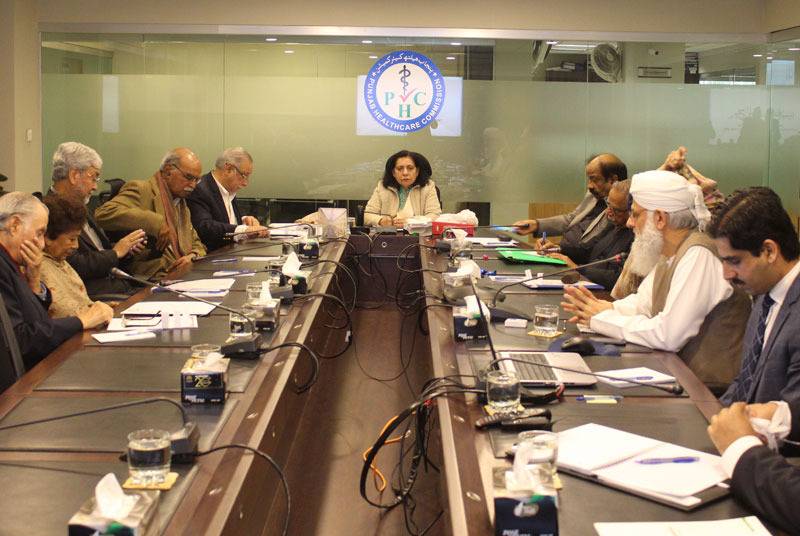 The Board of the Commissioners of the Punjab Healthcare Commission has unanimously elected senior health professional Prof Dr Attiya Mubarak Khalid as the Chairperson BoC. 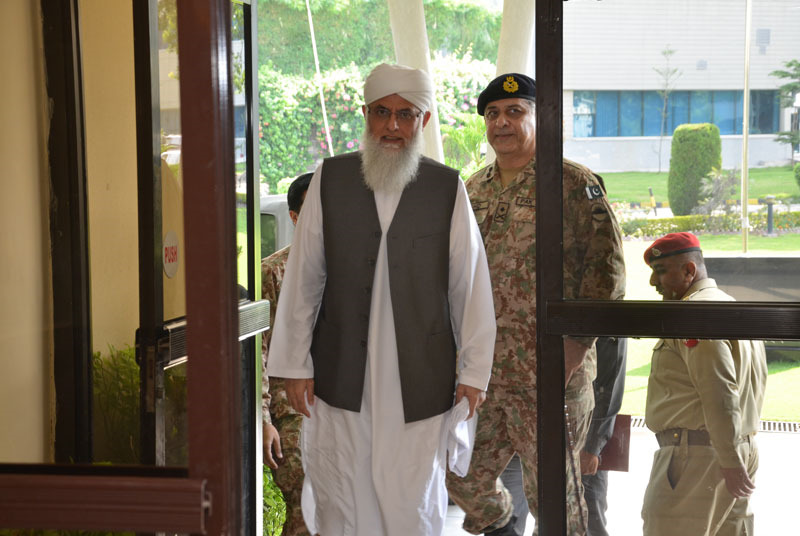 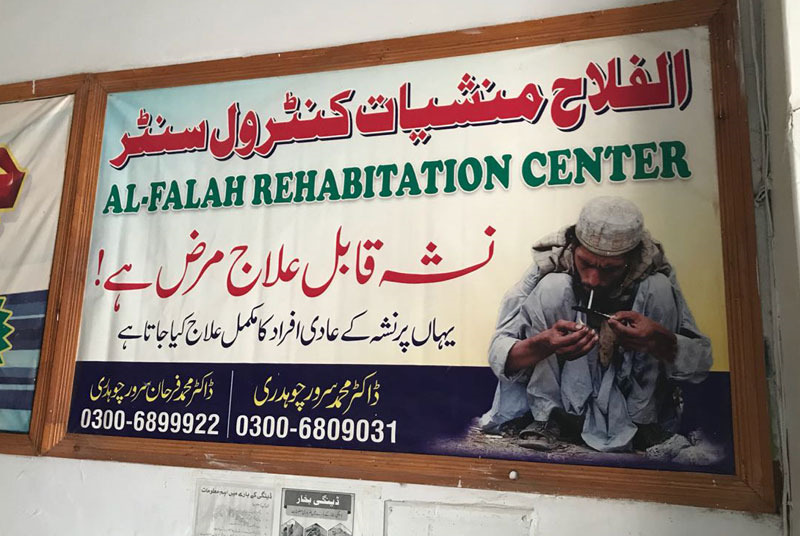 The Punjab Healthcare Commission sealed a drug addiction treatment and rehabilitation centre, evacuated 38 inmates and shifted them to the Punjab Institute of Mental Health for treatment. 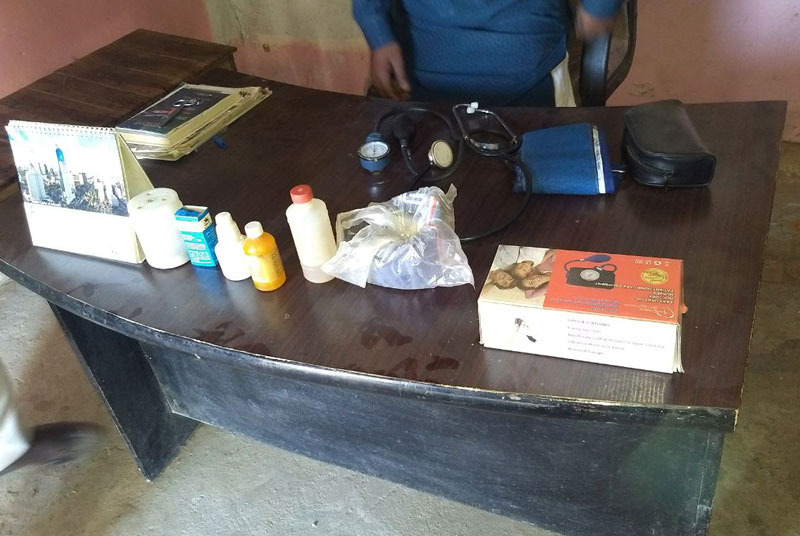 In year 2018 PHC registers 15,425, licenses 11,886 & inspects 7,112 HCEs, trains 7,674 HCSPs Seals 10,772 quackery outlets, 43 drug addiction treatment centres. 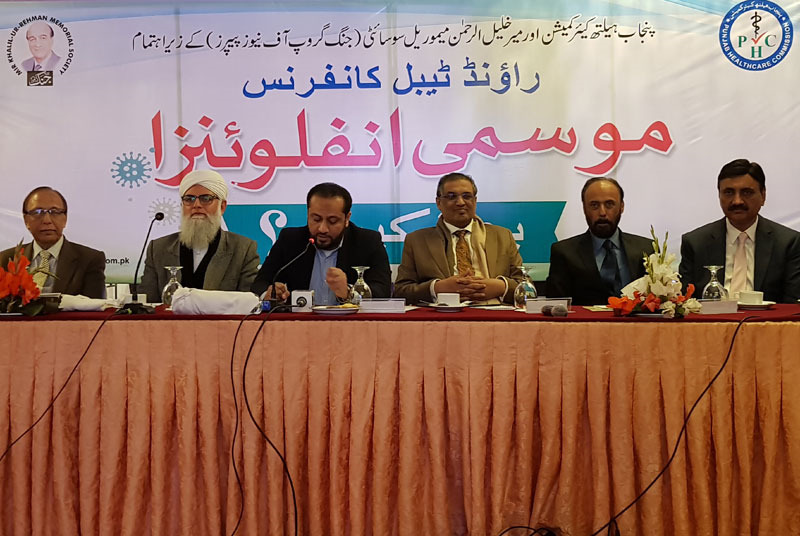 The Punjab Healthcare Commission has proposed rates of treatment, laboratory tests and consultations, which have been figured out keeping basic cost, reasonable profit margin and grading of the private hospitals in perspective. 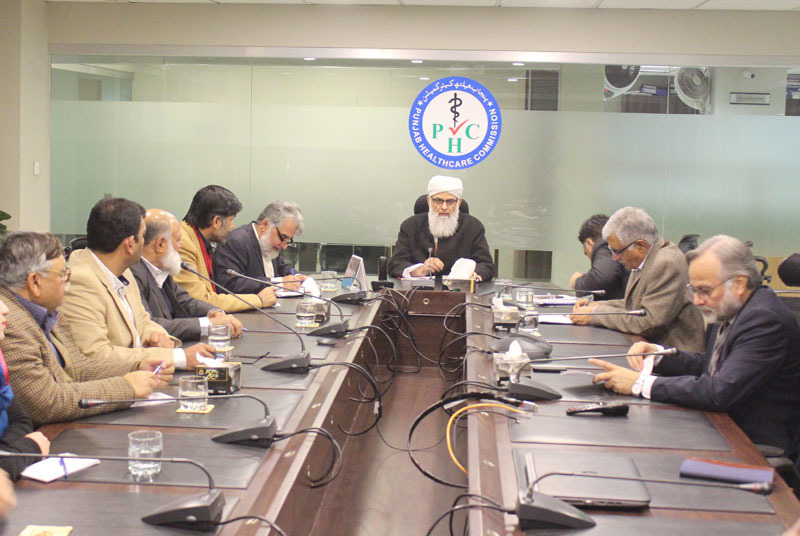 The Punjab Healthcare Commission submitted report on costing and pricing of services and consultations of the private hospitals. 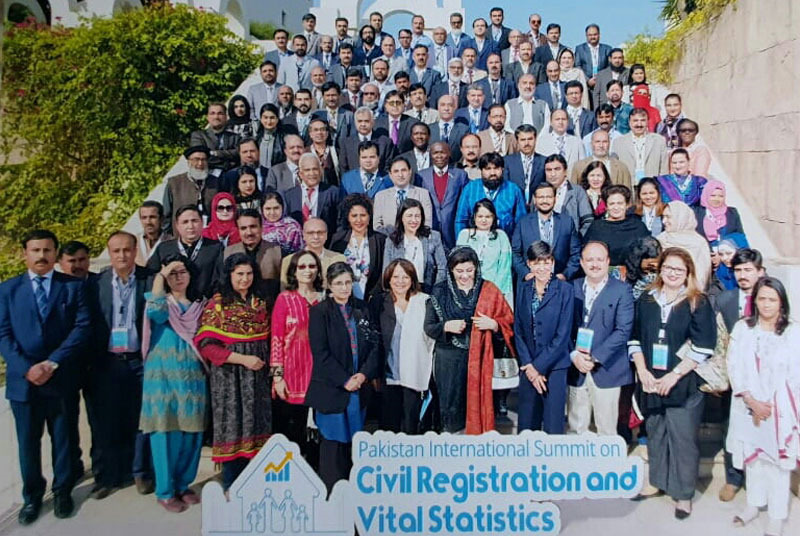 COO PHC Dr Muhammad Ajmal Khan was invited to the International Summit on Civil Registration and Vital Statistics" held on 28-29 Nov, 2018 at Hotel Serena, Islamabad. 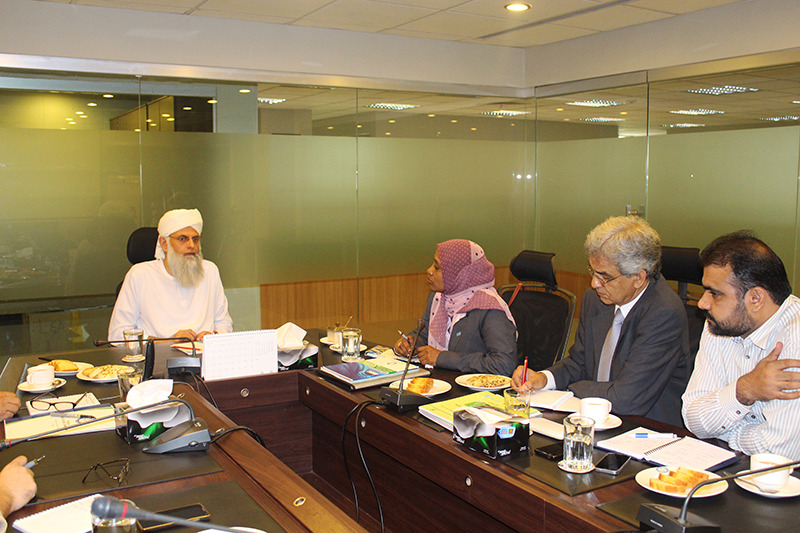 The Punjab Healthcare Commission held a meeting with USAID and decided to join hands for improving healthcare service delivery in the province. 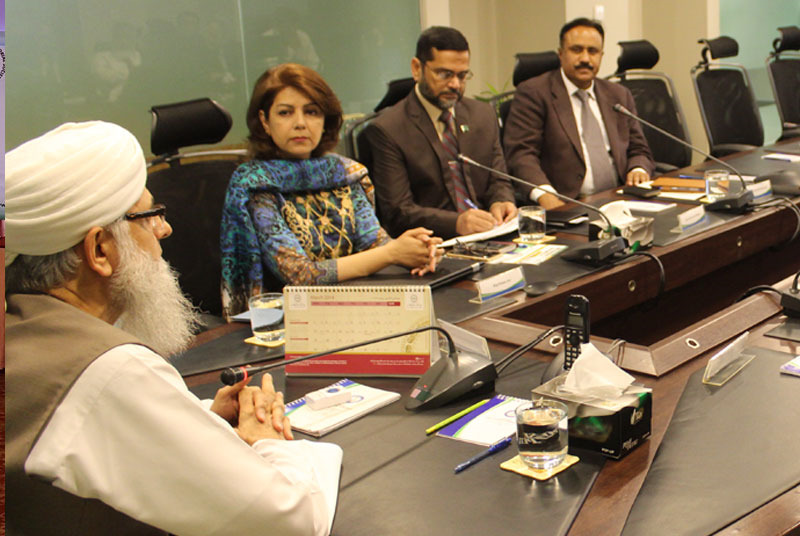 The Punjab Healthcare Commission and Safe Blood Transfusion Programme Pakistan have joined hands to establish a common platform for creating coordination among all the stakeholders for safe blood transfusion. 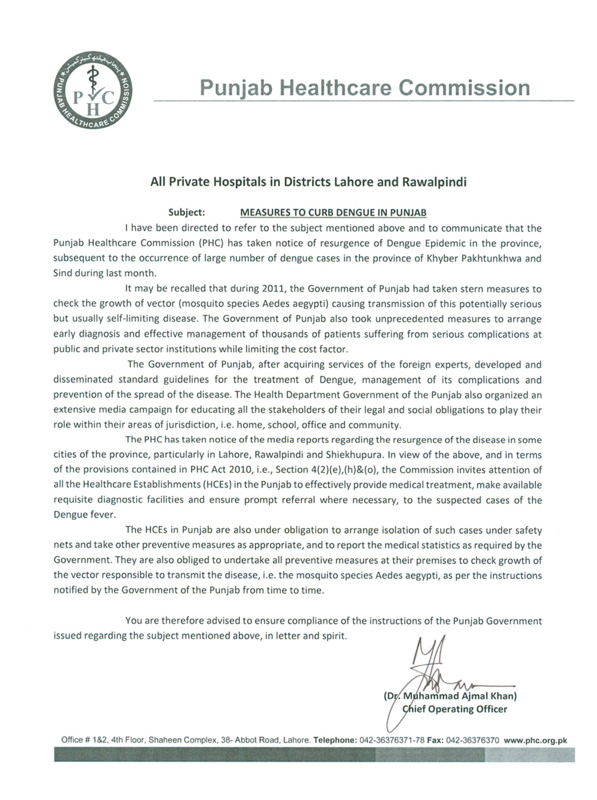 The Punjab Healthcare Commission has imposed a fine of Rs0.5 million on a private hospital for swapping medical reports, leading to wrong management of a patient. 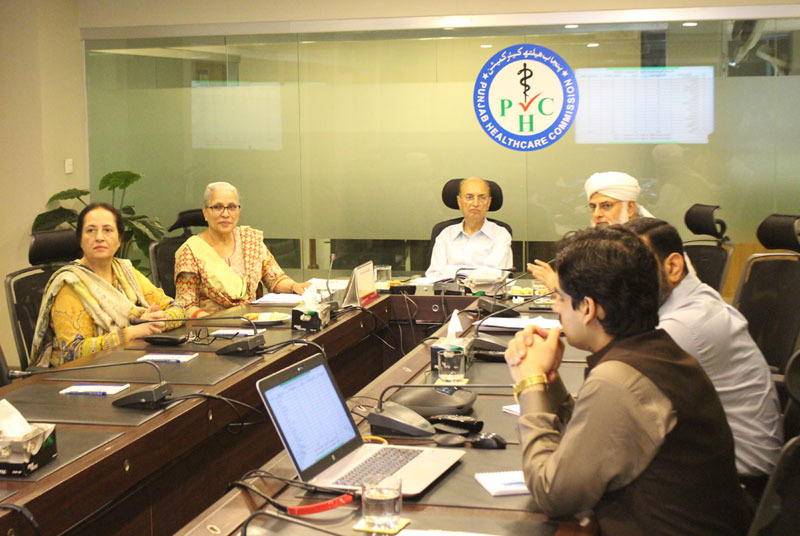 The Punjab Healthcare Commission in its 40th BOC meeting constituted new committees for different departments, which will start working immediately. 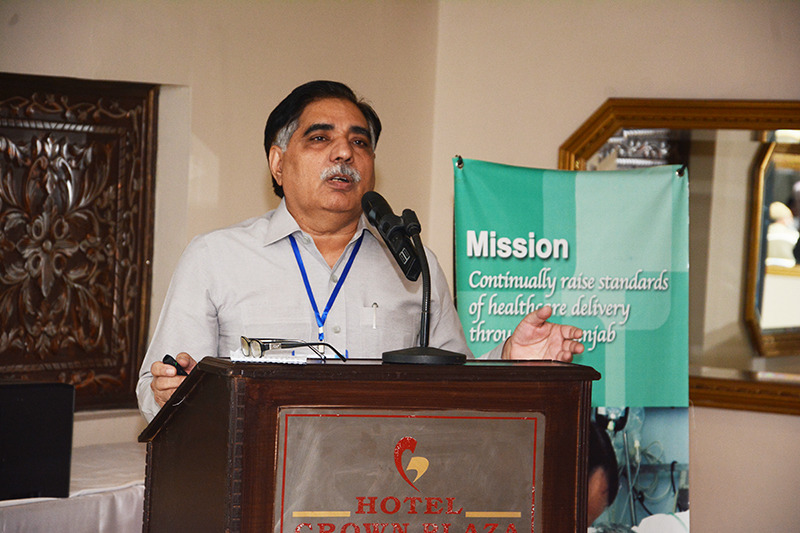 The Board of the Commissioners of the Punjab Healthcare Commission elected senior health professional Dr Azeemuddin Zahid Lakhvi as the Chairperson BoC. 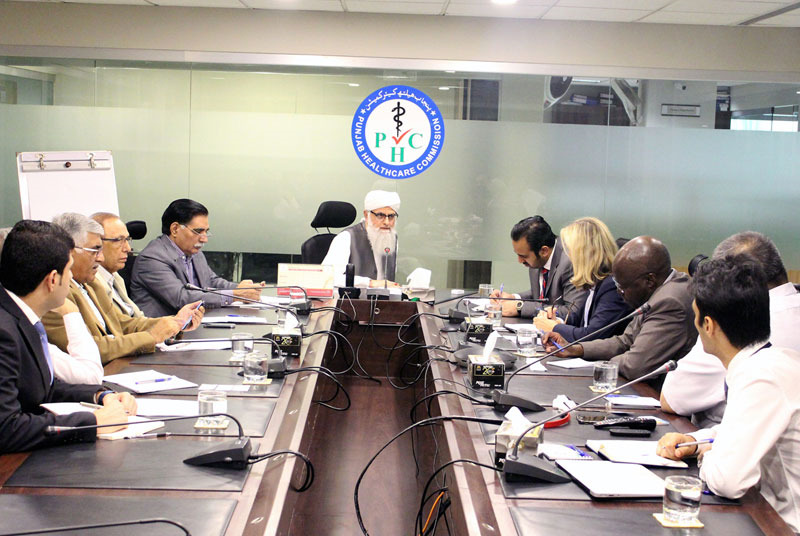 The PHC and Riphah International University will collaborate to promote patient safety and quality of the healthcare service delivery. 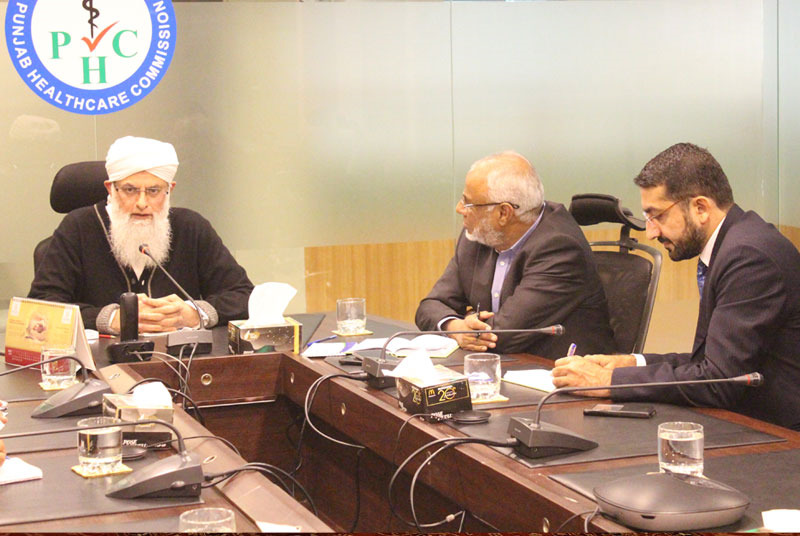 In this regard, a five-member committee has been constituted, which has three members from the PHC and two of the Riphah University. 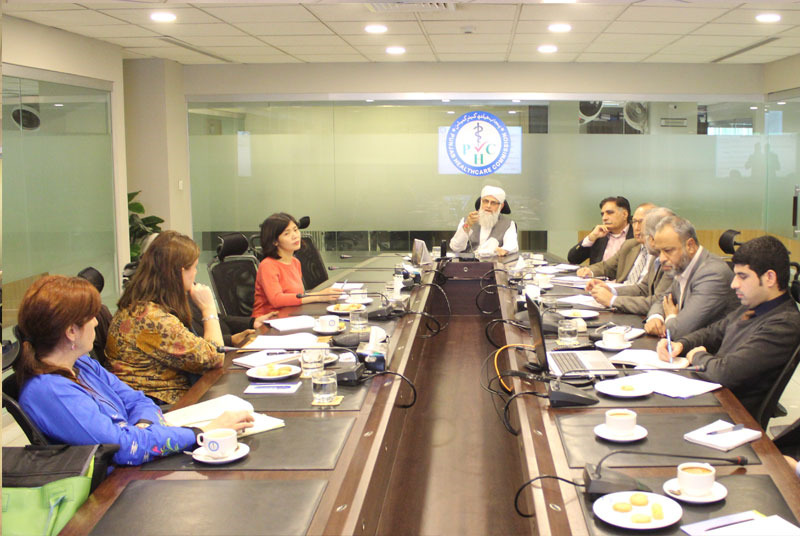 The Punjab Healthcare Commission organized a meeting with Midlands Partnership Foundation Trust NHS UK, both parties decided to collaborate for mutual learning for quality assurance in the healthcare service delivery. 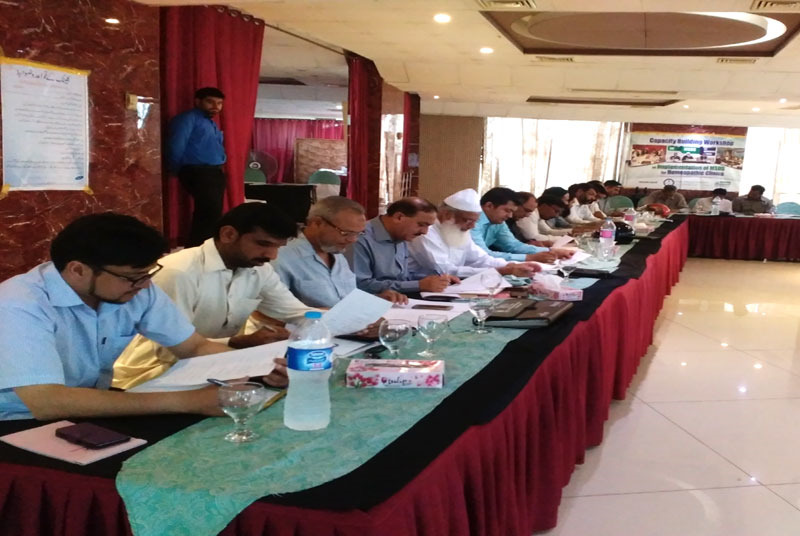 The Punjab Healthcare Commission has completed training of 257 hakeems and 78 homoeopathic doctors in four separate sessions organised in different batches. 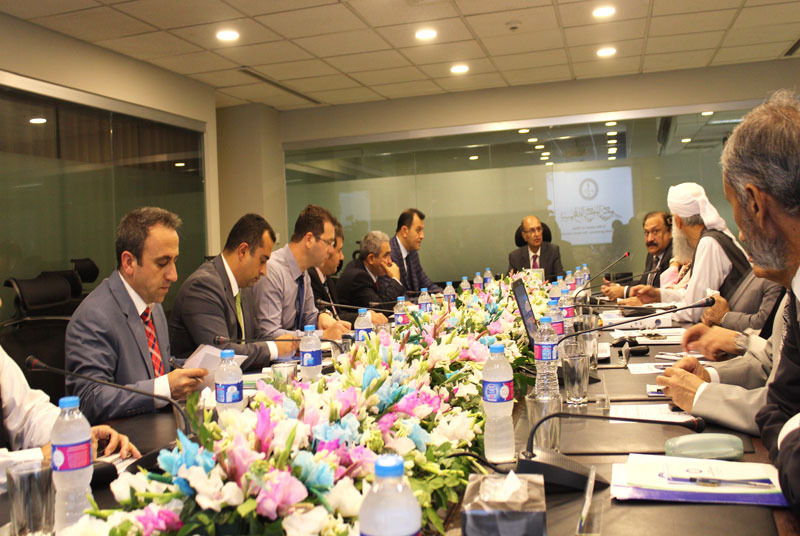 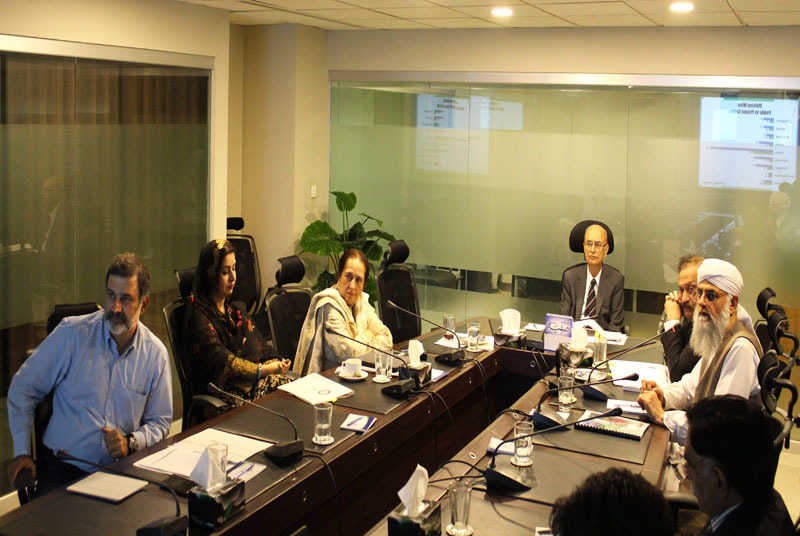 The PHC organized a meeting with Asian Development Bank and discussed possible support to implement reforms including expansion and enhancement of the government-managed health insurance schemes as well as required policy actions. 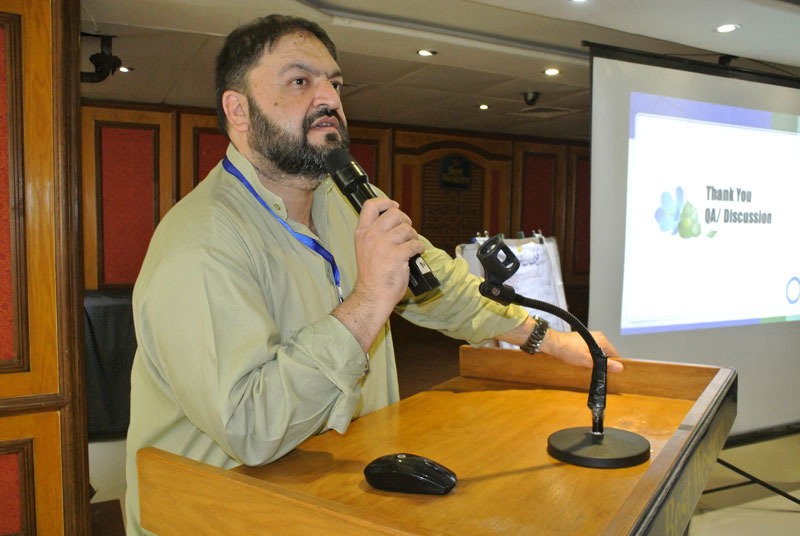 The Punjab Healthcare Commission imposed a fine of Rs0.5 million for practising quackery, and directed the police to register the first information report (FIR) against the owner of a healthcare establishment. 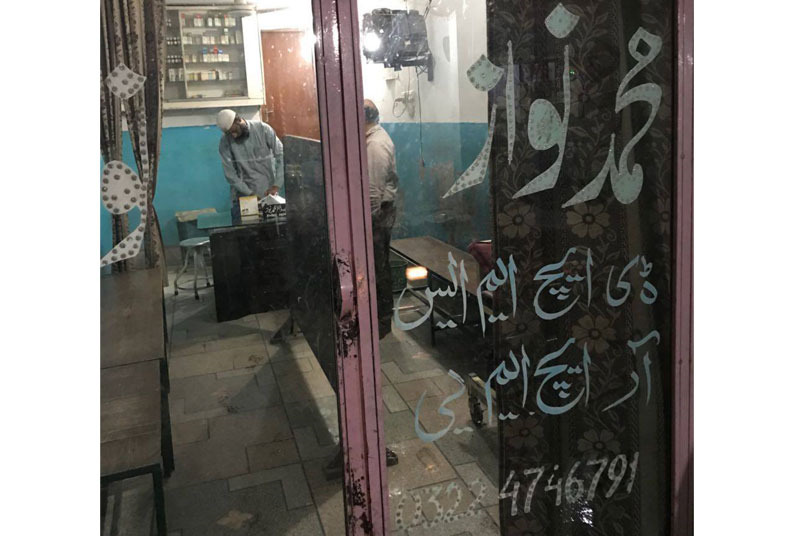 The Punjab Healthcare Commission has sealed 132 businesses of quacks in different cities during the last week of September. 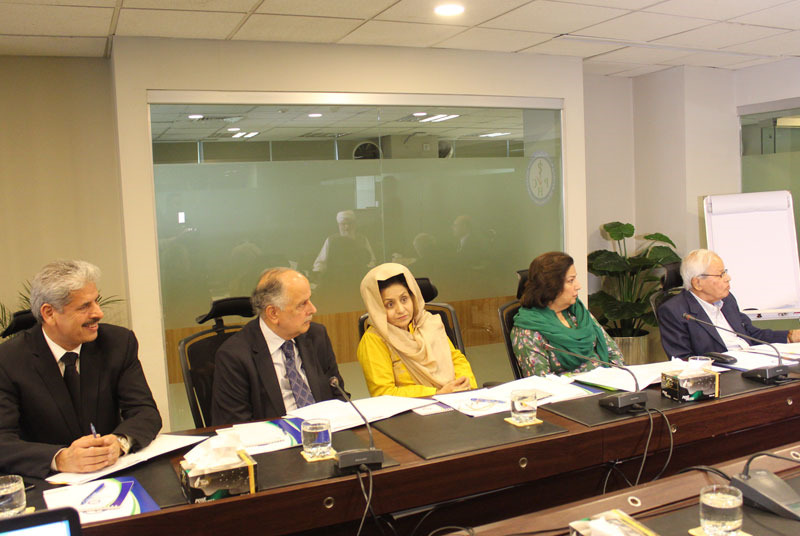 The PHC and Drug Advisory Programme (DAP) of the Colombo Plan will cooperate for an effective monitoring of the quality of care in the addiction treatment centres of the province. 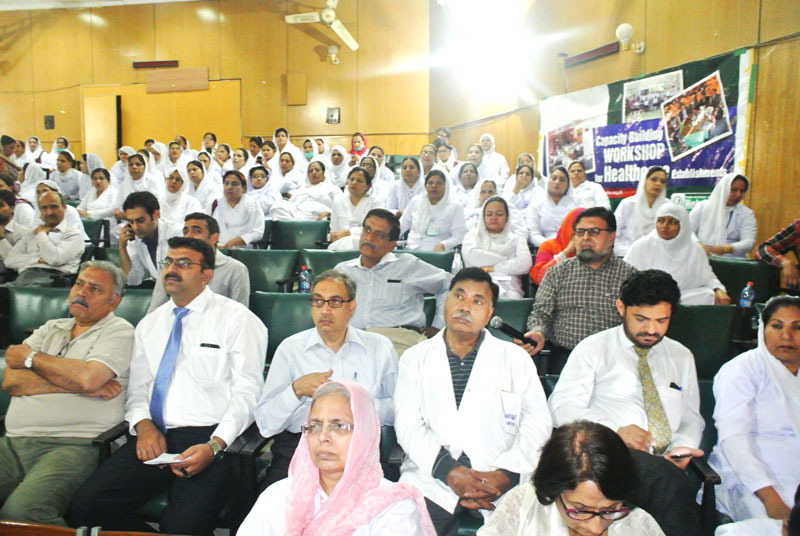 The Punjab Healthcare Commission has so far completed training of 18,802 health professionals of more than 14,600 healthcare establishments (HCEs) by arranging 466 workshops on their respective MSDS. 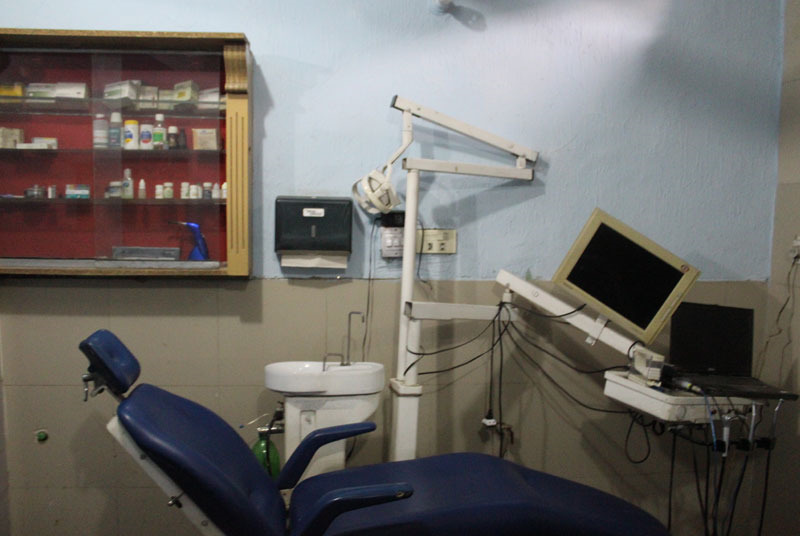 Pursuant to the Supreme Court orders of the mid-April, the Punjab Healthcare Commission has sealed 5,620 quackery outlets out of the visited over 18,300 treatment centres. 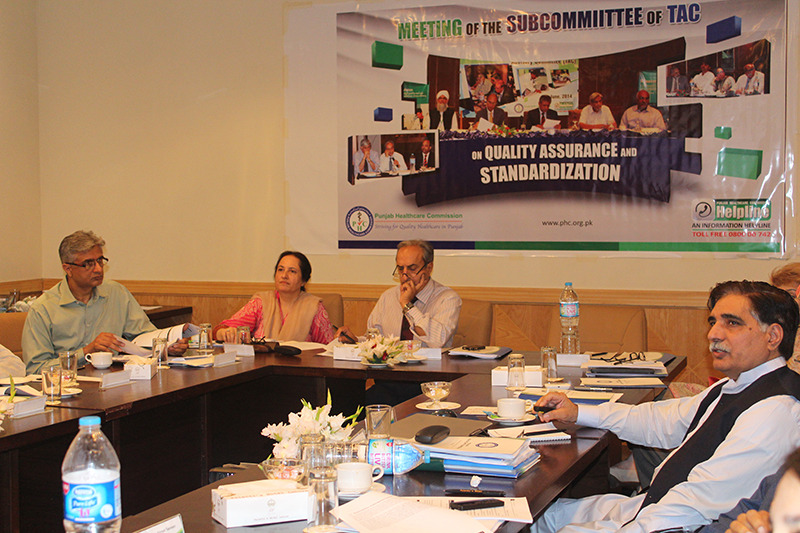 The Punjab Healthcare Commission (PHC) has been awarded an international certification over its quality management system for fulfilling the requirements of the International Quality Standard Specifications. 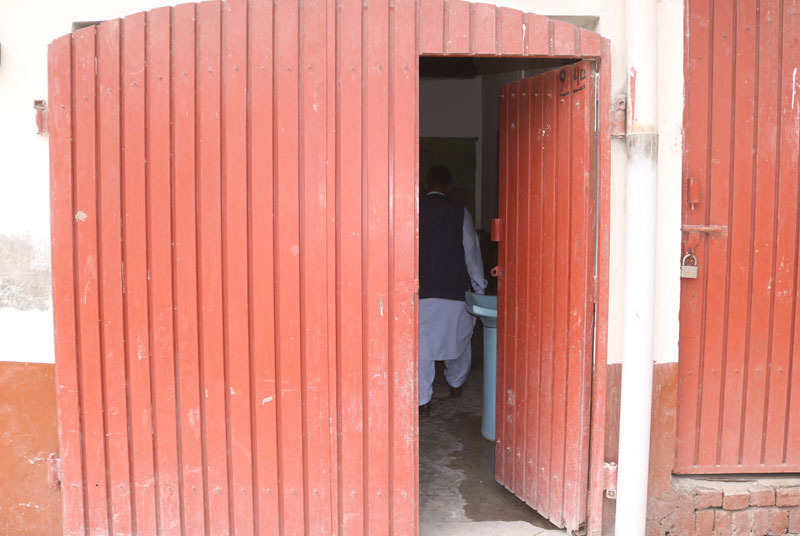 While taking action on complaints and after the complete probe, the PHC sealed two healthcare establishments (HCEs) for wrong treatment and non-implementation of the MSDS. 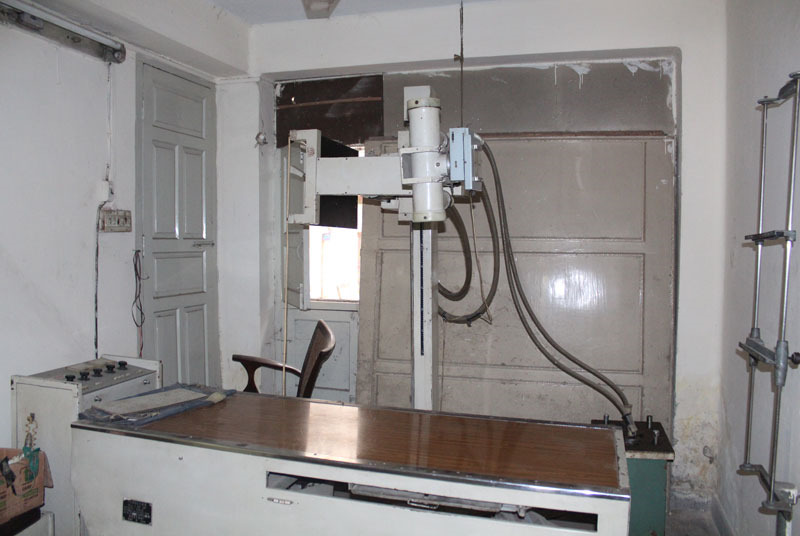 Pursuant to the Supreme Court order, a high-level committee initiated an investigation into the death of a lady doctor, who breathed her last during caesarean. 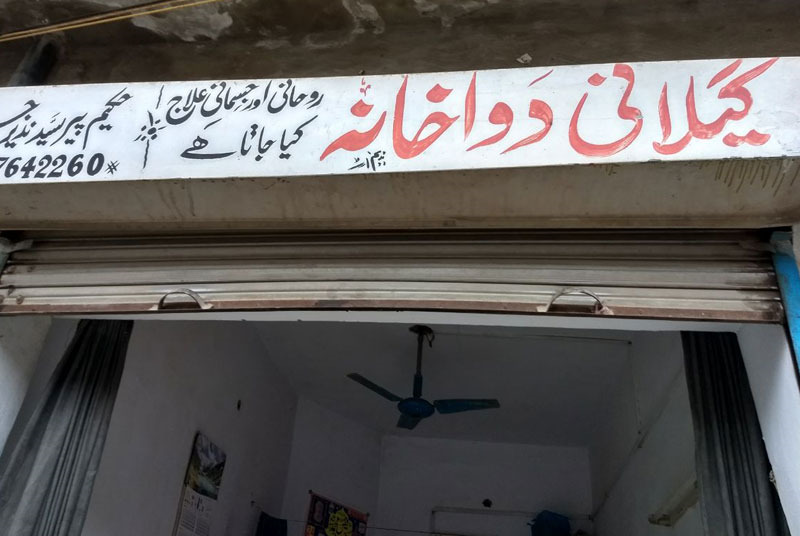 The Punjab Healthcare Commission has sealed 185 quacks’ businesses in different cities during the last week. 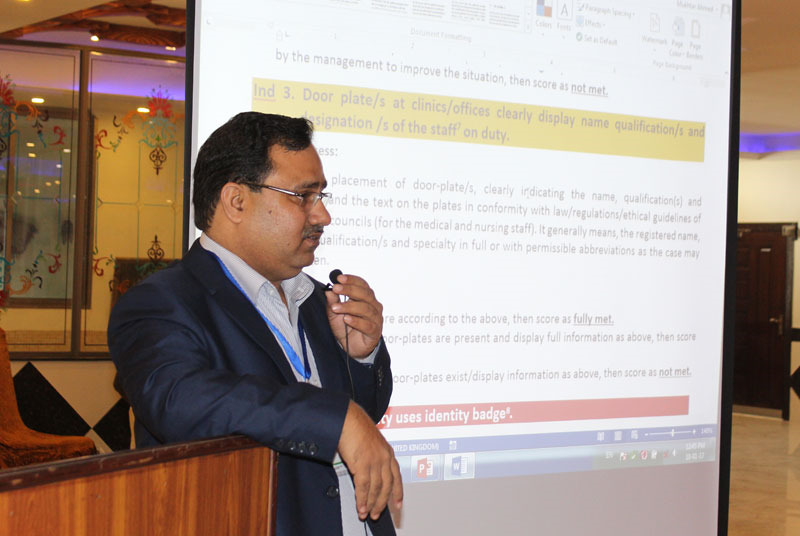 The Punjab Healthcare Commission carried out more than 14,950 inspections of 11,942 healthcare establishments (HCEs) of the province. 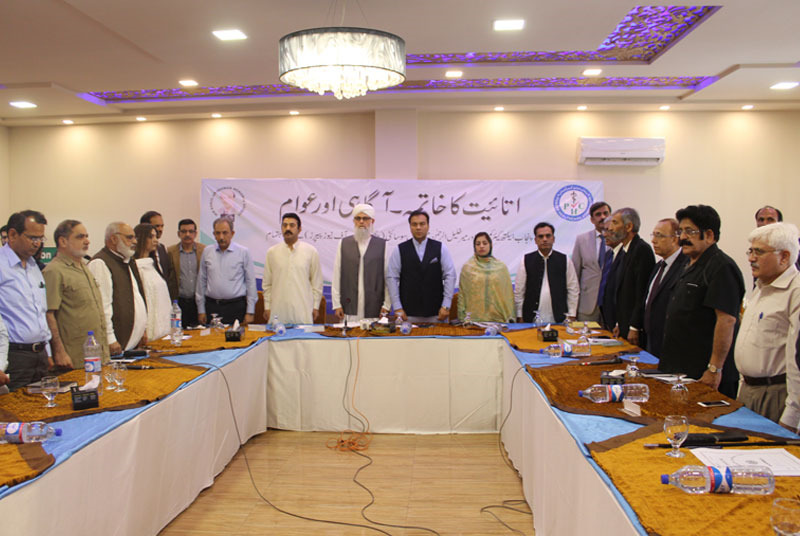 The Punjab Healthcare Commission has conducted training of 19 dentists, and 37 homeopathic doctors on their respective Minimum Service Delivery Standards (MSDS). 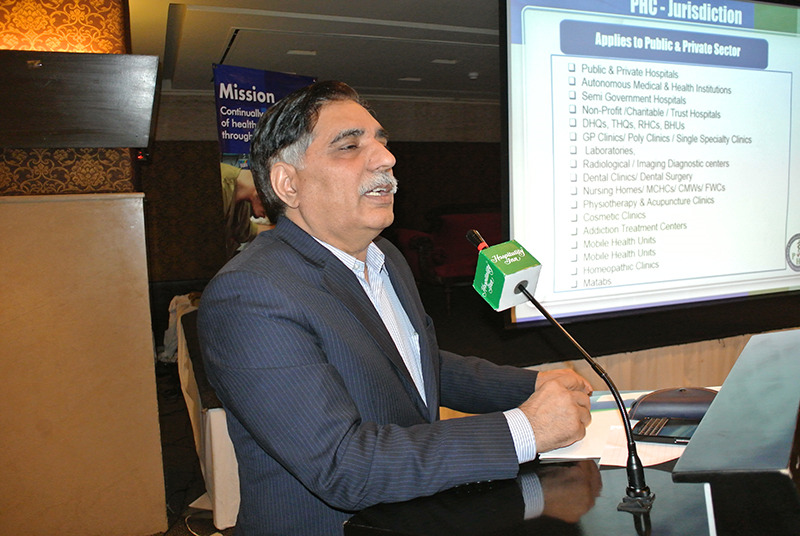 The Punjab Healthcare Commission has registered 49,180 healthcare establishments and provisionally licensed to 32,467 healthcare service providers. 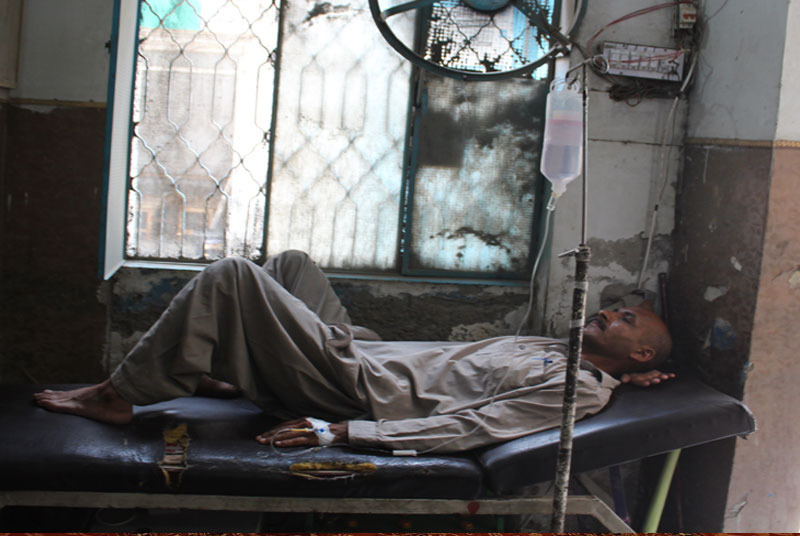 The Punjab Healthcare Commission has sealed Aamir Chishti Hospital after evacuating 27 inmates. 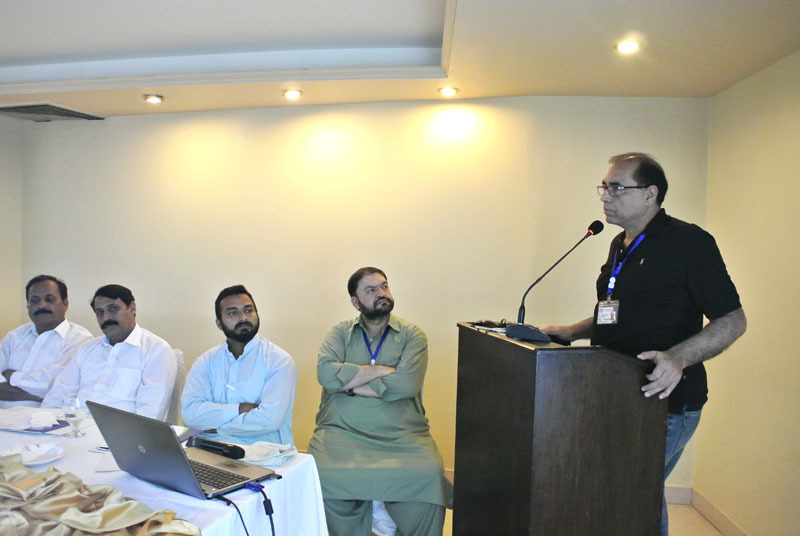 The Punjab Healthcare Commission has initiated the process for preparing a draft of the Minimum Service Delivery Standards of hair transplant procedures. 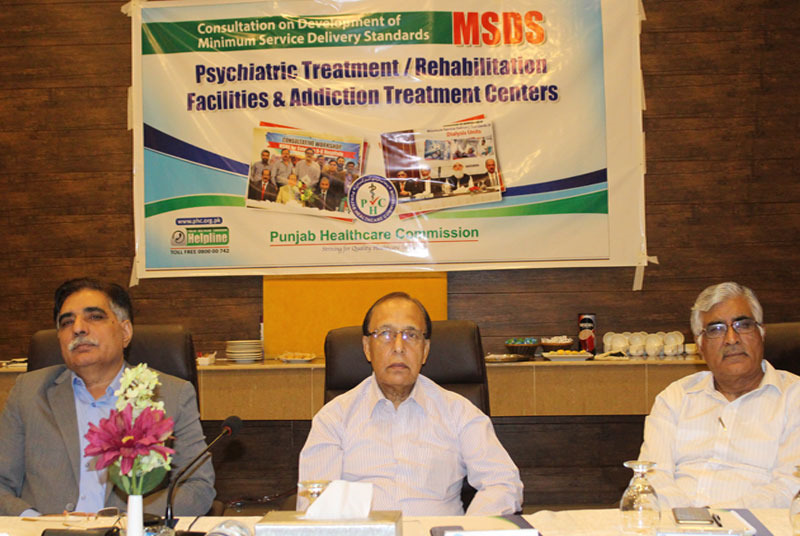 The Punjab Healthcare Commission has sealed three drug addiction treatment and rehabilitation centres after evacuating 37 persons for deficient psychiatric, health and residential facilities. 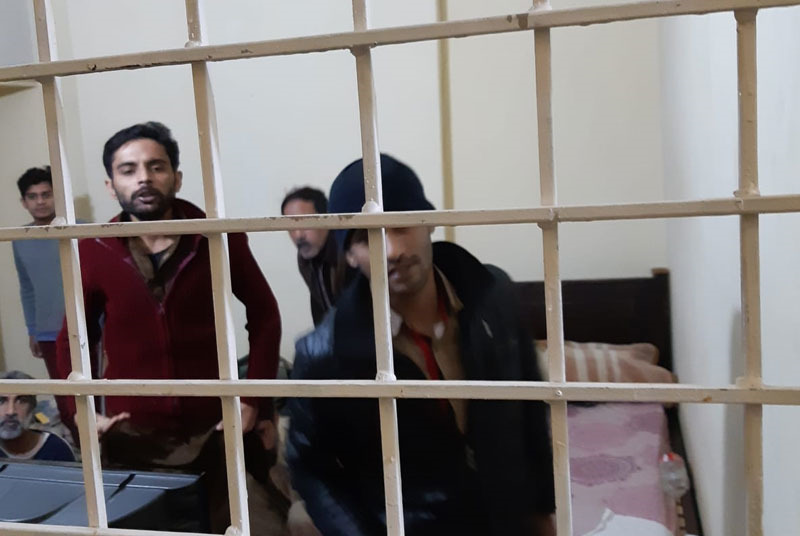 The Punjab Healthcare Commission has sealed an illegal drug treatment centre after evacuating 10 inmates, who were kept in a mini domestic jail. 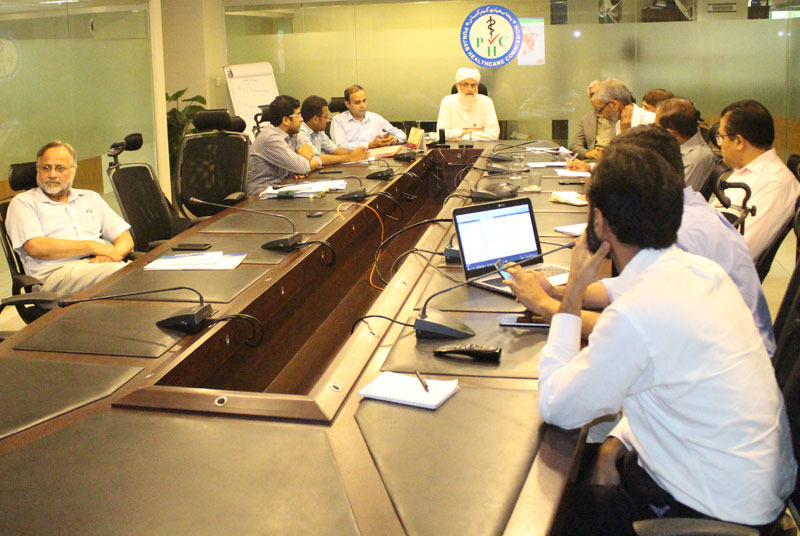 A delegation of the Young Doctors’ Association was given a briefing about the anti-quackery campaign of the Punjab Healthcare Commission. 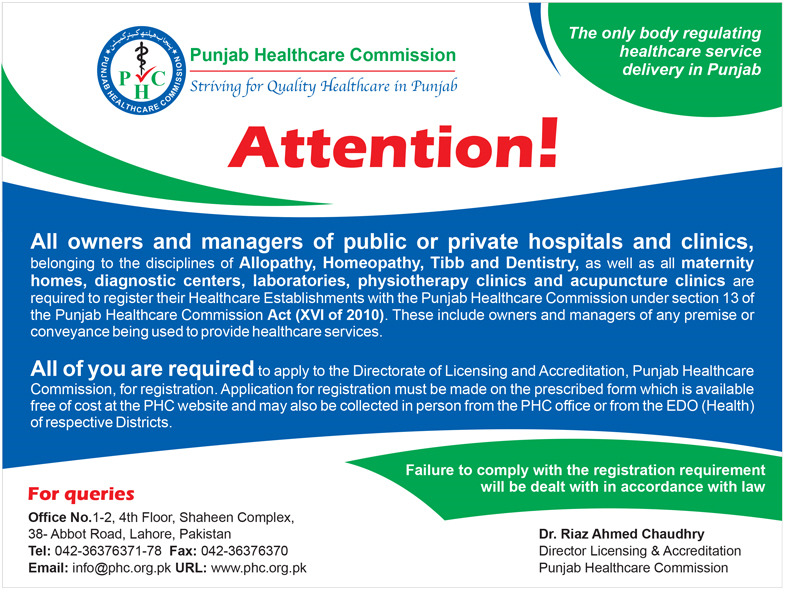 The Punjab Healthcare Commission closed down over 14,700 quackery outlets and imposed a fine of Rs72.86 million on the quacks so far. 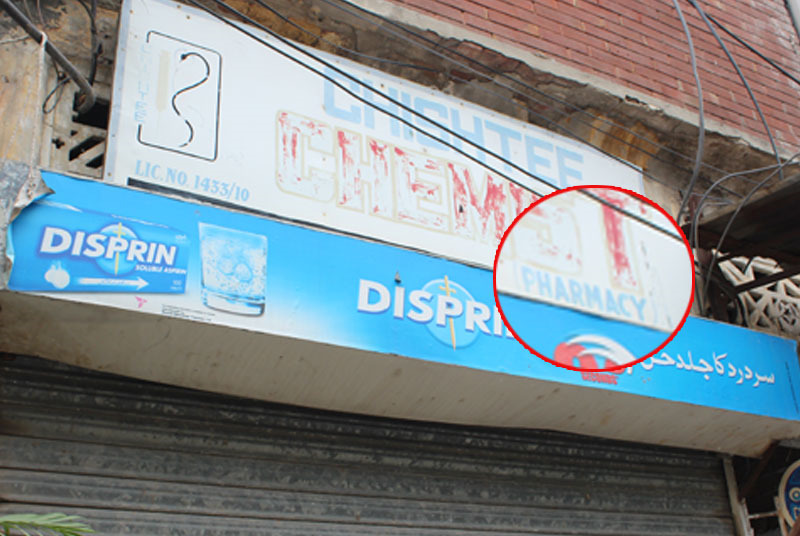 The Lahore High Court has ruled that powers to seal a clinic/healthcare establishment enjoyed by the Punjab Healthcare Commission are lawful. 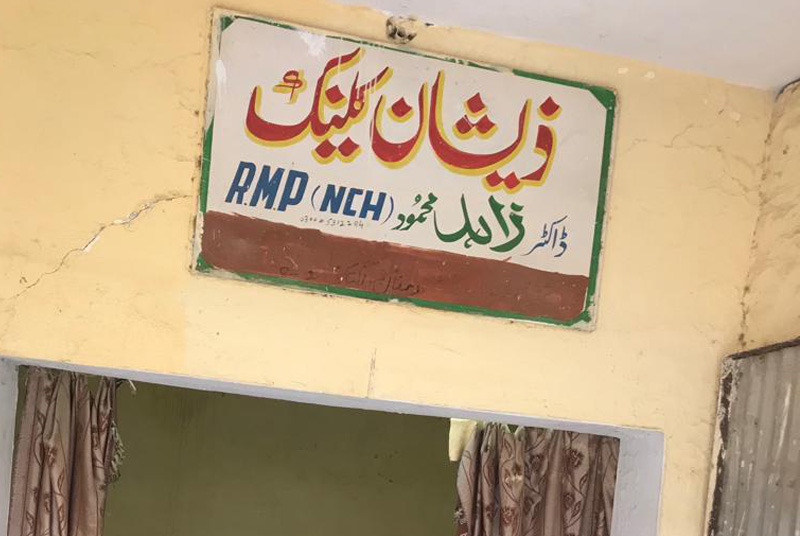 The Punjab Healthcare Commission has sealed more than 4,650 quackery outlets out of the visited over 14,500 treatment centres. 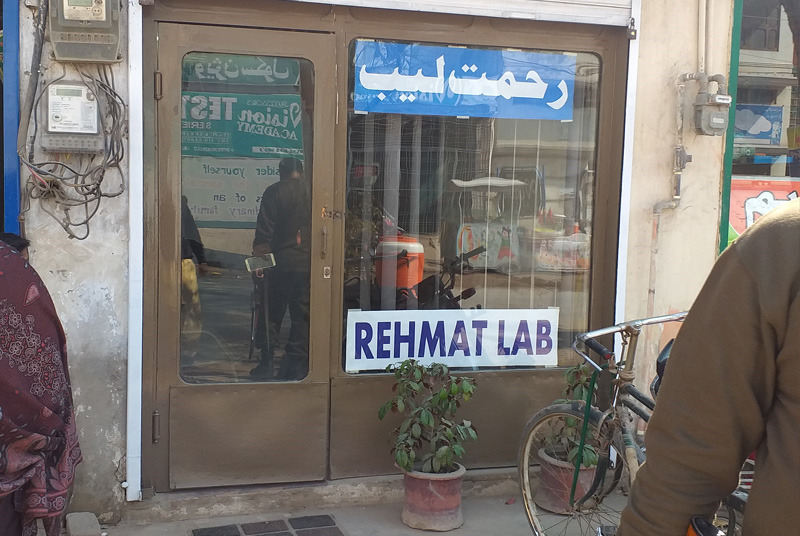 The Punjab Healthcare Commission has sealed four drug addiction treatment and rehabilitation centres, and 11 quacks’ premises. 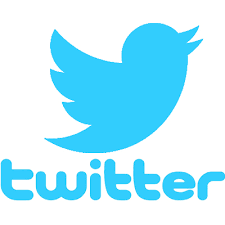 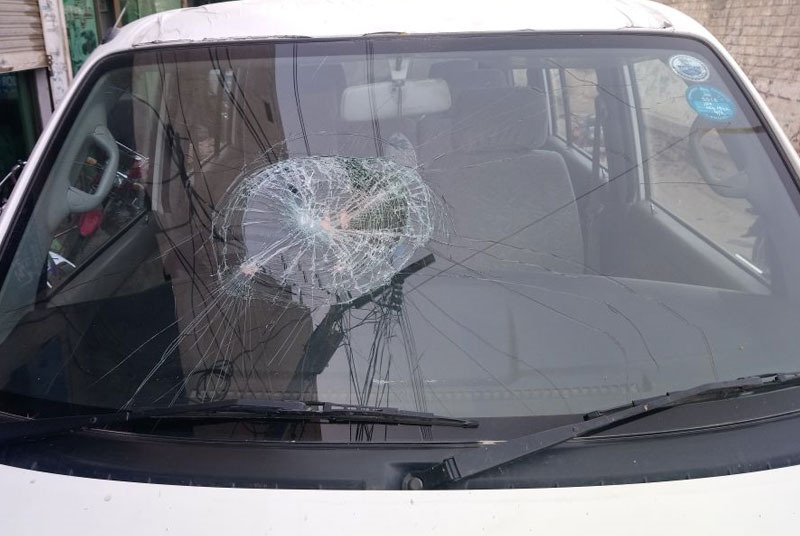 Unidentified assailants attacked an anti-quackery team of the Punjab Healthcare Commission. 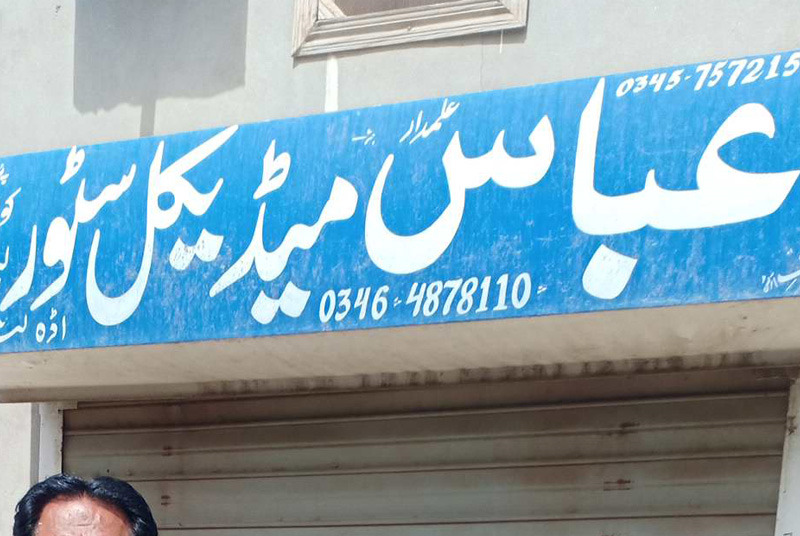 The Punjab Healthcare Commission had closed down 3,652 businesses of quacks in its drive carried out across the province since the apex court’s orders. 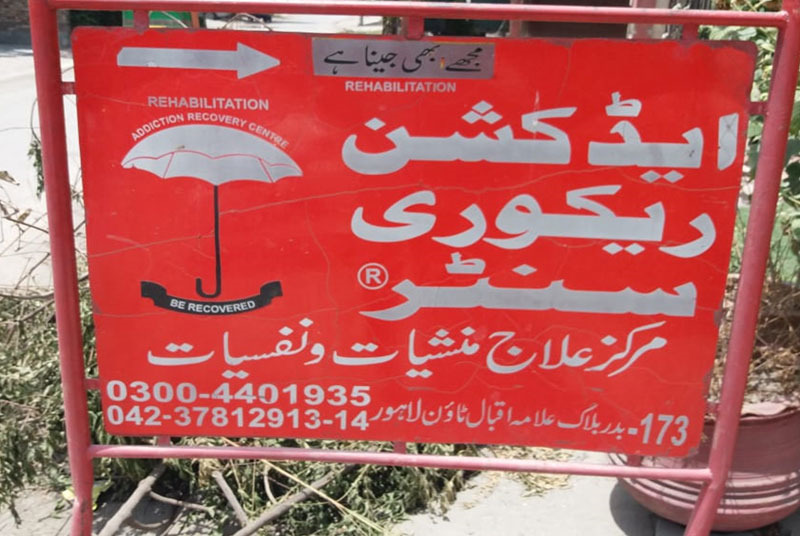 PHC's action against rehabilitation centres. 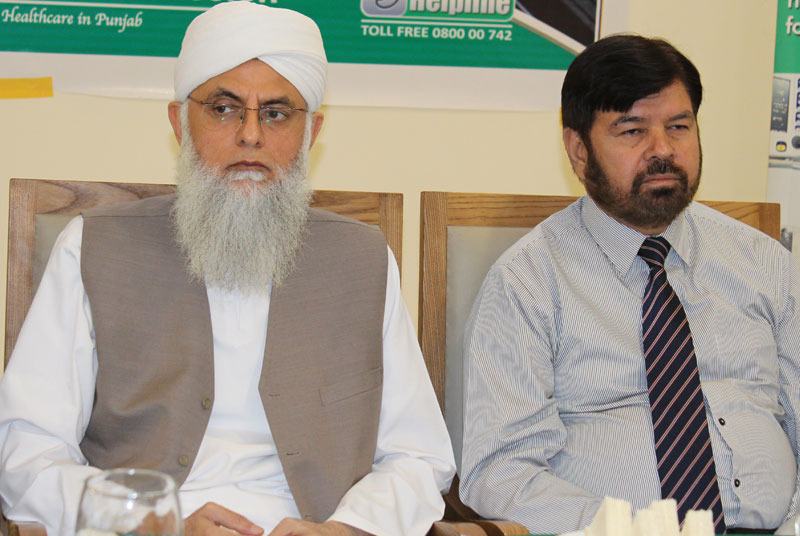 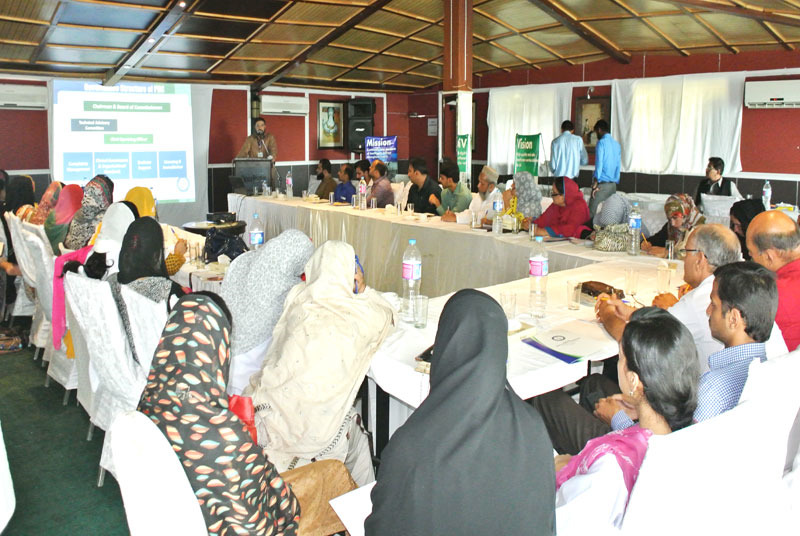 PHC’s crackdown on addiction treatment and rehabilitation centres. 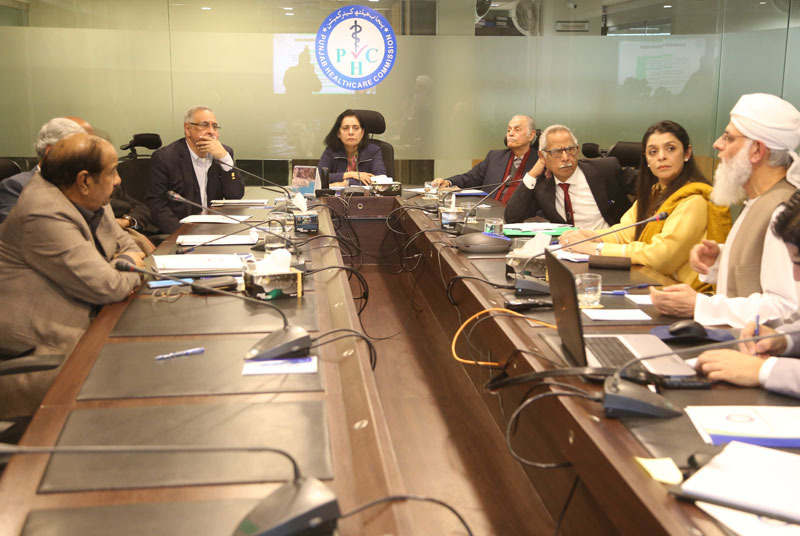 The Punjab Healthcare Commission has attained an international partnership status with the International Association of Medical Regulatory Authority (IMARA). 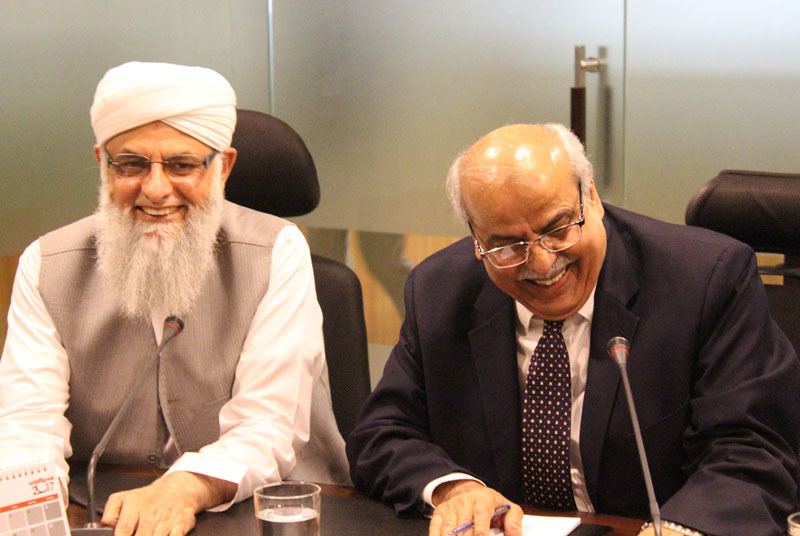 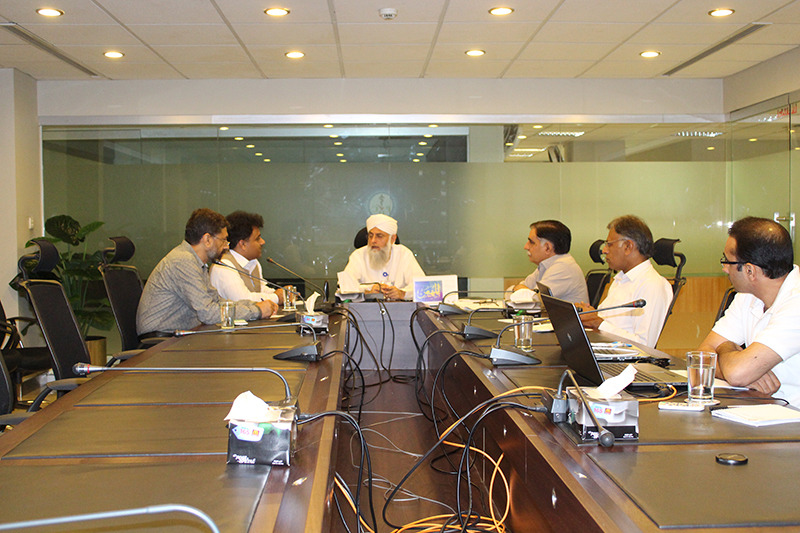 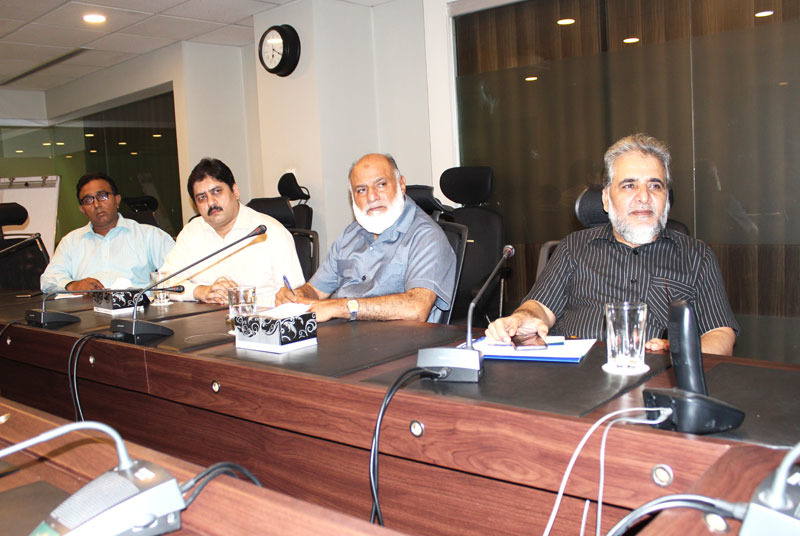 The meeting of the Board of Commissioners (BoC) of the Punjab Healthcare Commission (PHC) was held on June 11 in the office of the Commission. 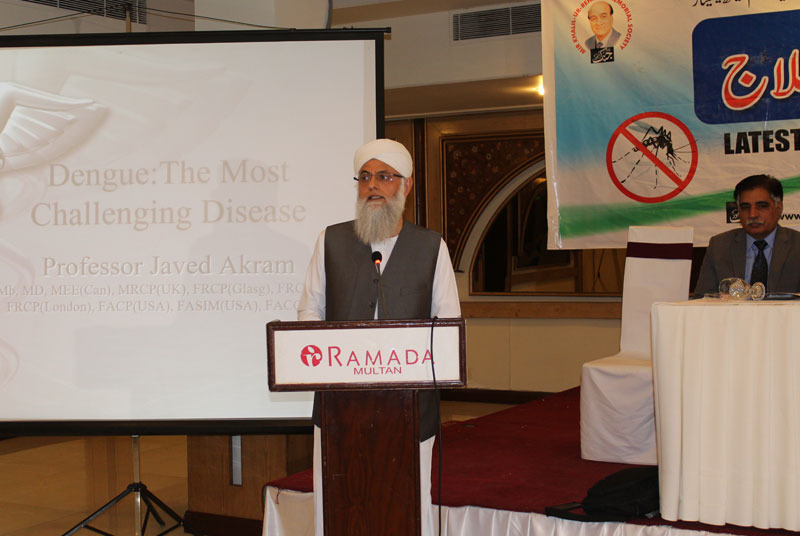 An awareness seminar on "Eradication of Quackery"
The Punjab healthcare Commission organized a seminar ‘Eradication of quackery—awareness and masses’ on 25th April 2018 in Multan. 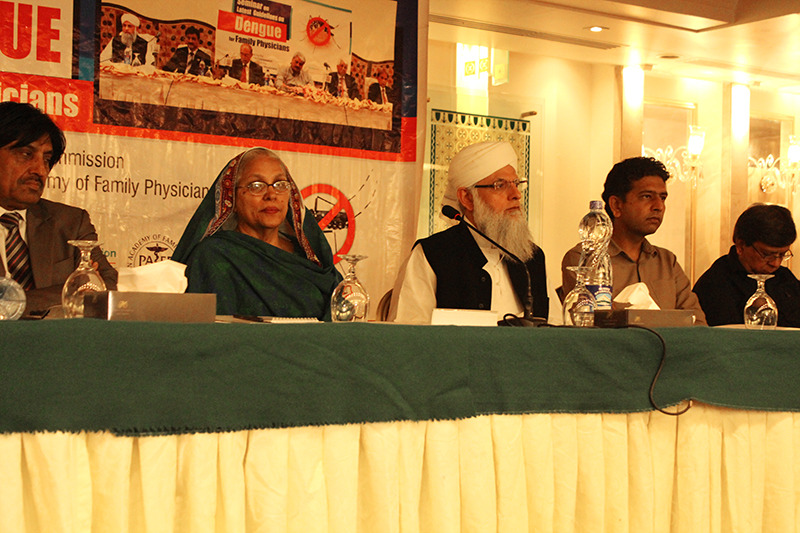 The Punjab Healthcare Commission organised a roundtable conference ‘Eradication of quackery—awareness and masses’ on 20th April 2018. 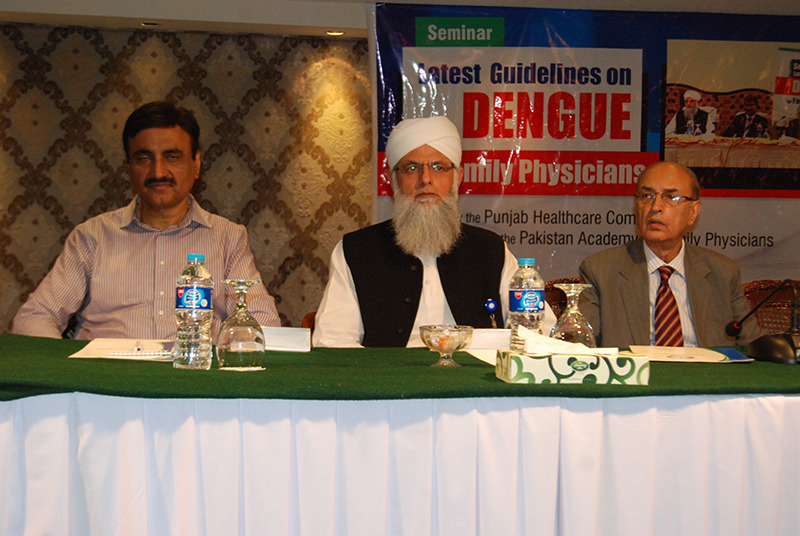 A Seminar on Dengue Management Guidelines was organized by the Punjab Healthcare Commission and Mir Khalil ur Rehman Society on March 28th 2018. 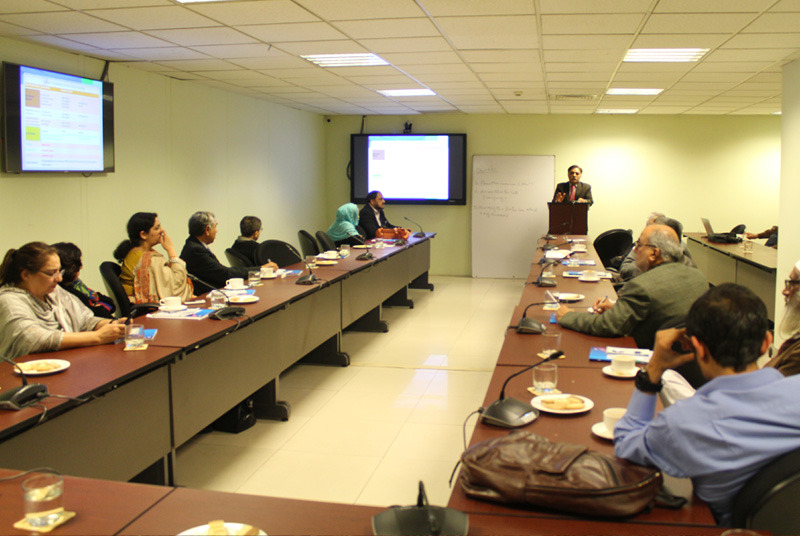 A joint consultative forum of the Punjab Healthcare Commission and Armed Forces Medical Services was held at the PHC office on March 22, 2018. 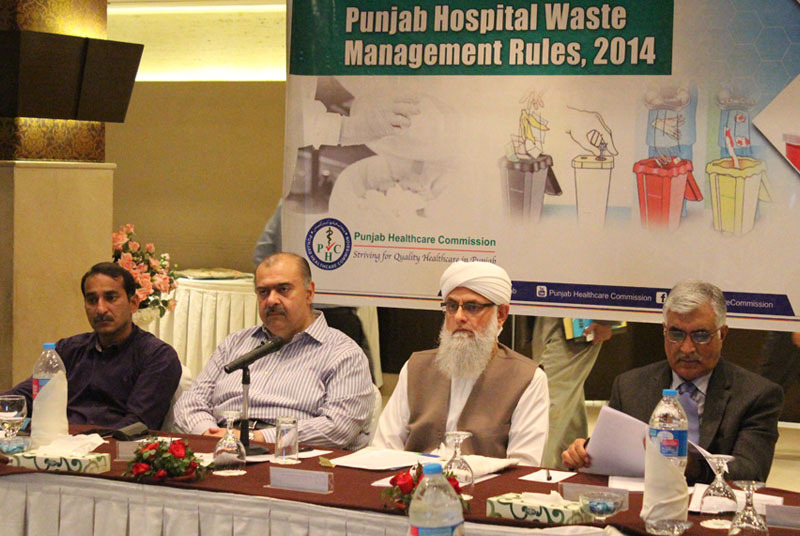 The Punjab Healthcare Commission held a consultative meeting with all the key stakeholders concerned for implementation of the MSDS related to the Hospital Waste Management Rules. 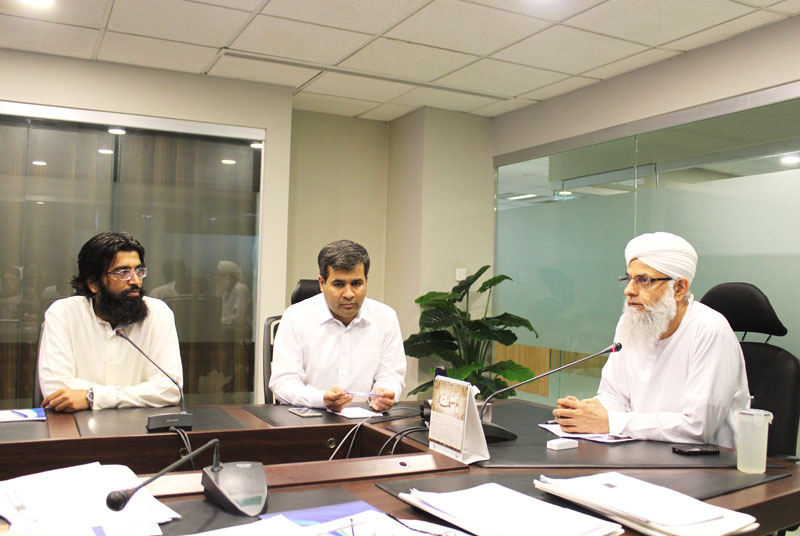 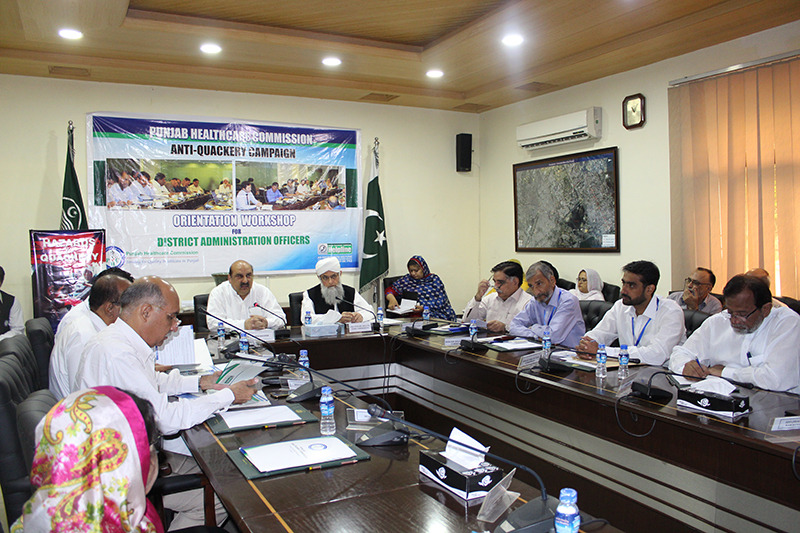 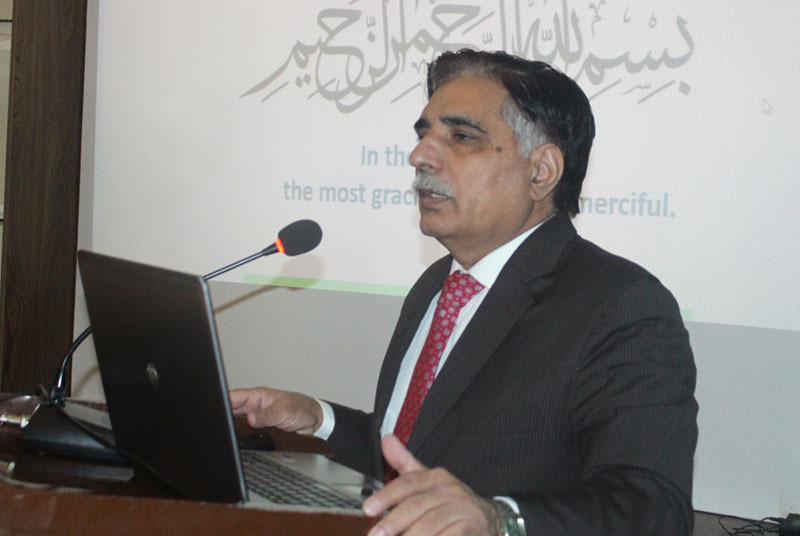 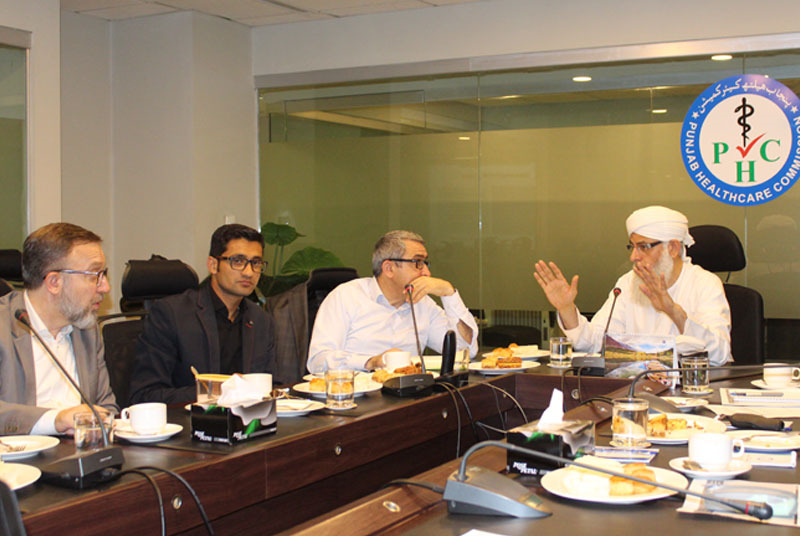 A briefing was held at the PHC office for Minister Specialised Healthcare and Medical Education Department Khawaja Salman Rafique and his team. 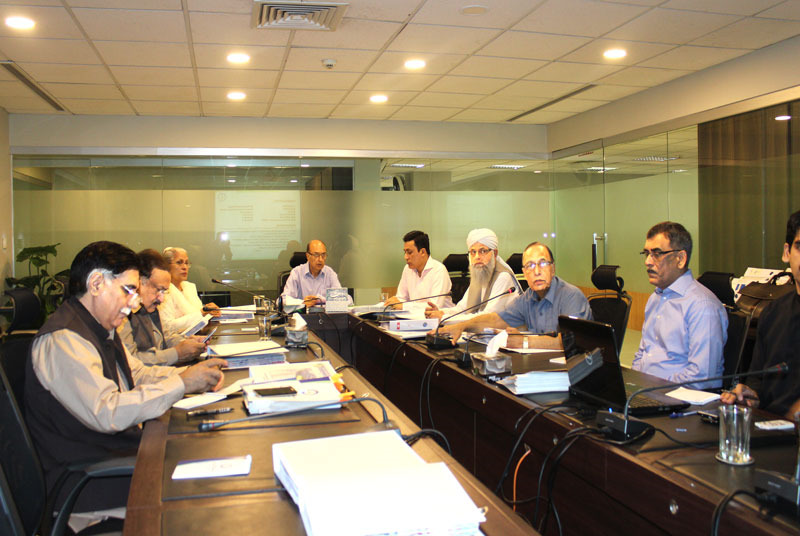 With a view to elaborate the processes and procedures to implement and assess the MSDS pertaining to the Building and Fire Safety, PHC Senior Management met with different government departments with respect to safeguarding the patient safety. 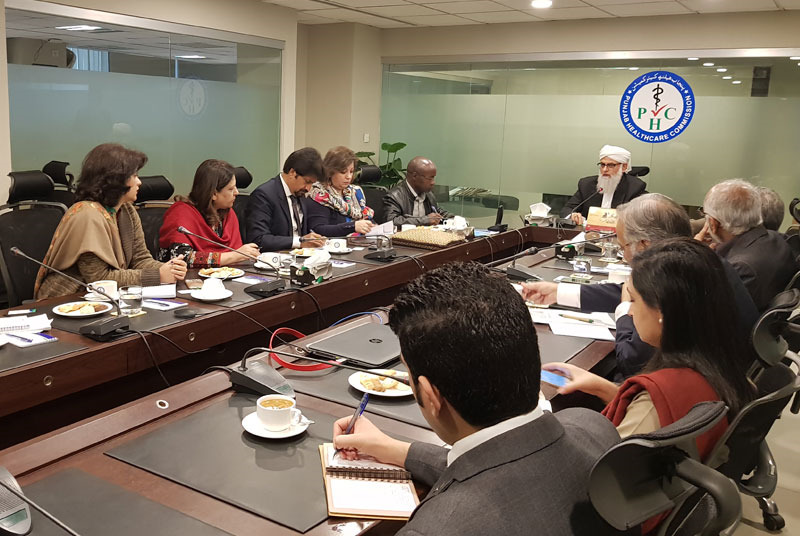 A delegation from UNICEF led by Chief Health UNICEF Pakistan Dr Kennedy Ongwae, visited the PHC office here on Thursday. 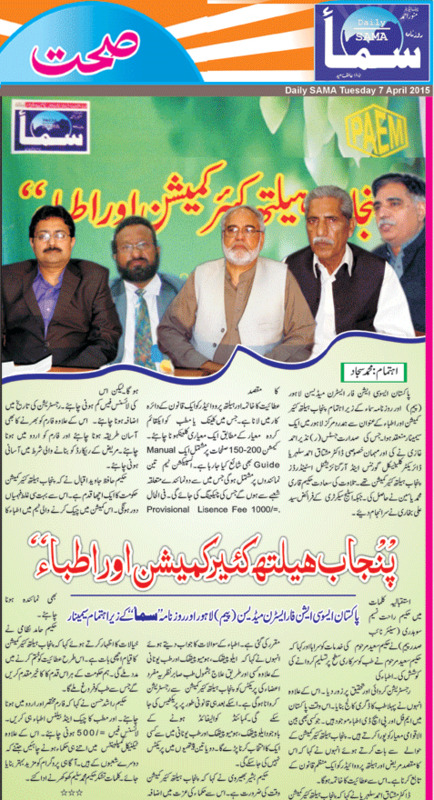 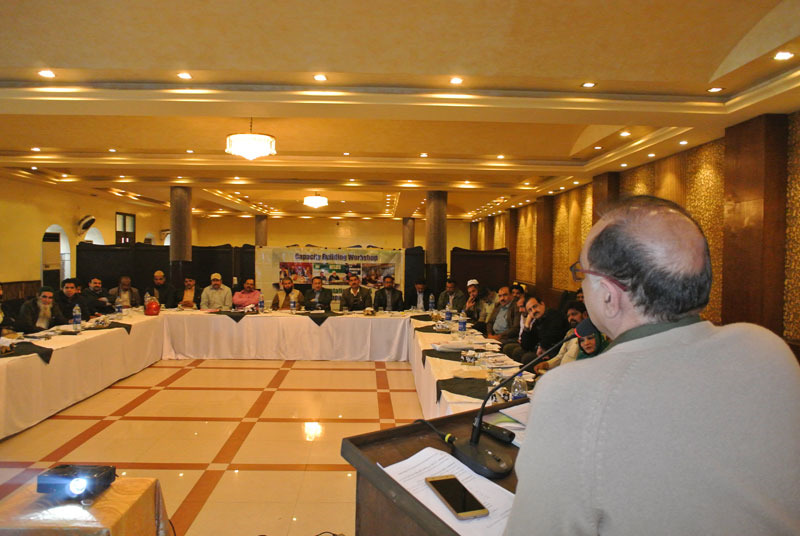 Considering the recent surge in the number of reported cases of seasonal influenza across the country, particularly the South Punjab region, the Punjab Healthcare Commission (PHC), in collaboration with the Mir Khalil ur Rehman Memorial Society (MKRMS) (Jang Group of Newspapers) held a roundtable conference on 27th January 2018, to discuss causes and prevention of the Seasonal Influenza epidemic. 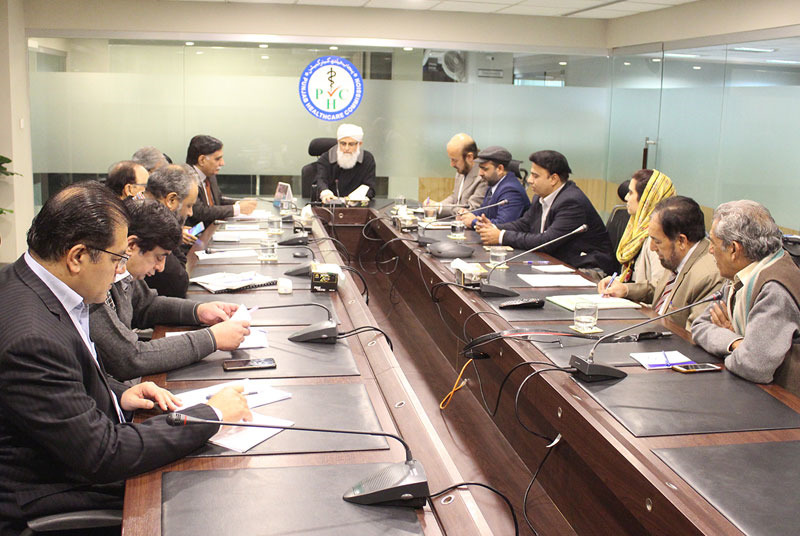 The Punjab Healthcare Commission has initiated the process for developing the Minimum Service Delivery Standards for category-III healthcare establishments providing services related to midwifery, mother-child healthcare and family welfare centres. 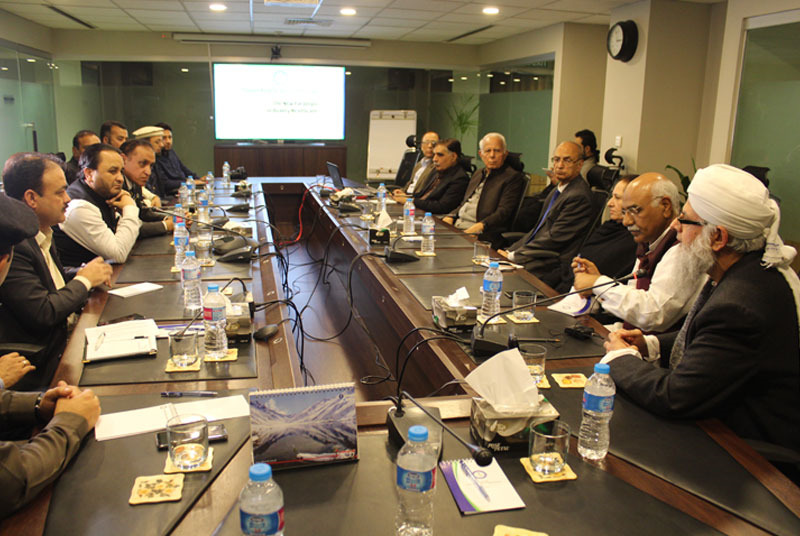 Chief Minister Gilgit Baltistan (GB) Mr. Hafiz-ur-Rehman, along with a team of senior officials, visited the Punjab Healthcare Commission (PHC) office on 22nd December 2017. 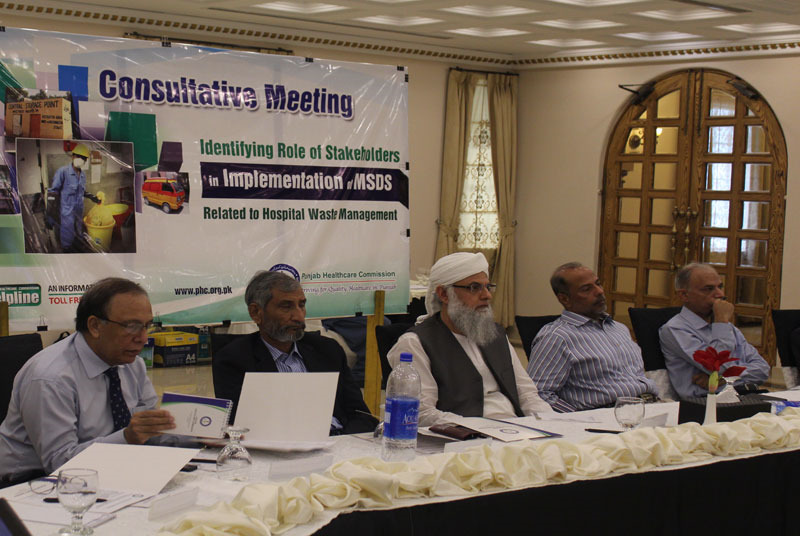 The Punjab Healthcare Commission holds the first session on the minimum service delivery standards (MSDS) for Hakeems here on Thursday. 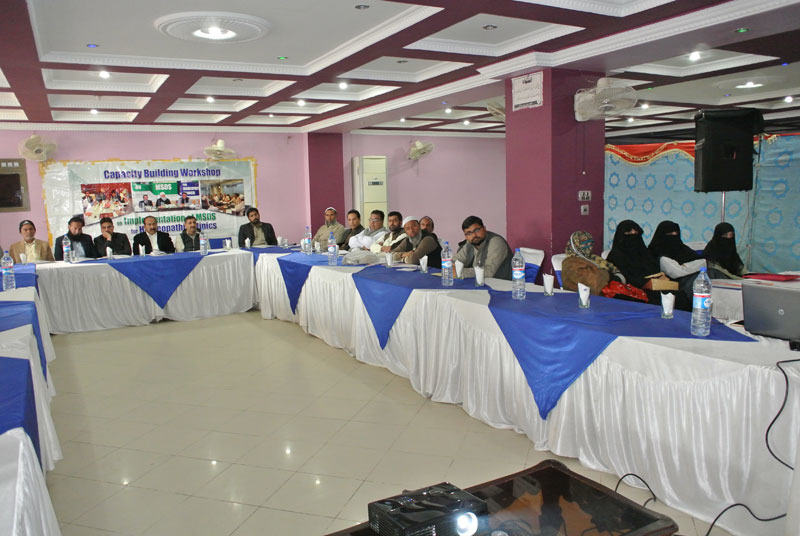 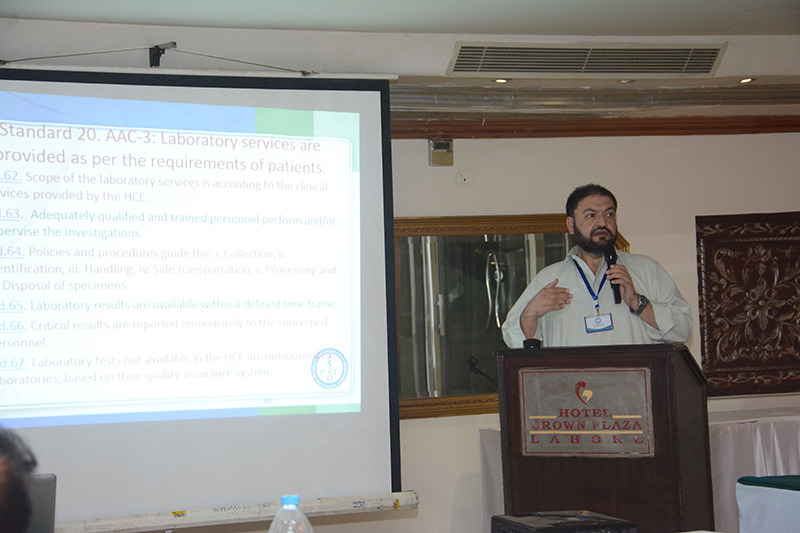 The PHC organized a consultative workshop on 19th December 2017 to define the criteria for the registration and licensing of clinical/pathology laboratories. 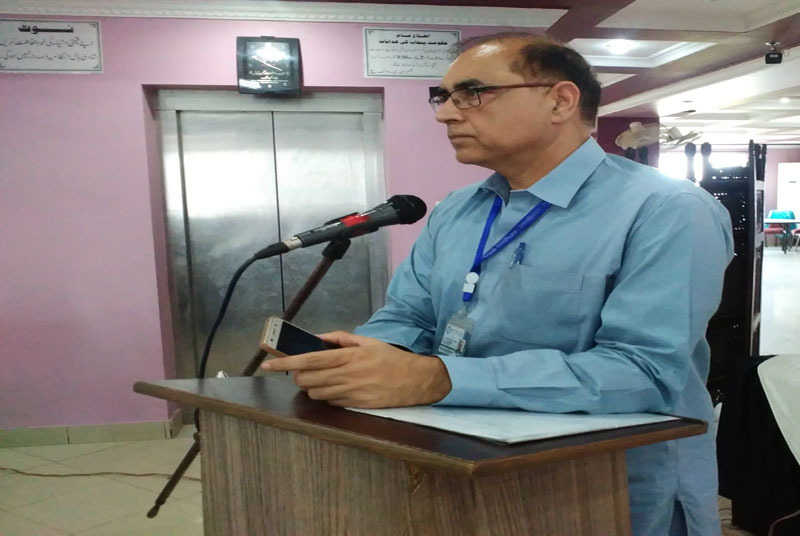 Officer of the Armed Forces Post Graduate Medical Institution familiarized with the PHC`s efforts towards quality assurance in healthcare service delivery. 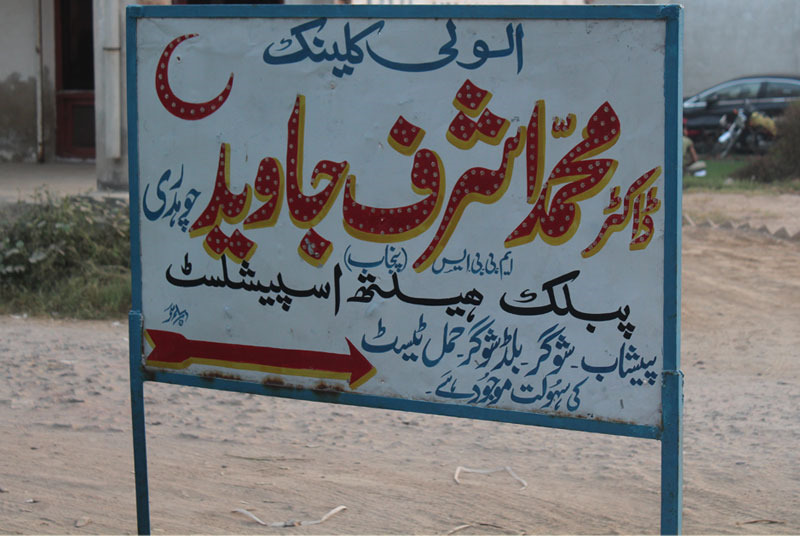 The Punjab Healthcare Commission has closed down 40 fake treatment centres of in district Muzaffargarh, and initiated further proceedings against them. 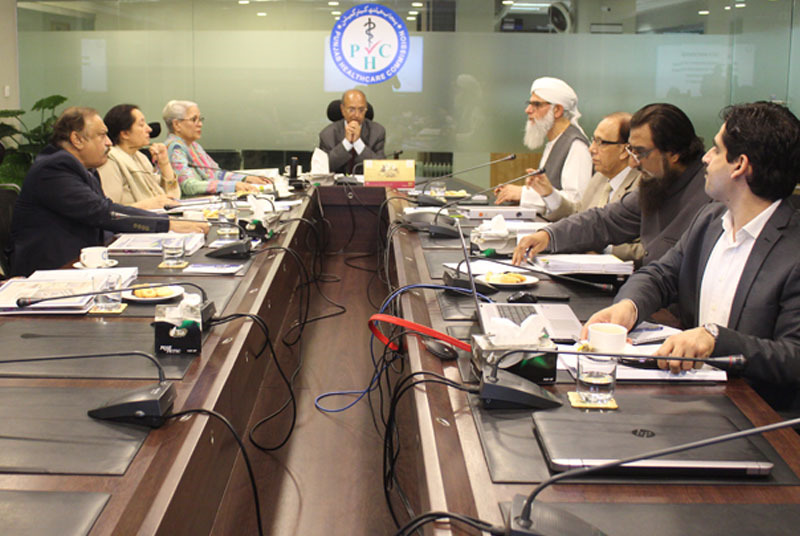 The Board of Commissioners of the Punjab Healthcare Commission has given approval for issuing regular licenses to 3.108 healthcare establishments of the category-III, including hospitals and other health outlets. 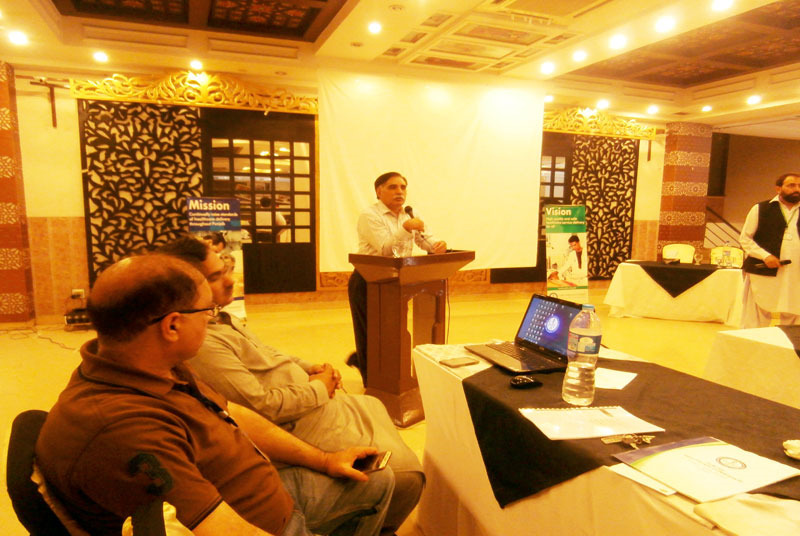 The Punjab Healthcare Commission has developed Minimum Service Delivery Standards (MSDS) for the family physicians and general practitioners, and planned to organise a capacity-building workshop for them. 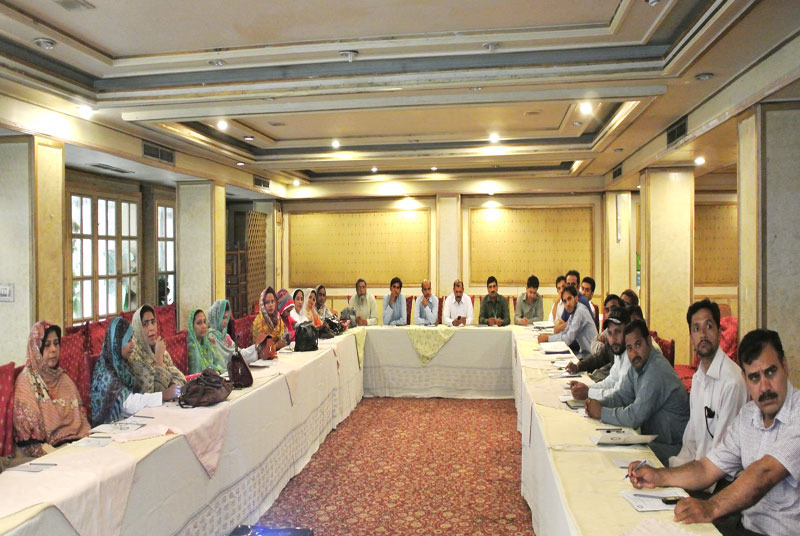 The Punjab Healthcare Commission has organised an orientation workshop for Project Management Unit (PMU) staff of the Primary and Secondary Healthcare Department (P&SHC) here on Thursday. 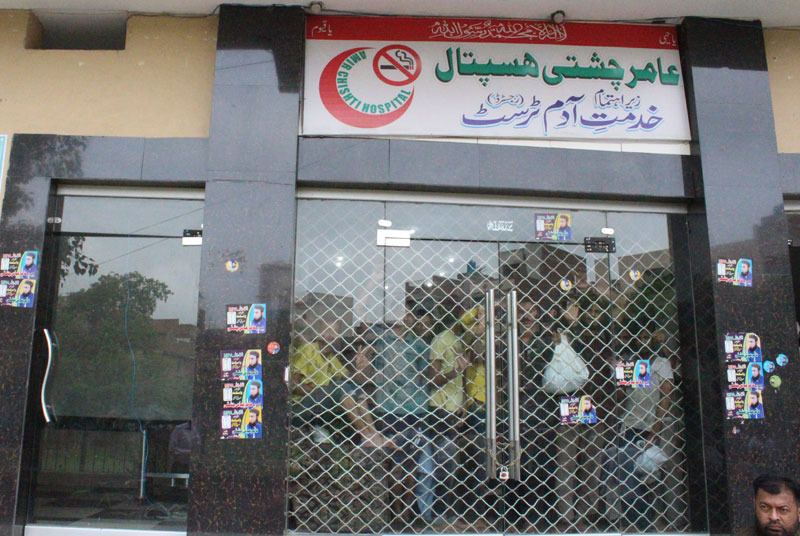 The Punjab Healthcare Commission during the last week sealed 42 clinics of quacks, and initiated further proceedings against them. 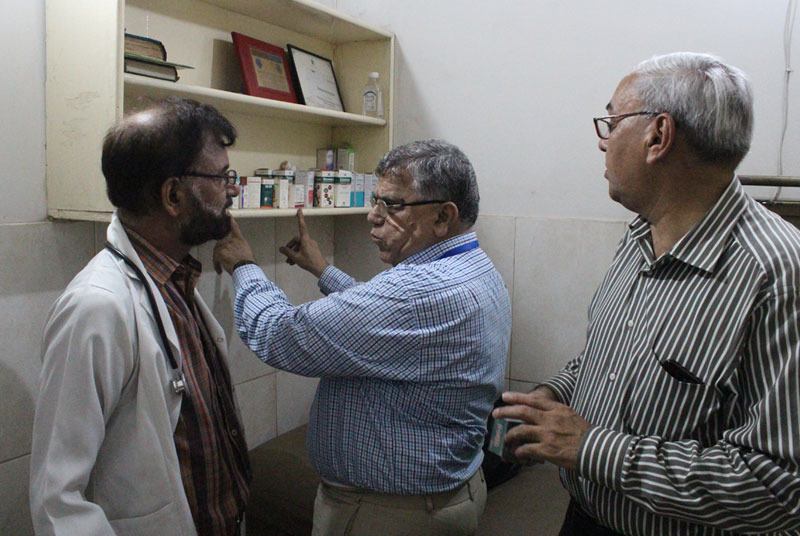 While directing the police to register an FIR against a homeopathic doctor, the Punjab Healthcare Commission has closed down his clinic, cancelled its registration and imposed a fine of Rs2 lacs for practising quackery. 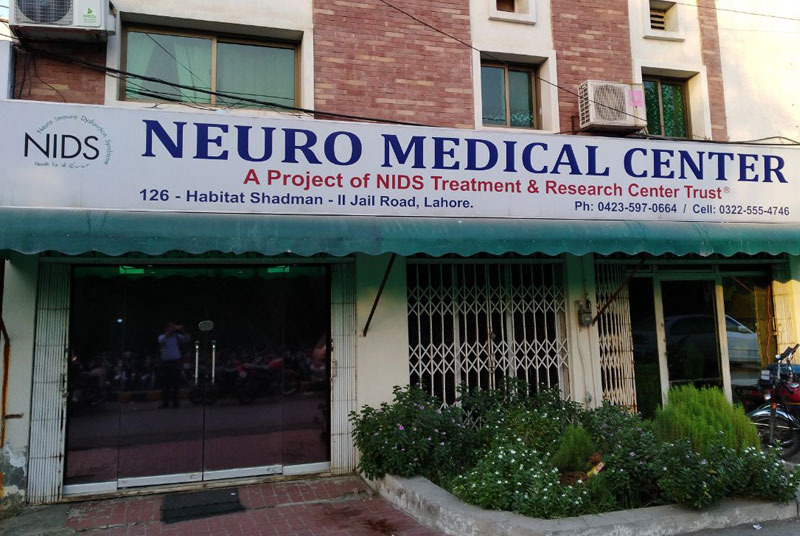 An FIR has been registered against the owner of a neuro centre for submitting fake documents with the Punjab Healthcare Commission, which also sealed the clinic on Thursday. 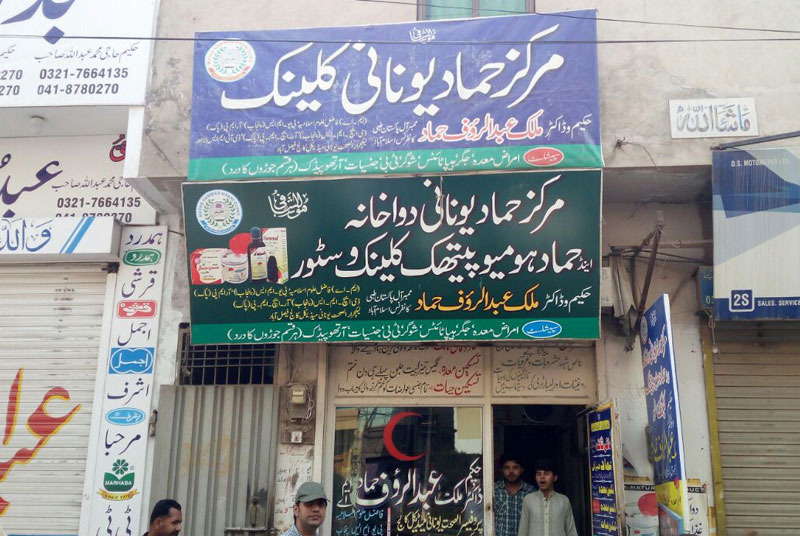 The Punjab Healthcare Commission has ordered criminal proceedings against three quacks besides closing down their businesses and imposing a fine of Rs1 million. 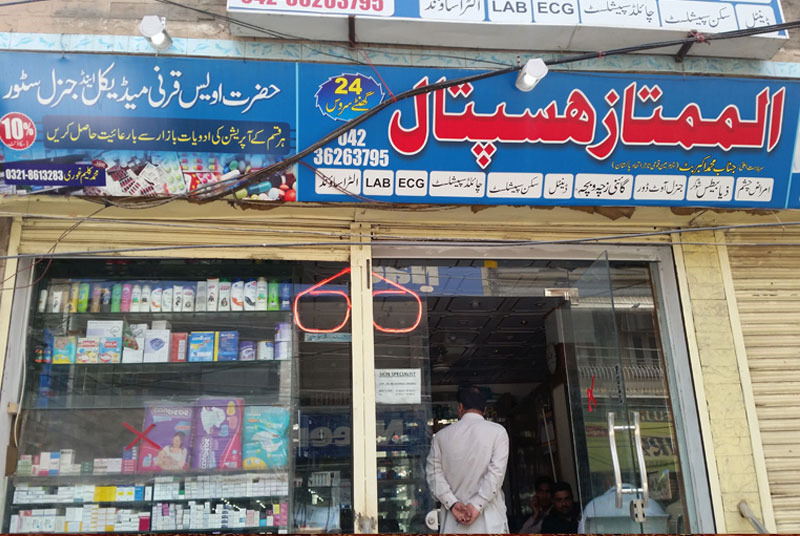 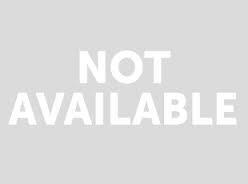 The Punjab Healthcare Commission has closed down 417 illegal businesses of quacks during August and initiated legal further proceeding against them. 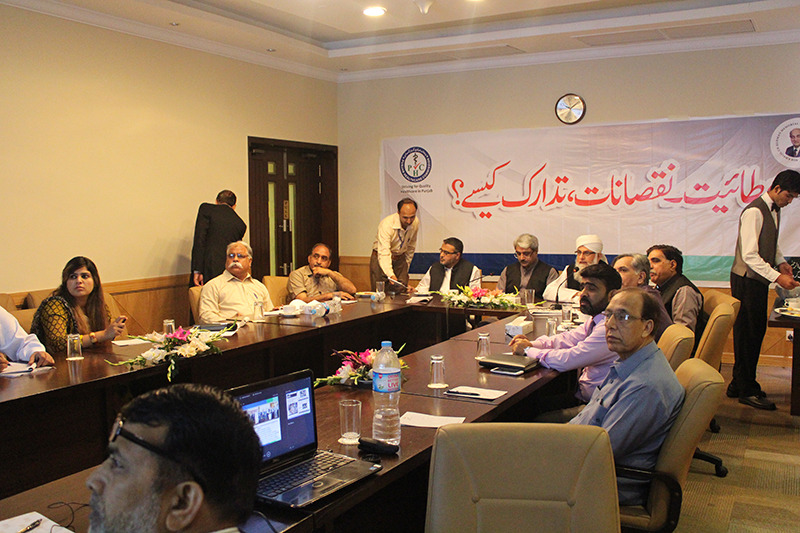 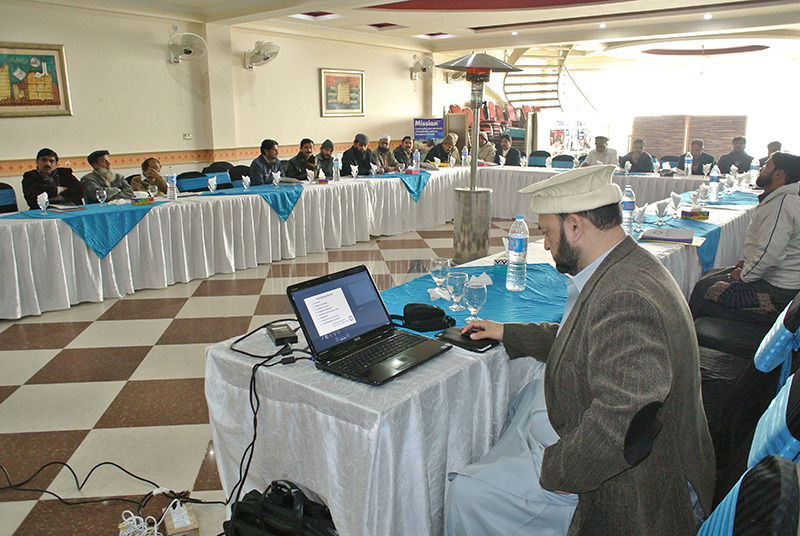 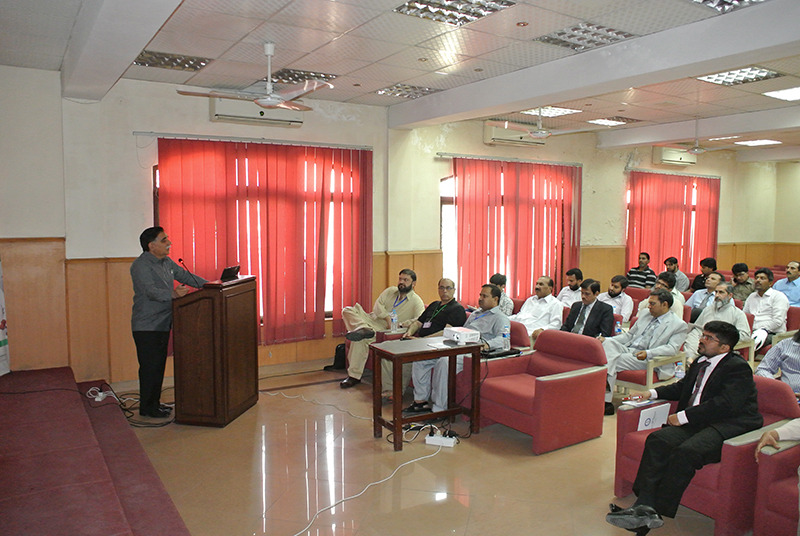 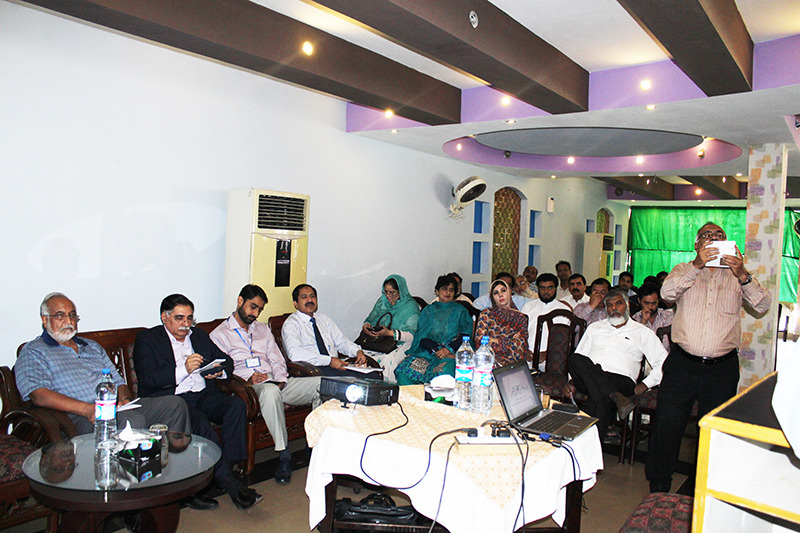 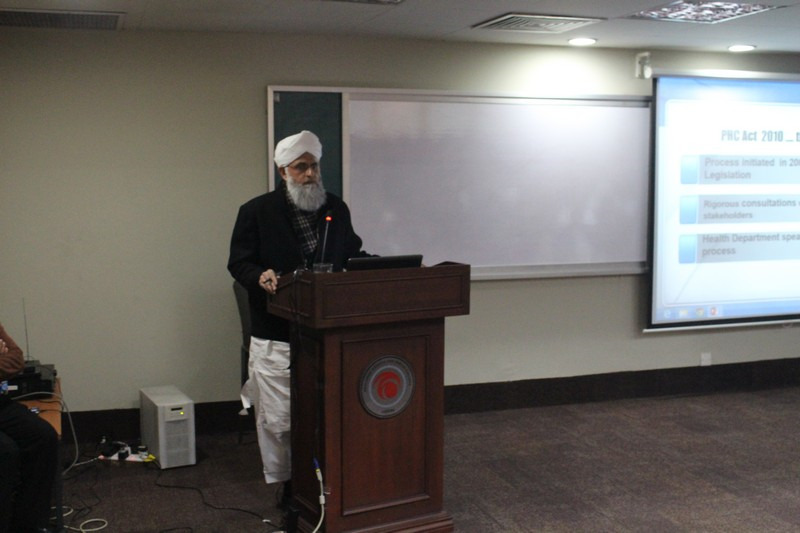 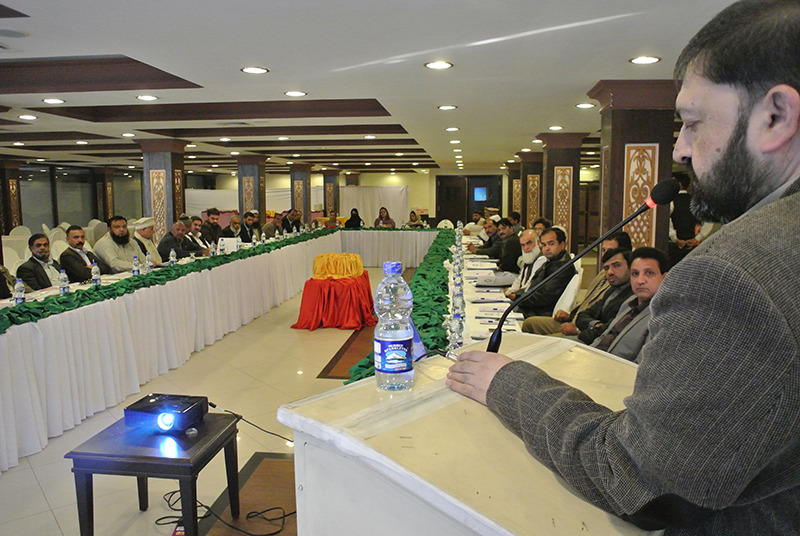 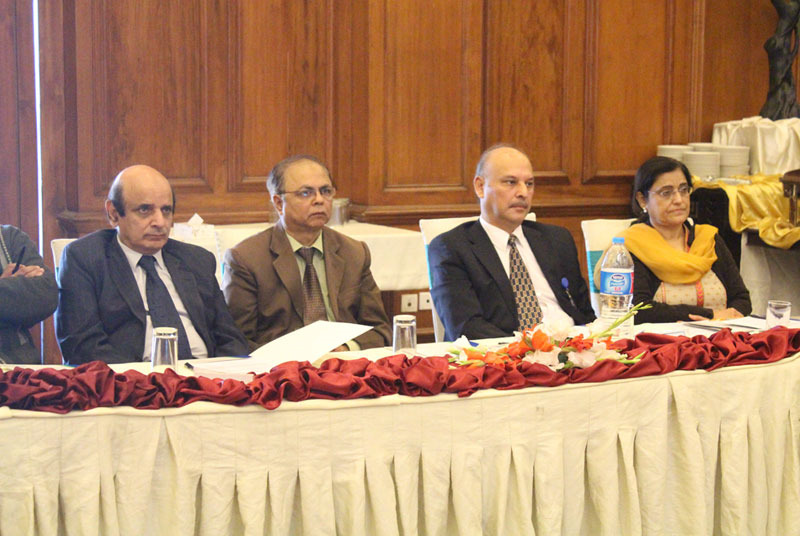 A seminar on ‘Quality Assurance in Healthcare’ held at the (AFPGMI) Rawalpindi. 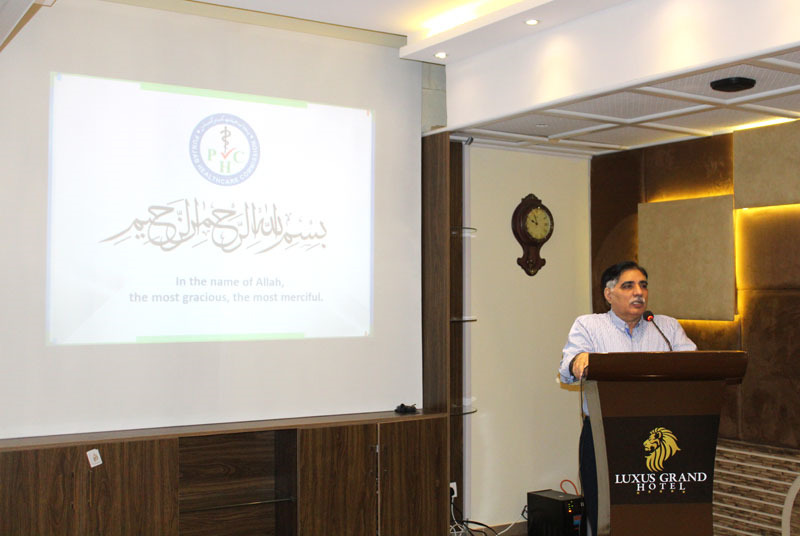 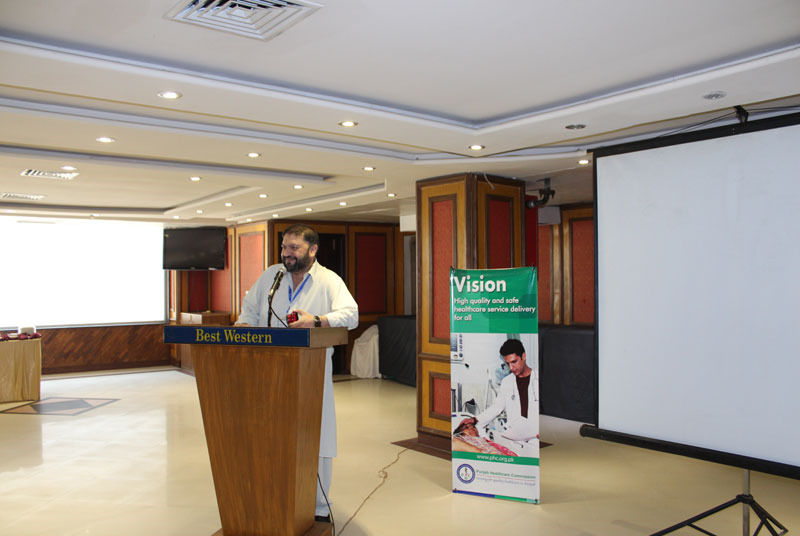 Chief Operating Officer Dr. Muhammad Ajmal Khan attended the seminar on ‘Quality Assurance in Healthcare’ held at the Armed Forces Postgraduate Medical Institute (AFPGMI) Rawalpindi. 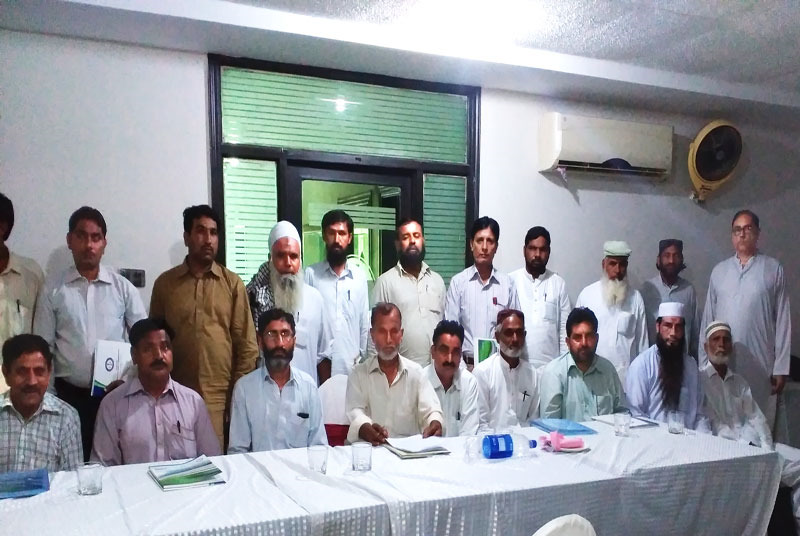 The Punjab Healthcare Commission on Monday sealed 28 illegal businesses of quacks, and initiated further proceedings against them. 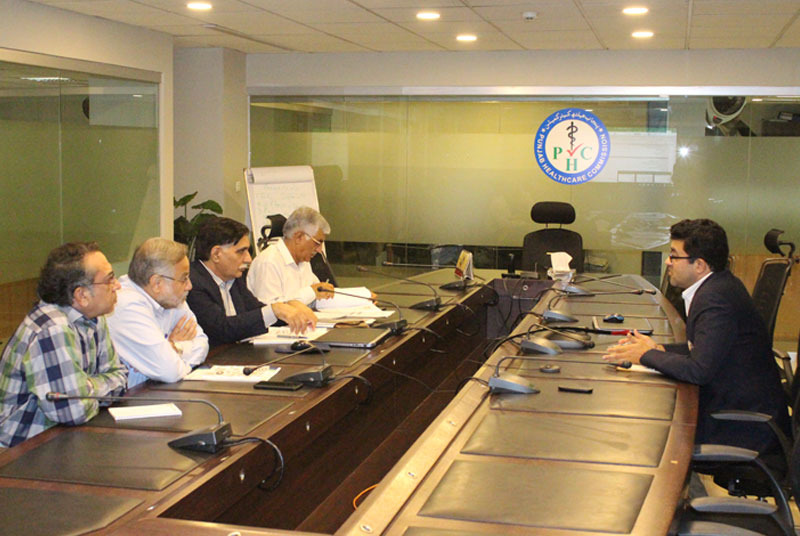 Senior officials of the Punjab Healthcare Commission held a meeting here on Friday with the Additional Director General Epidemic Prevention and Control Punjab Dr Farrukh Sultan. 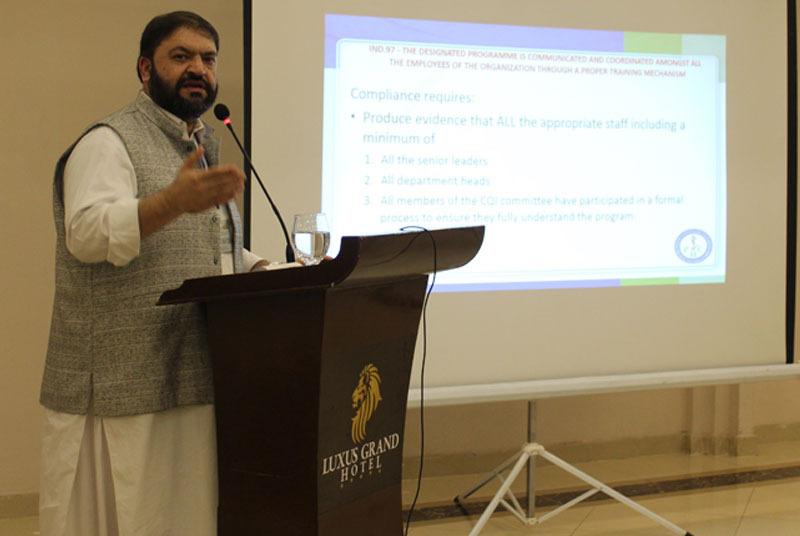 The Punjab Healthcare Commission has outlined the Minimum Service Delivery Standards for psychiatric and addiction treatment facilities. 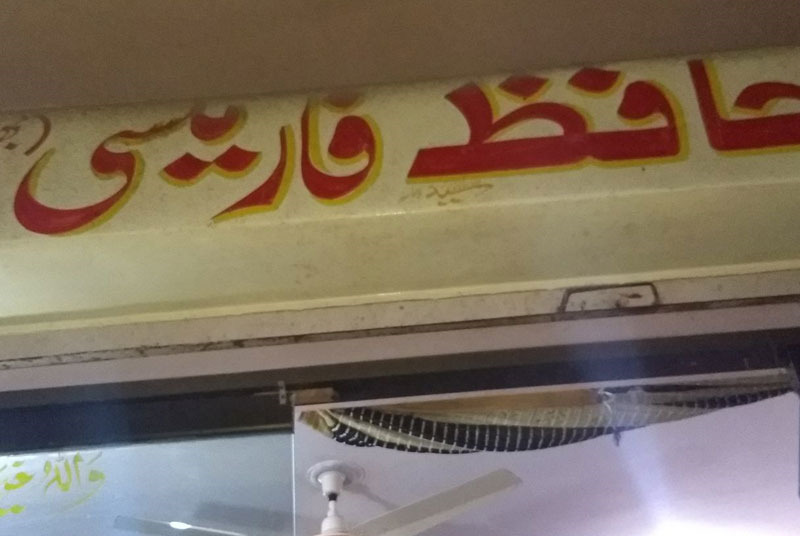 The Anti-Quackery Department of the Punjab Healthcare Commission has imposed a fine of Rs0.65 million on 36 quacks while their businesses will remain closed as well. 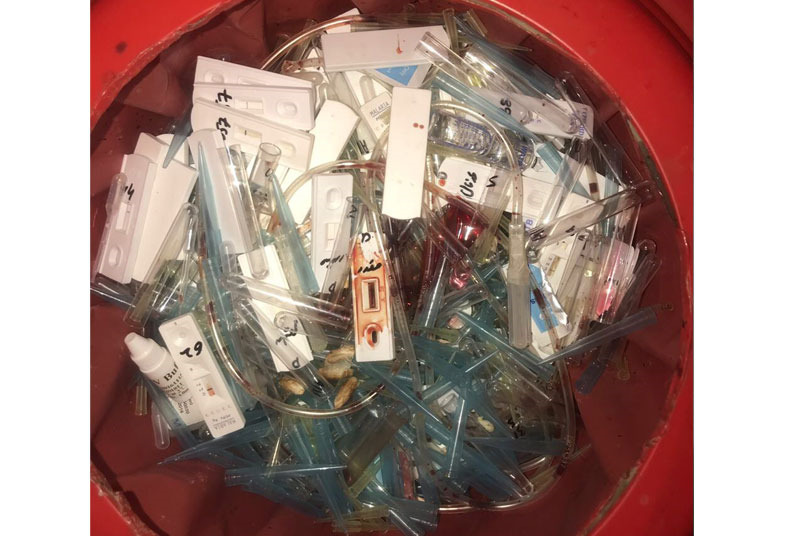 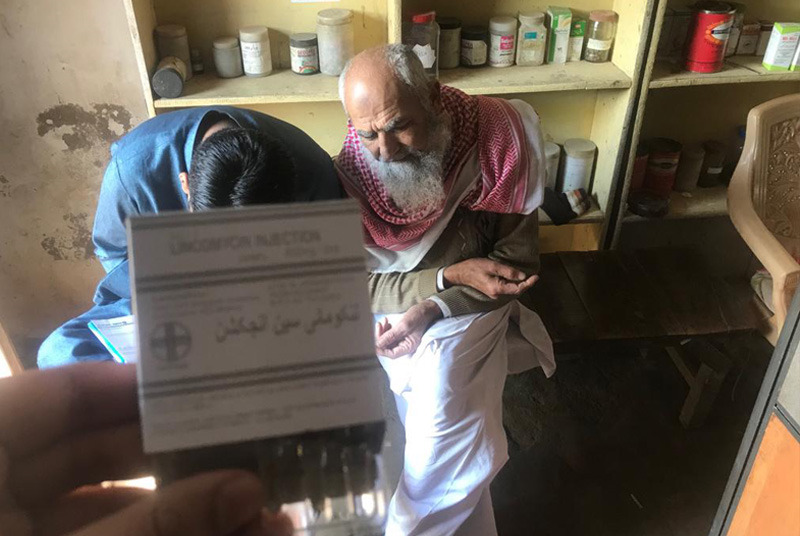 The Punjab Healthcare Commission on Thursday sealed illegal businesses of 30 quacks while initiating further proceedings. 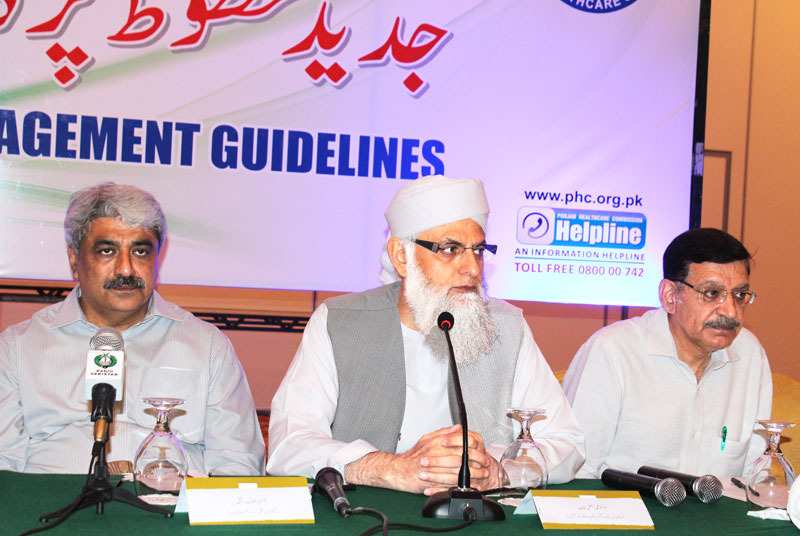 The PHC sealed 31 clinics of quacks. 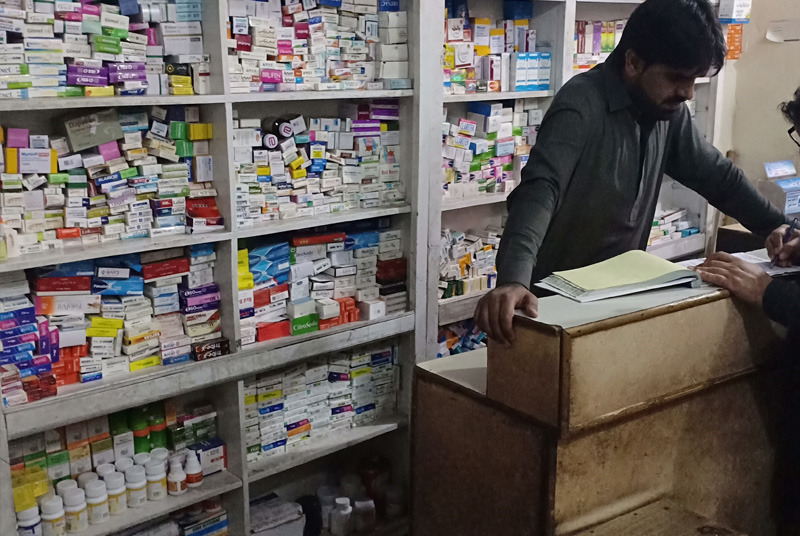 The Punjab Healthcare Commission sealed 31 illegal businesses of quacks and initiated further legal proceedings against them. 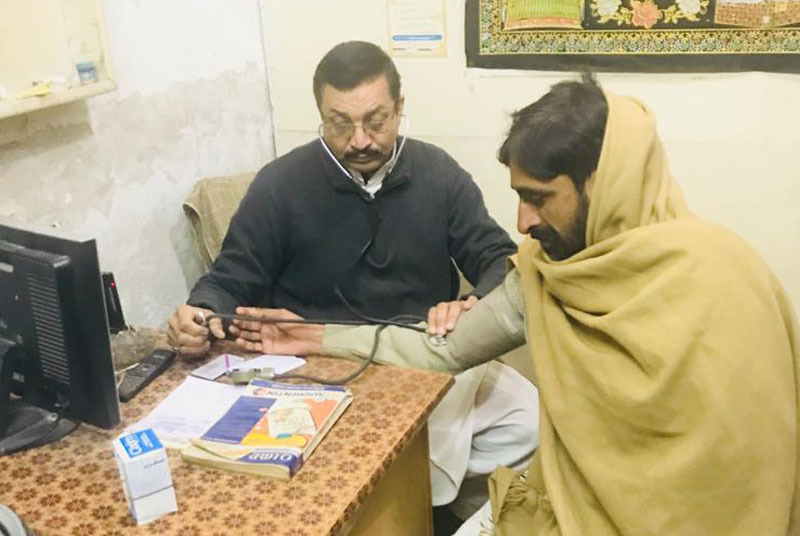 During February and March this year, the Anti-Quackery Cell of the Punjab Healthcare Commission conducted raids on laboratories and diagnostic centres in various areas of Lahore. 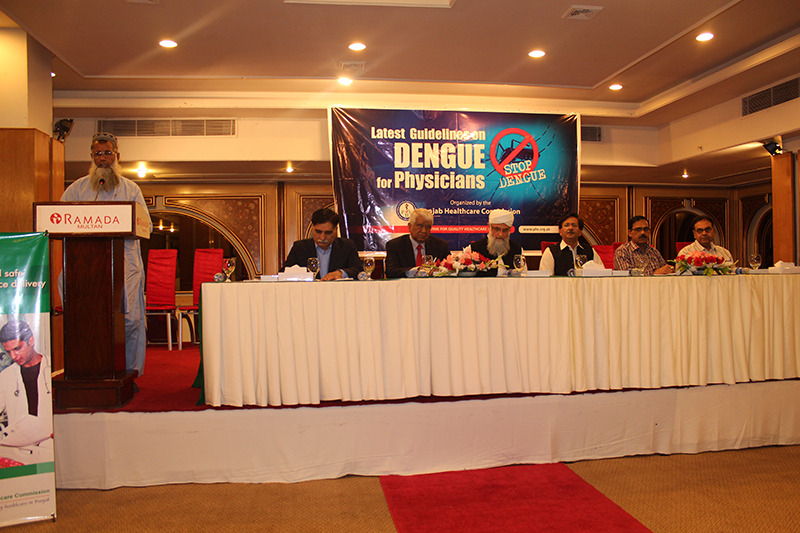 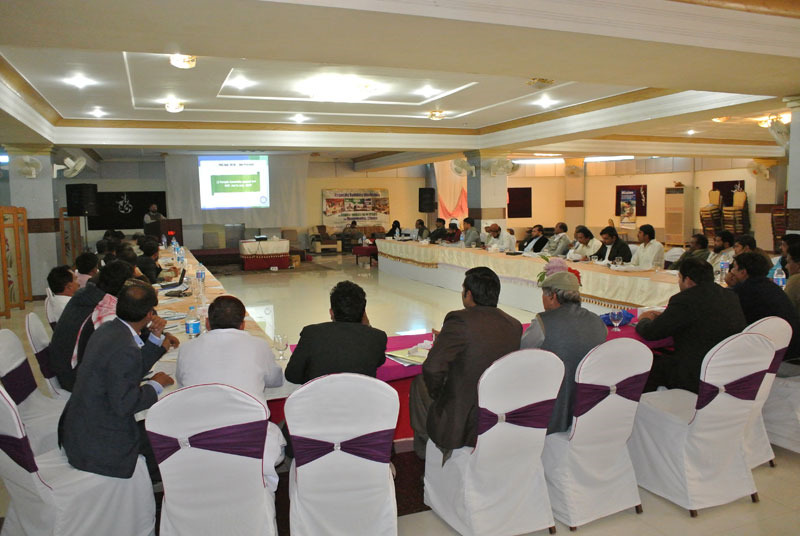 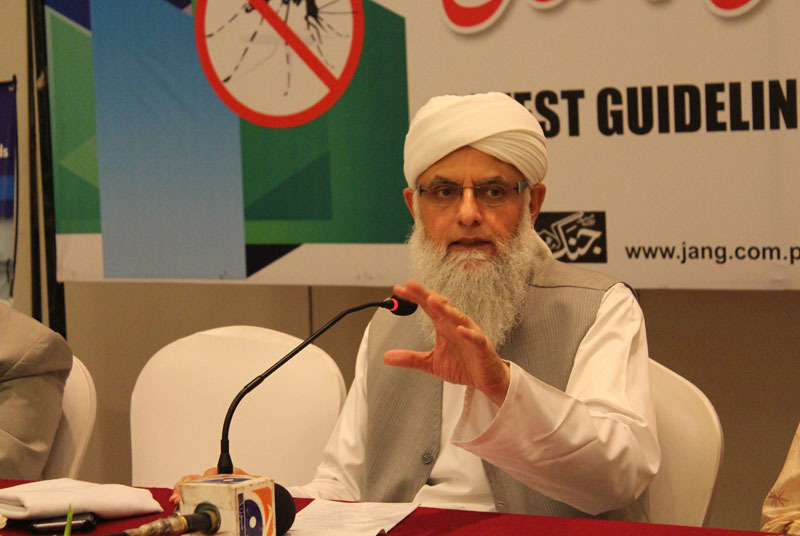 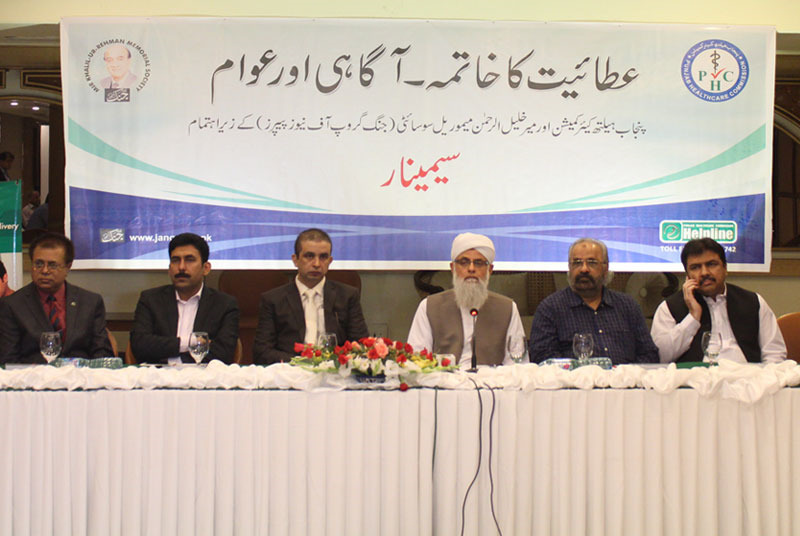 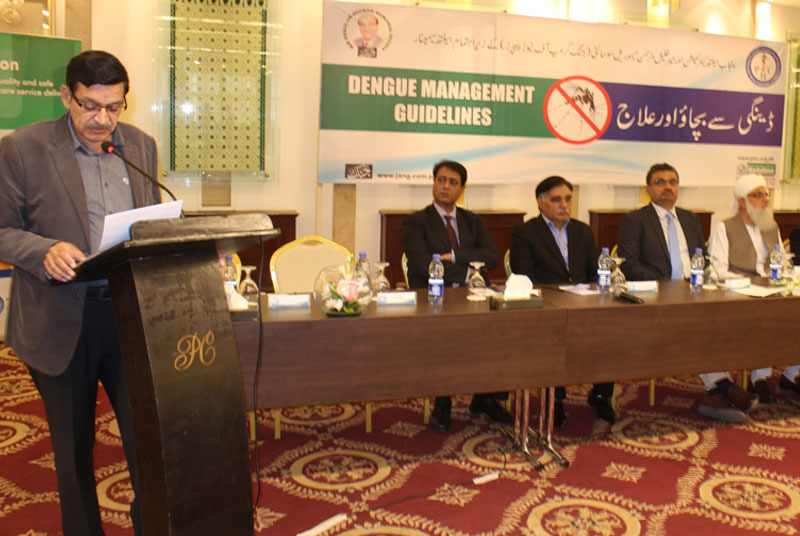 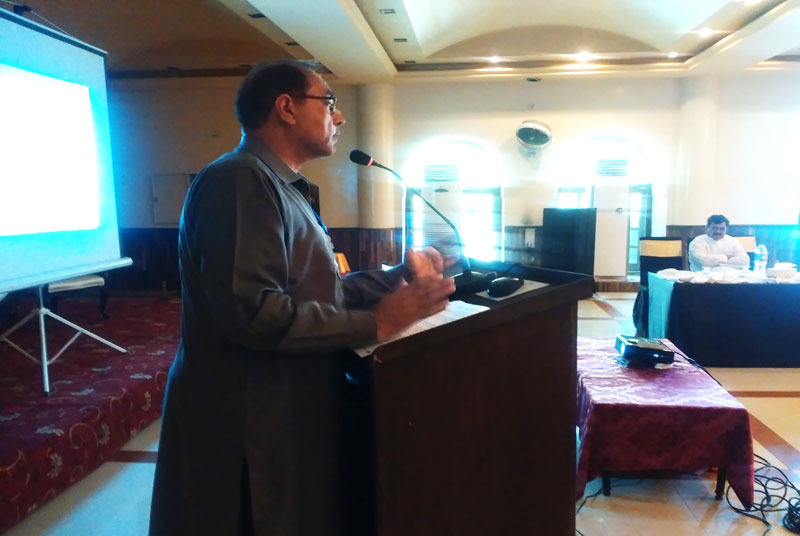 The Punjab Healthcare Commission and Mir Khalil-ur-Rehman Memorial Society (Jang Group) had jointly organised a seminar ‘Latest dengue management guidelines’ in Multan. 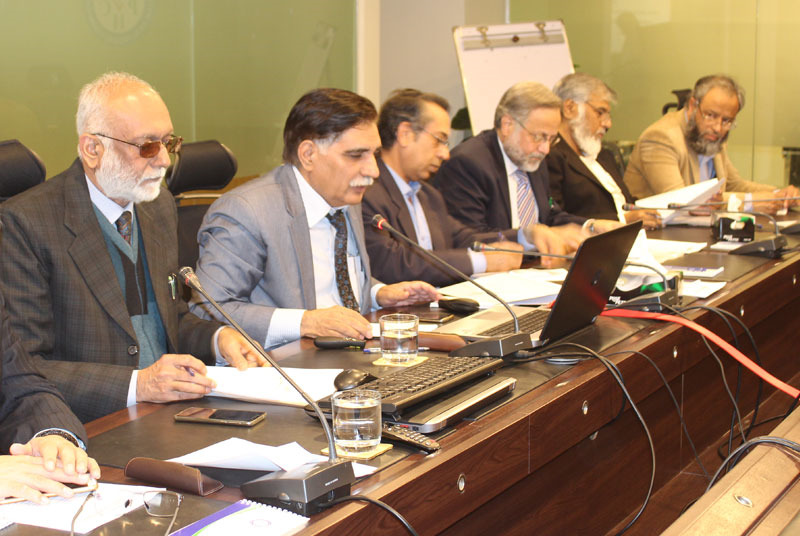 Senate Standing Committee on Devolution conducted a meeting at the Punjab Civil Secretariat on March 31 2017. 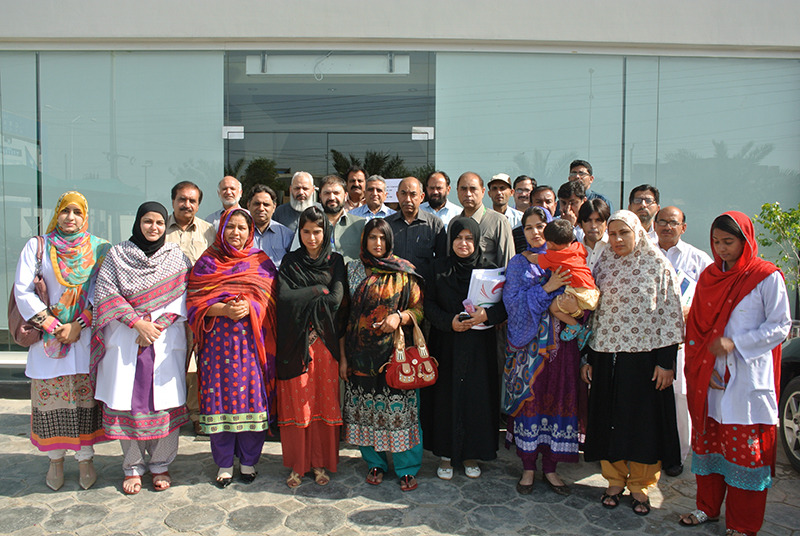 The PHC has conducted a two-day orientation workshop for the staff of Mayo hospital in the implementation of the MSDS. 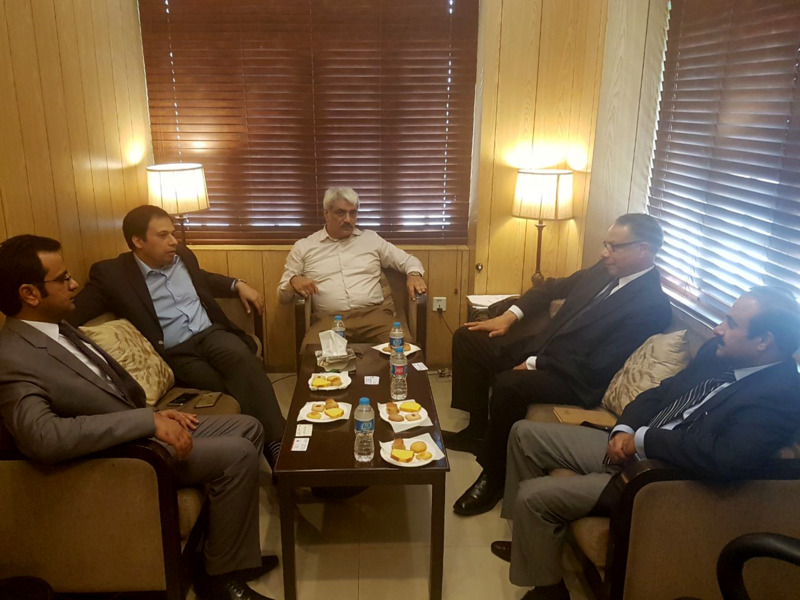 Turkish Health Ministry visited the Punjab Healthcare Commission on March 27 2017. 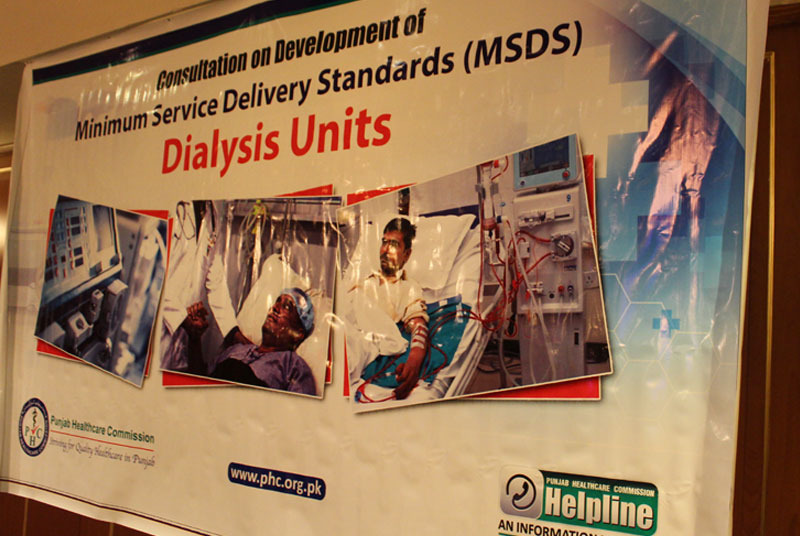 HC Conducts a Consultative Workshop to finalize the Draft MSDS for Dialysis Units and Centers. 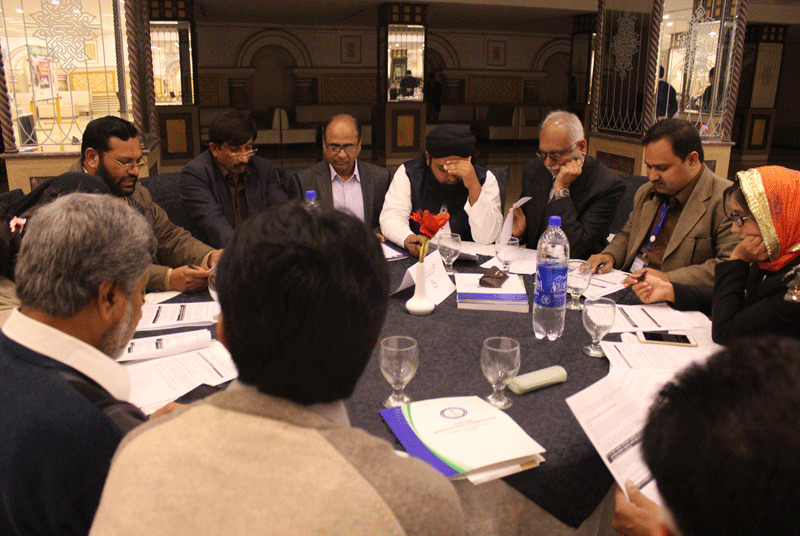 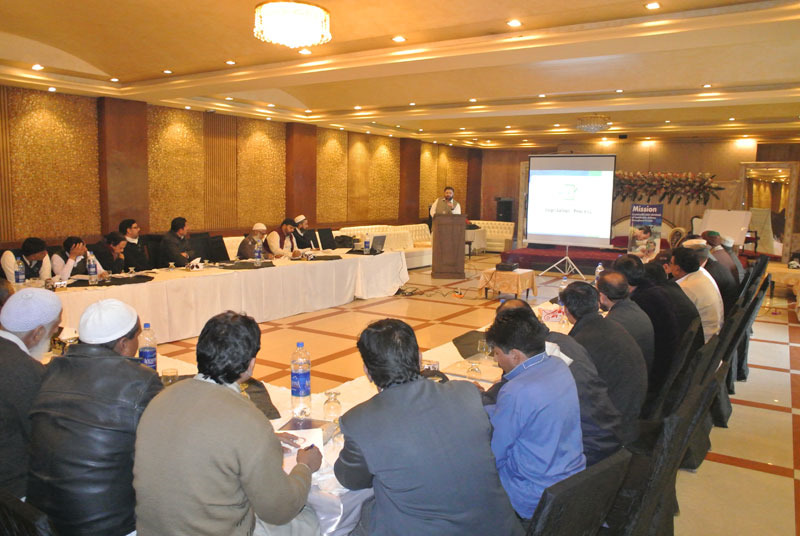 The Punjab Healthcare Commission conducted a consultative workshop on February 28 to finalize the Draft of the Minimum Service Delivery Standards for Dialysis Units and Centers. 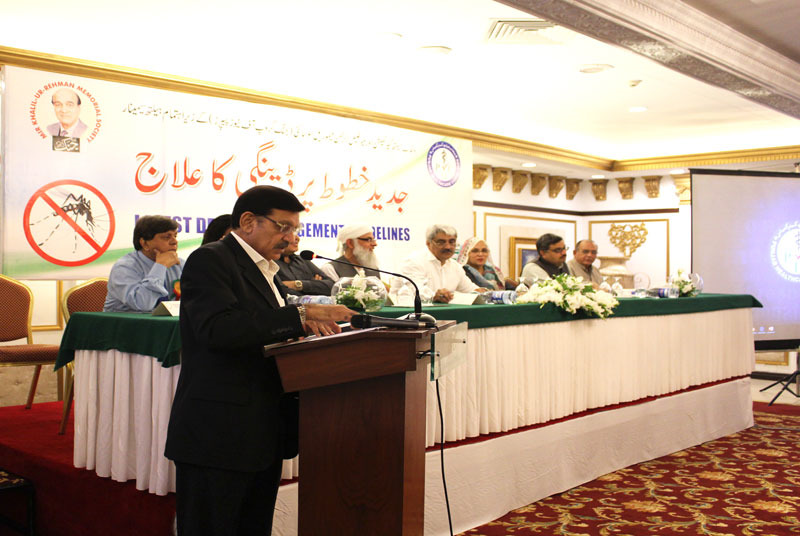 The Punjab Healthcare Commission arranged a farewell in the honour of former Vice- Chancellor University of Health Sciences Maj.-General (retd) Prof Dr Muhammad Aslam. 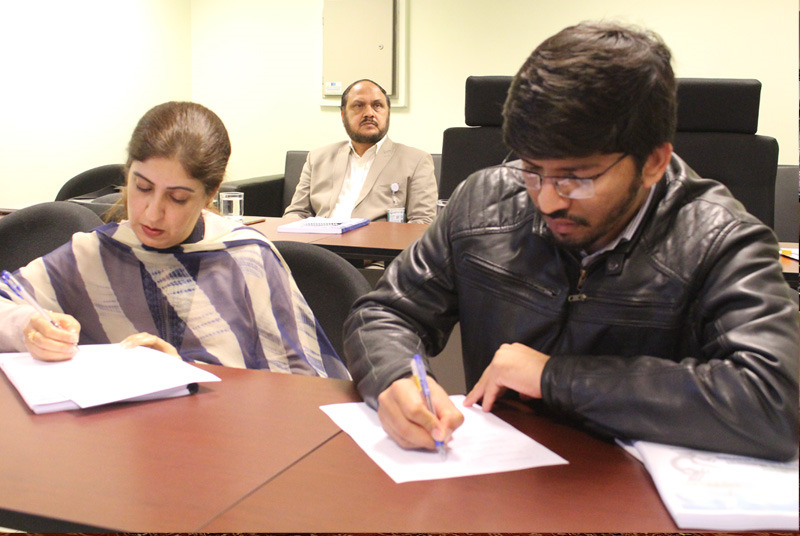 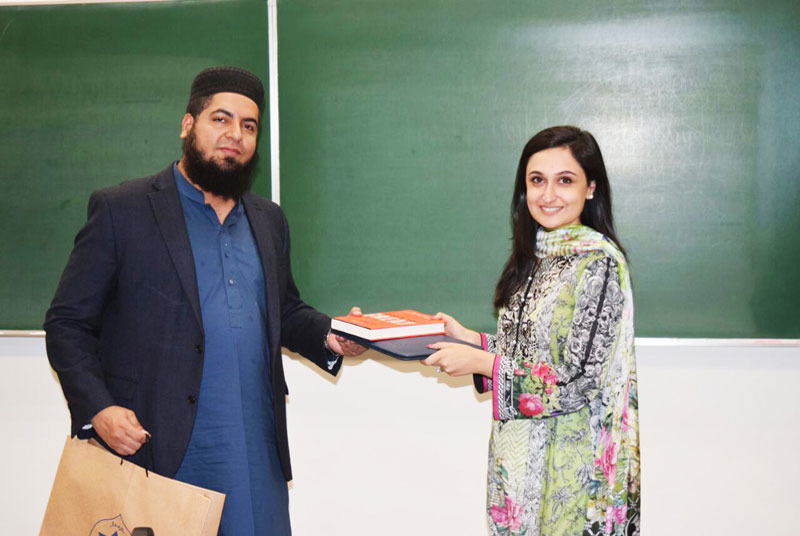 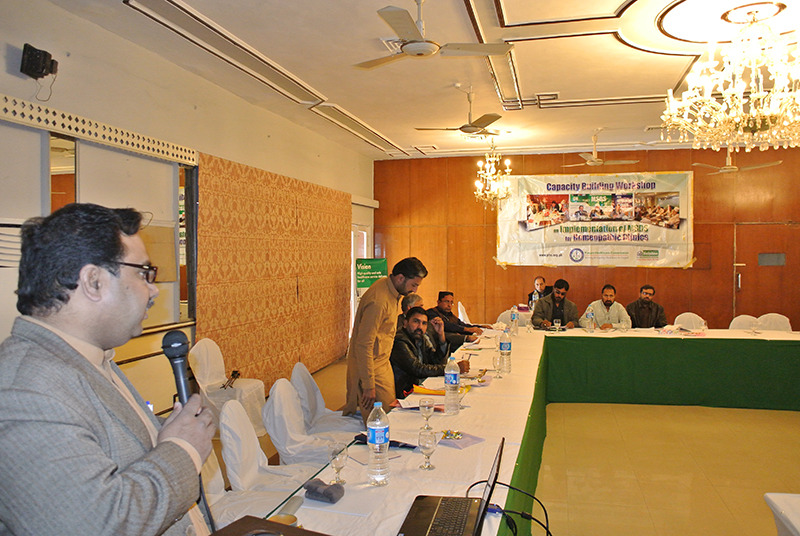 Three capacity building workshops were organized for the staff of category-II, HCEs from January 10-12, 11-17 and January 31 to February 02 in Lahore. 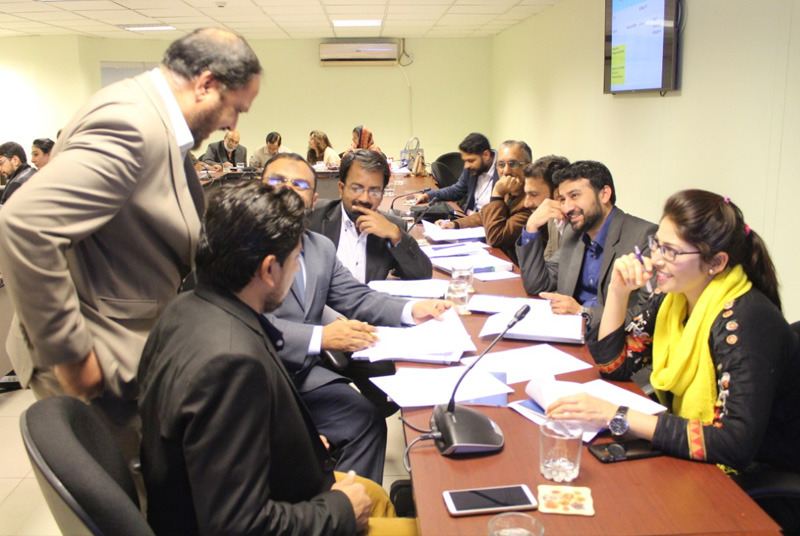 The Punjab Healthcare Commission has organized two three-day capacity-building workshops from January 4 - 6 and 24 - 26 for the staff of the DHQ, THQ Hospitals in Lahore. 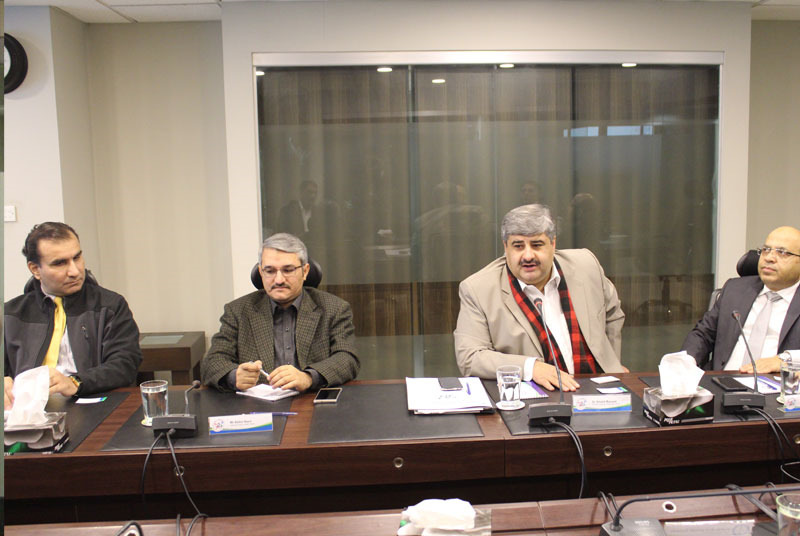 A delegation of the Khyber Pakhtunkhwa Healthcare Commission visited to the Punjab Healthcare Commission on January 3. 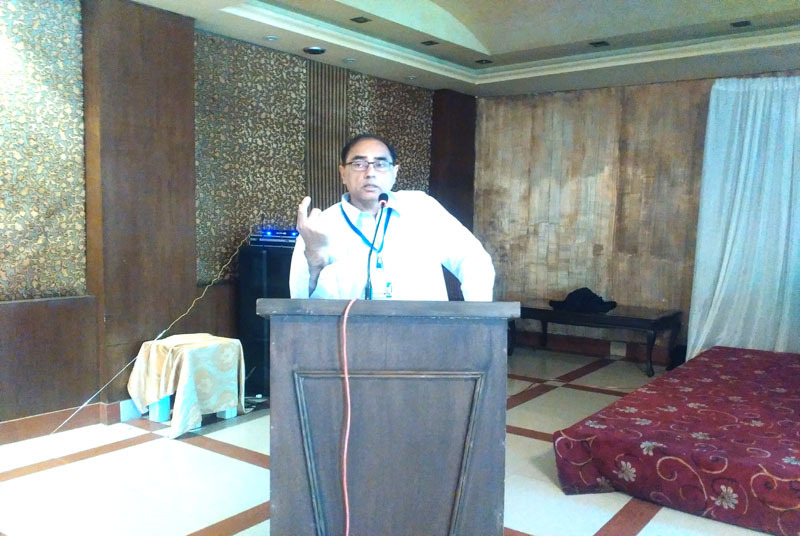 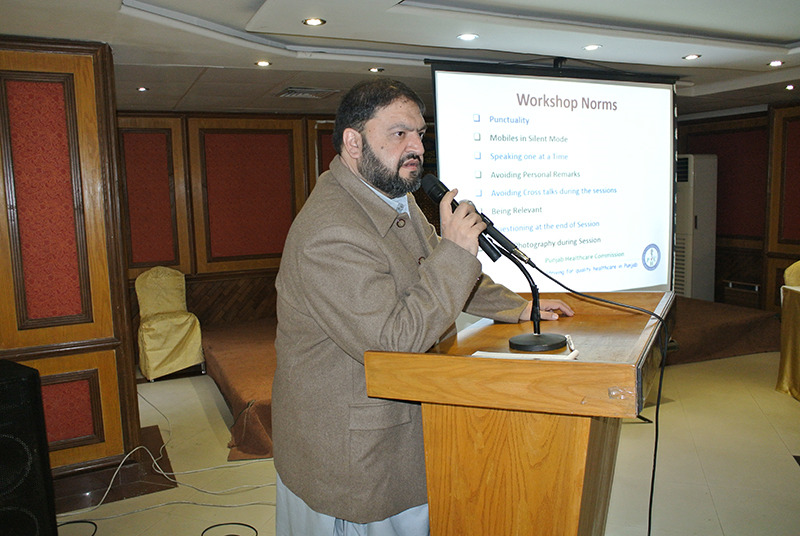 The Punjab Healthcare Commission has organized a three-day capacity building workshop for the category-II B HCEs. 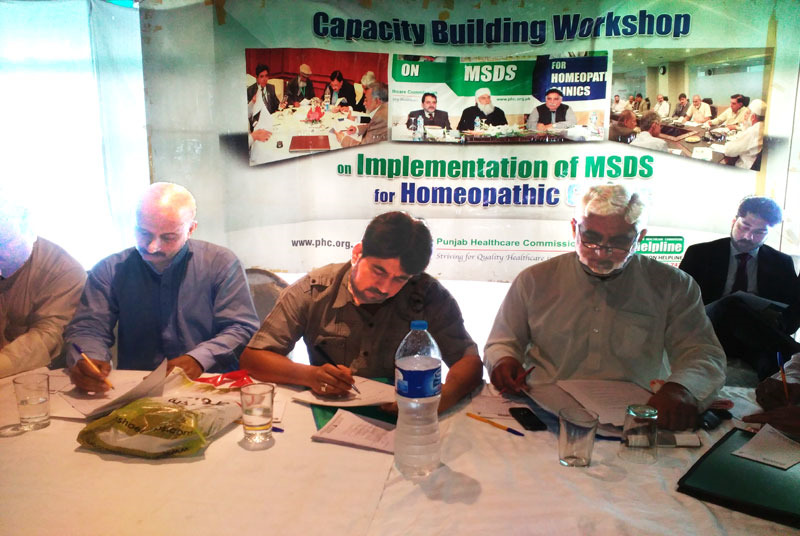 The Punjab Healthcare Commission has organised three one-day capacity building workshops from December 14 to 16 for the homeopathic practitioners. 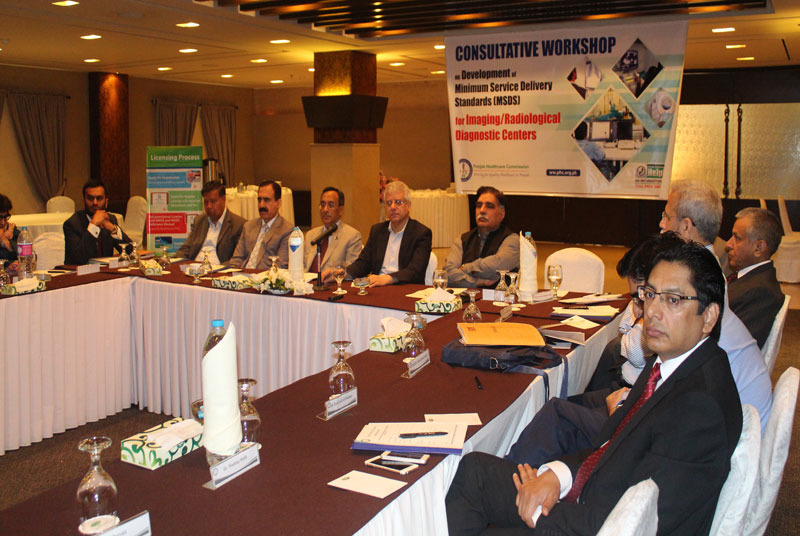 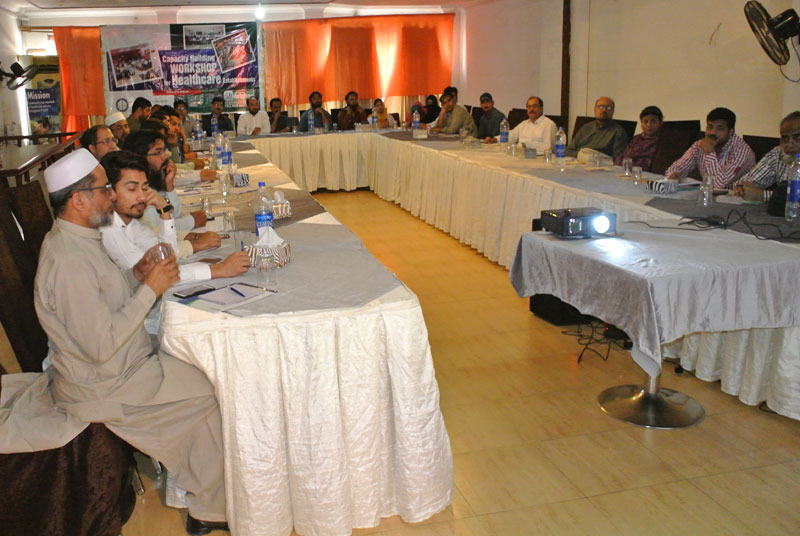 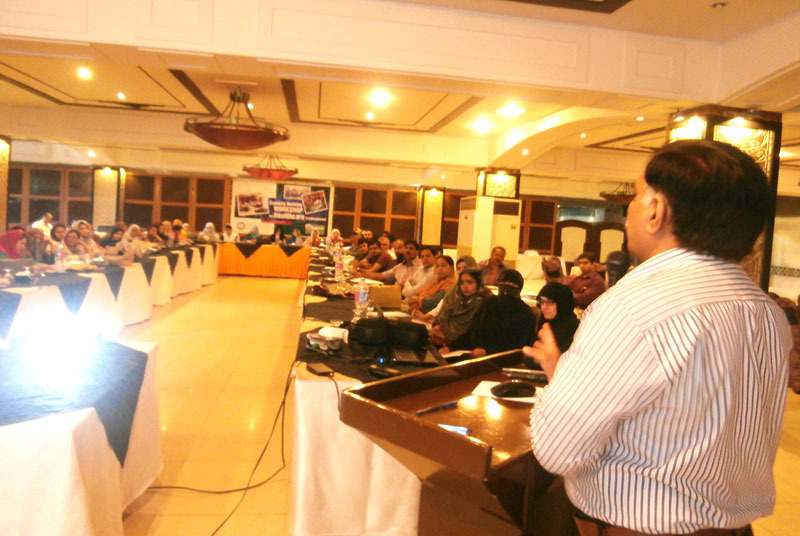 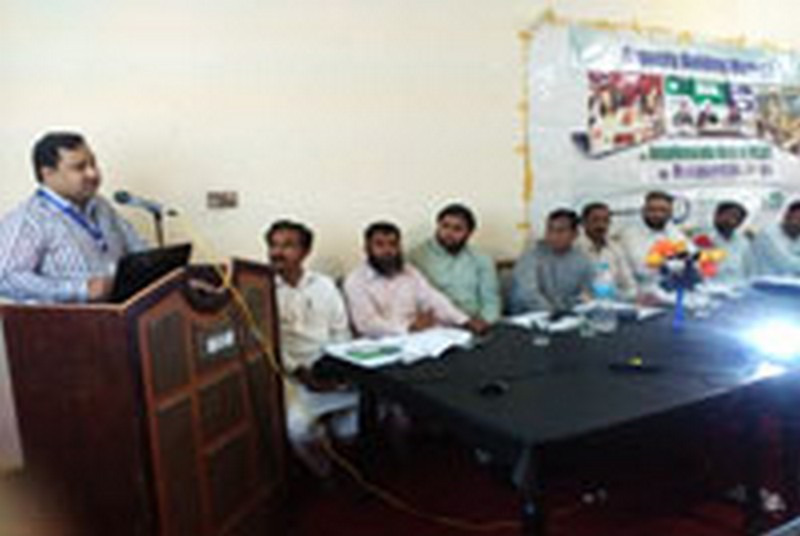 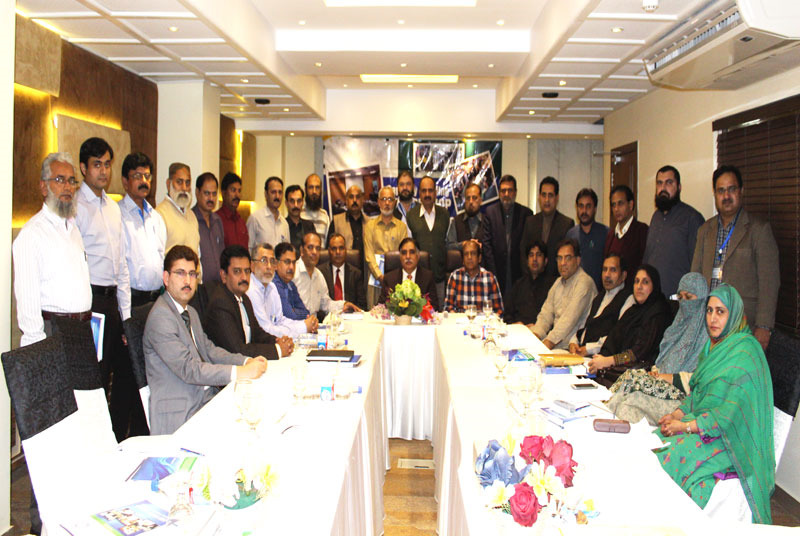 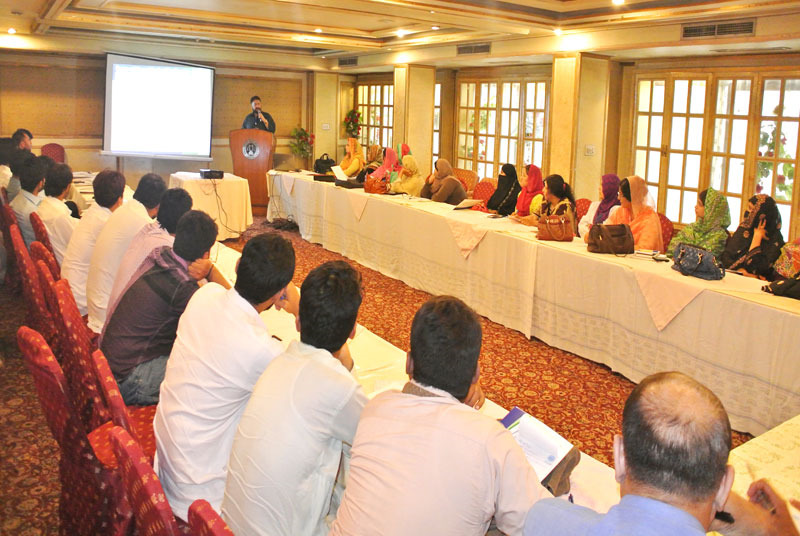 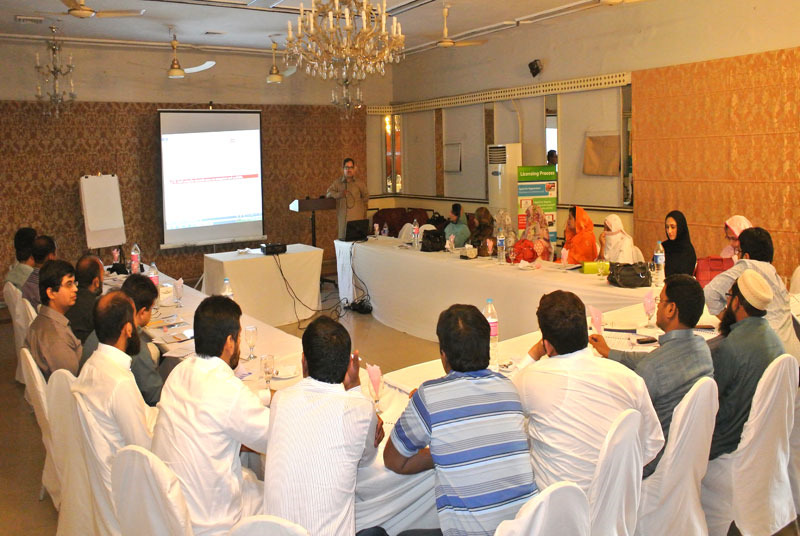 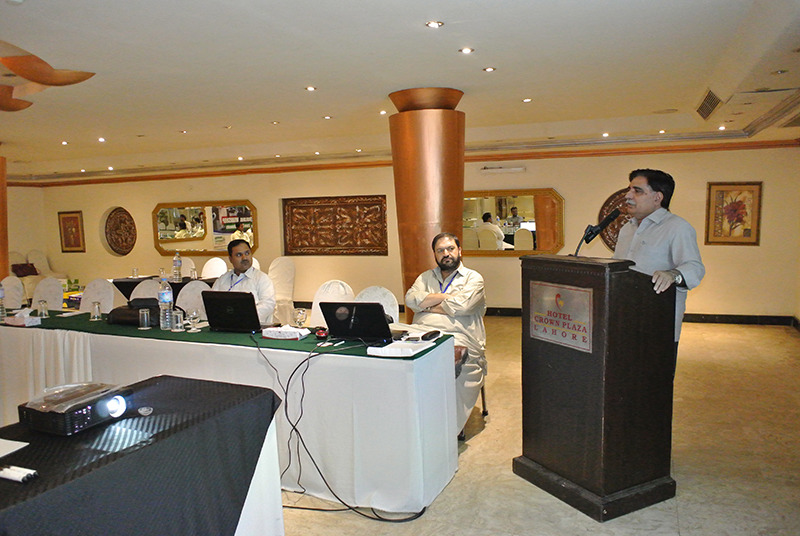 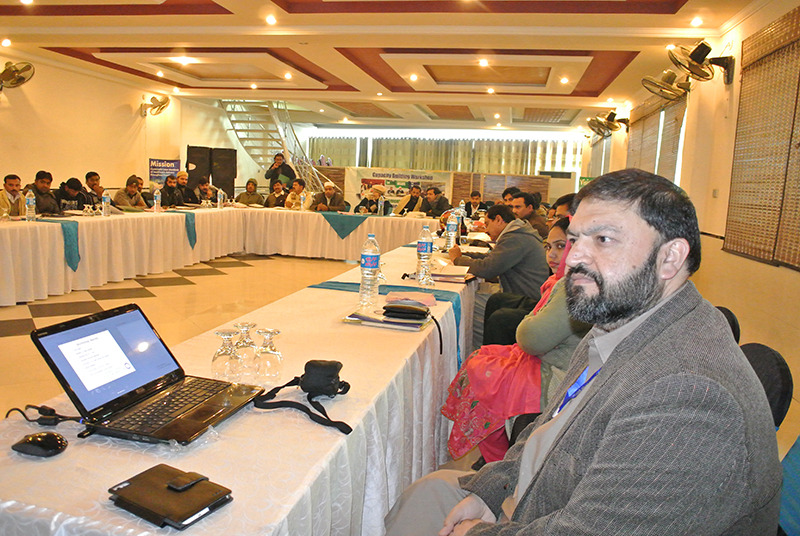 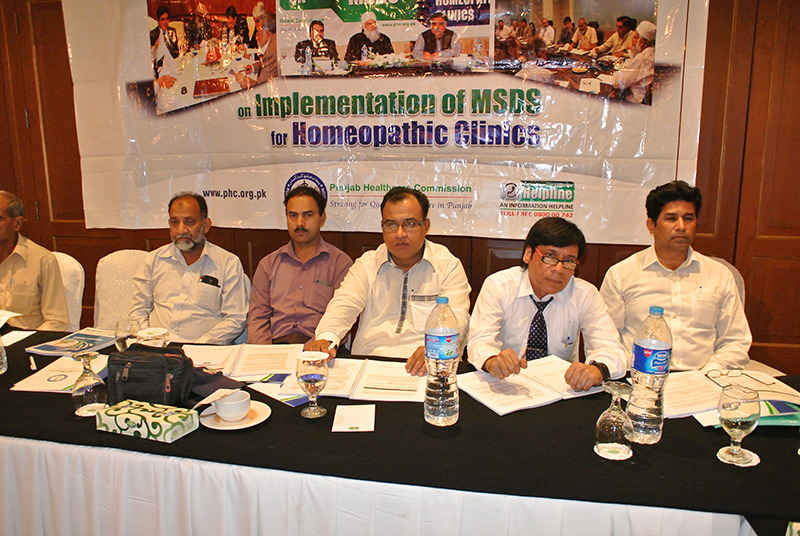 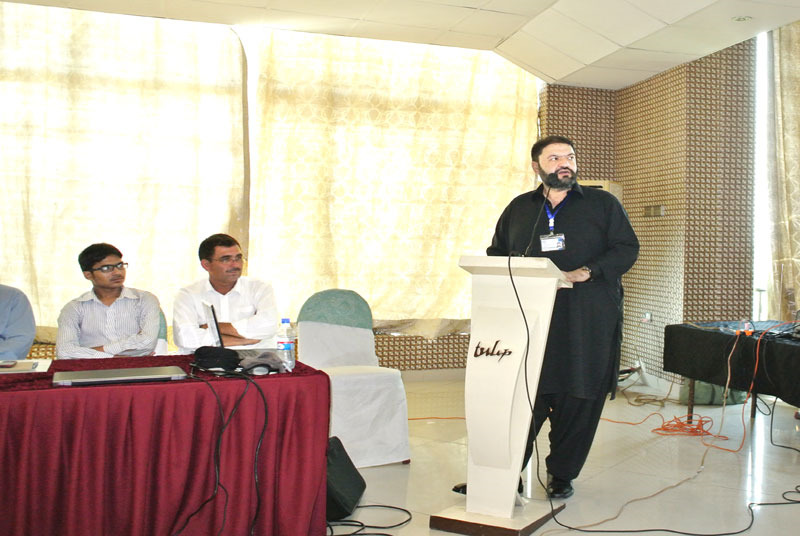 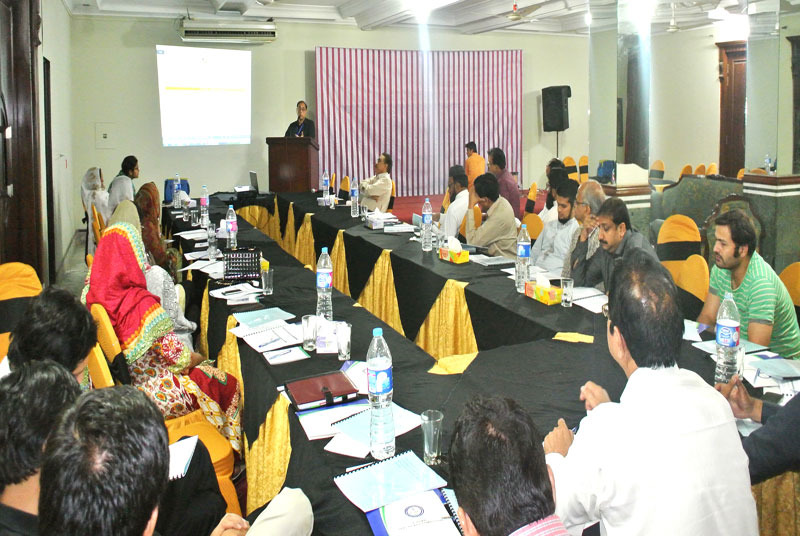 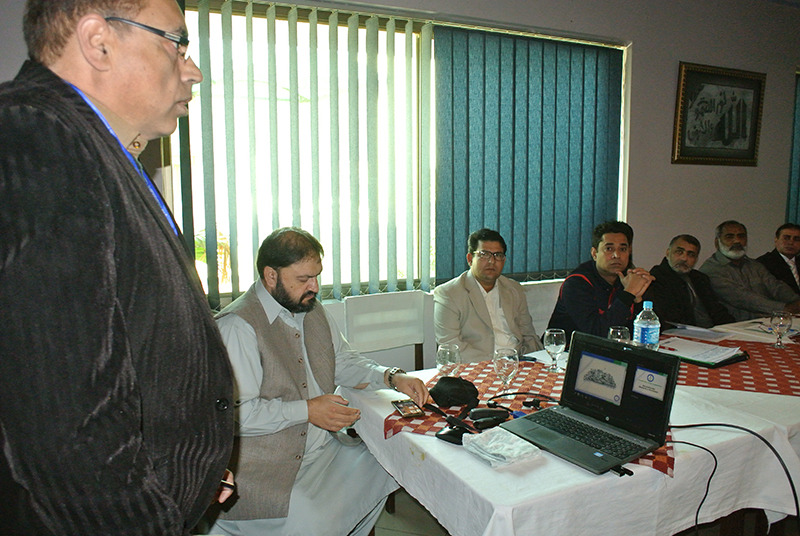 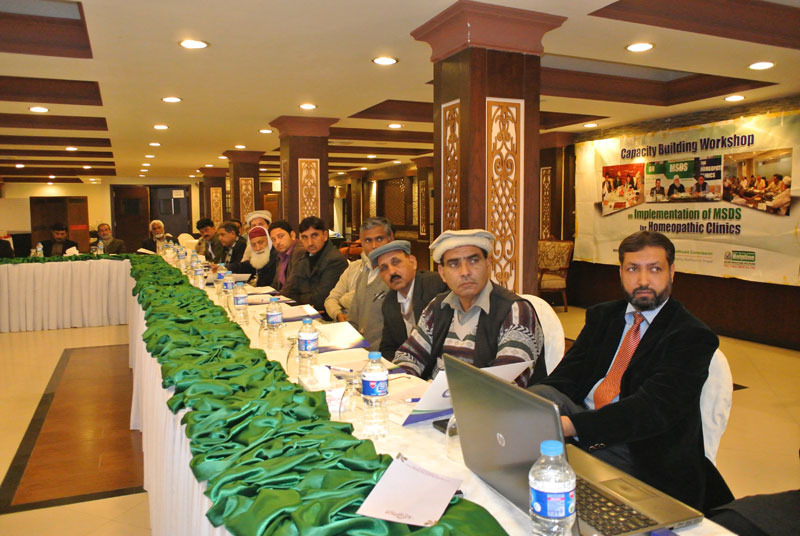 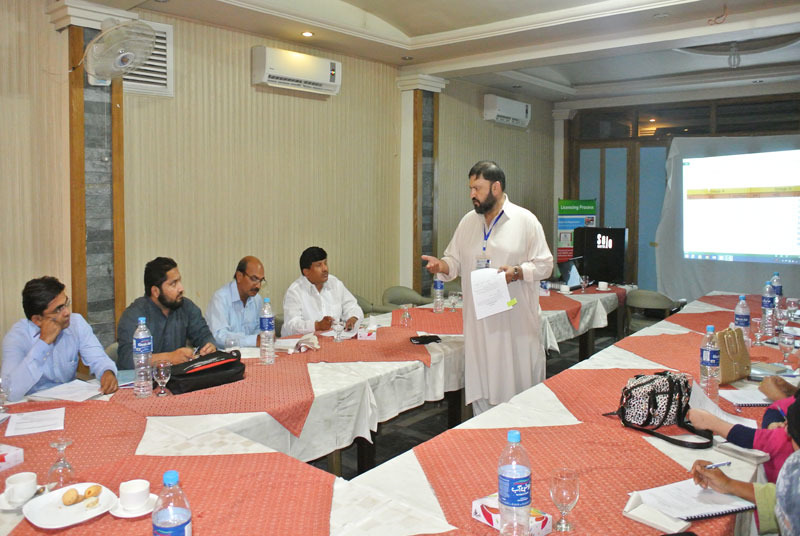 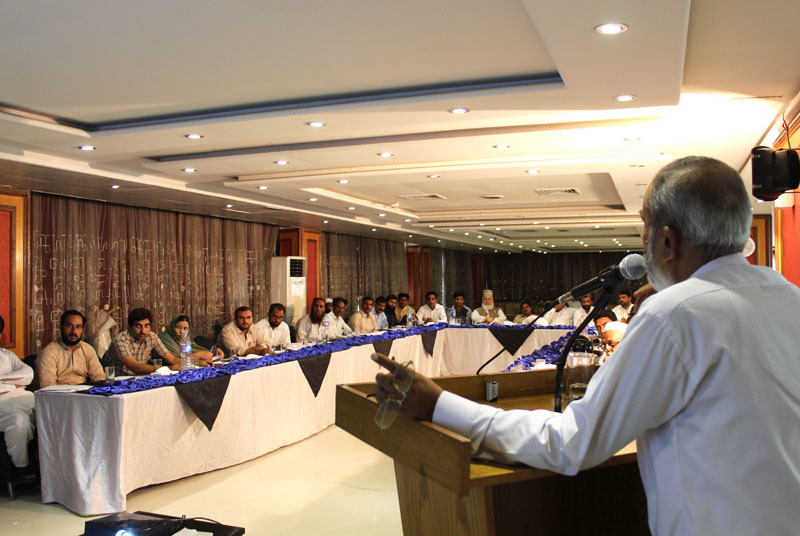 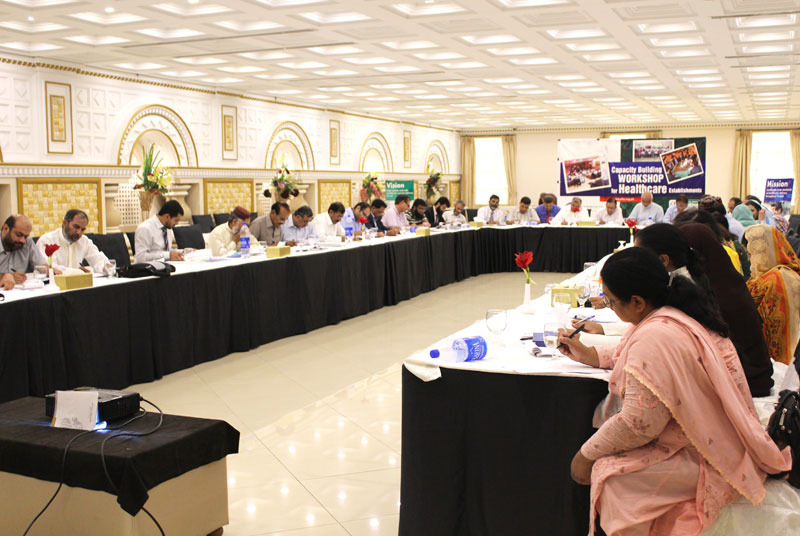 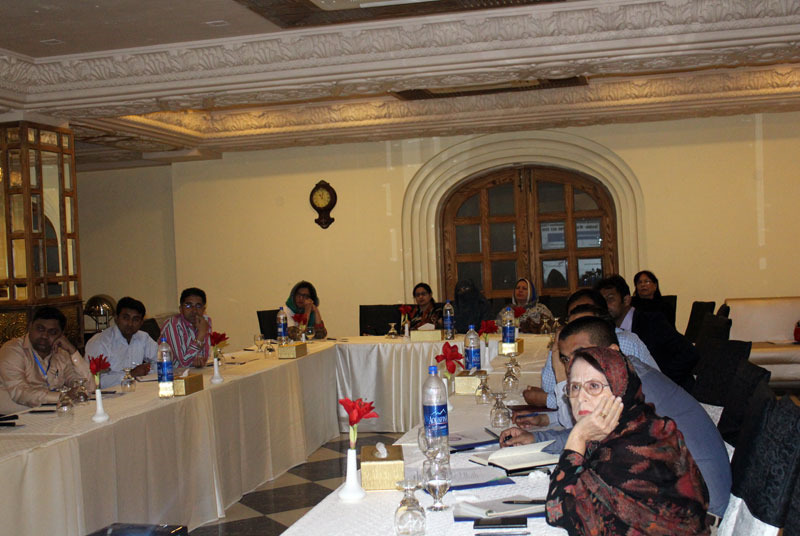 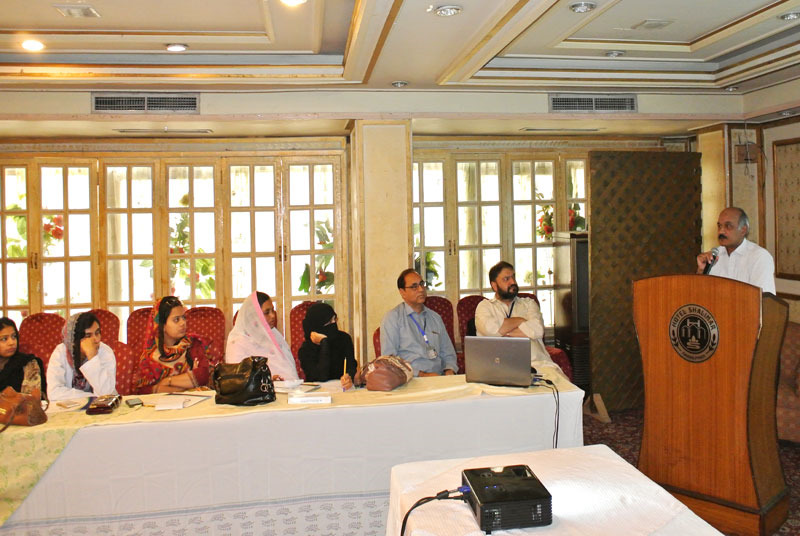 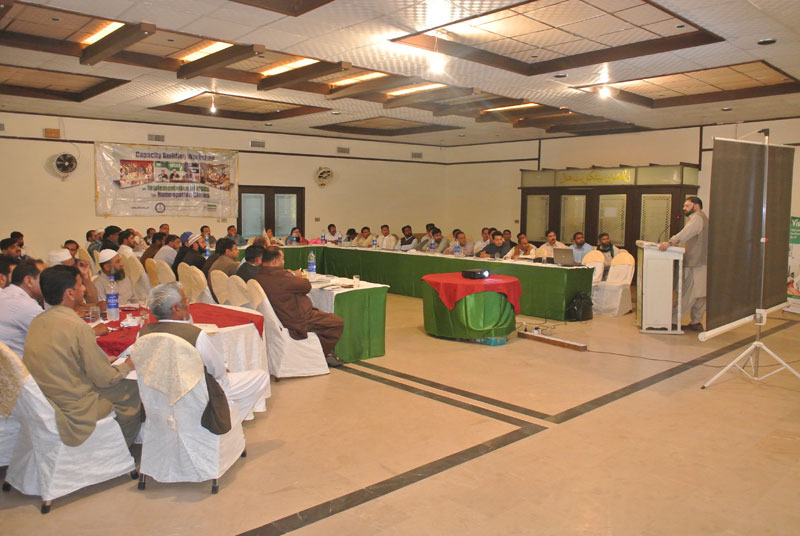 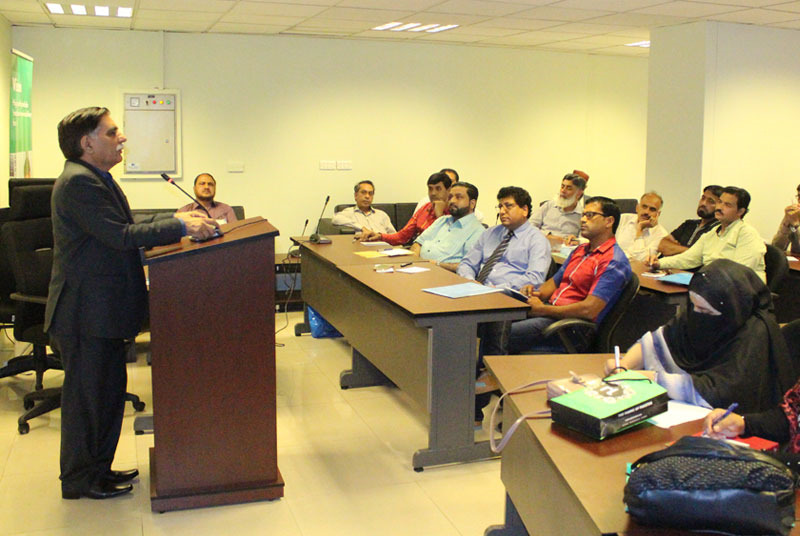 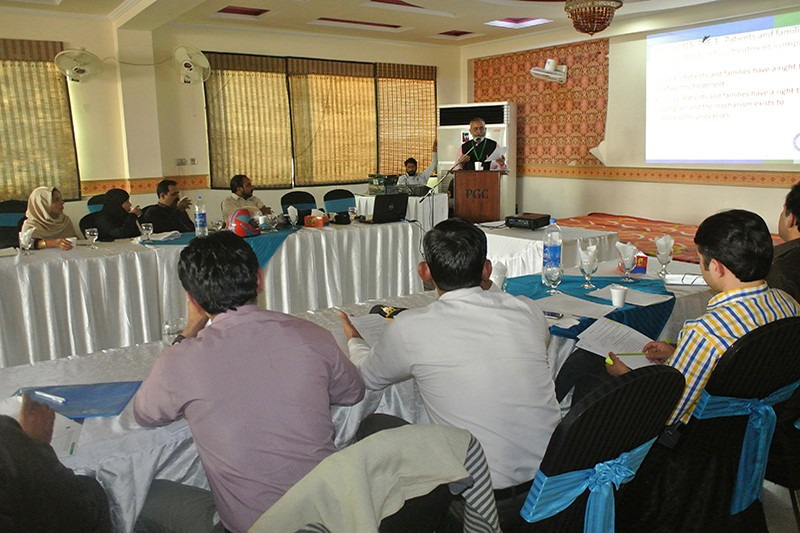 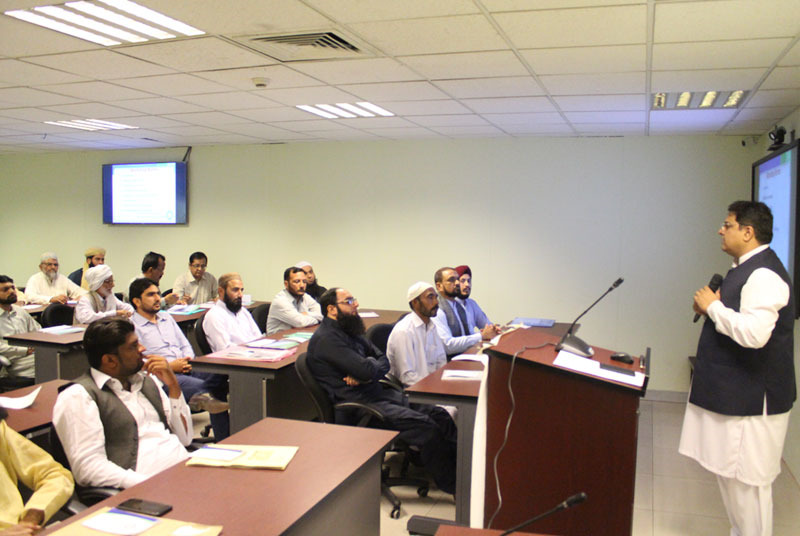 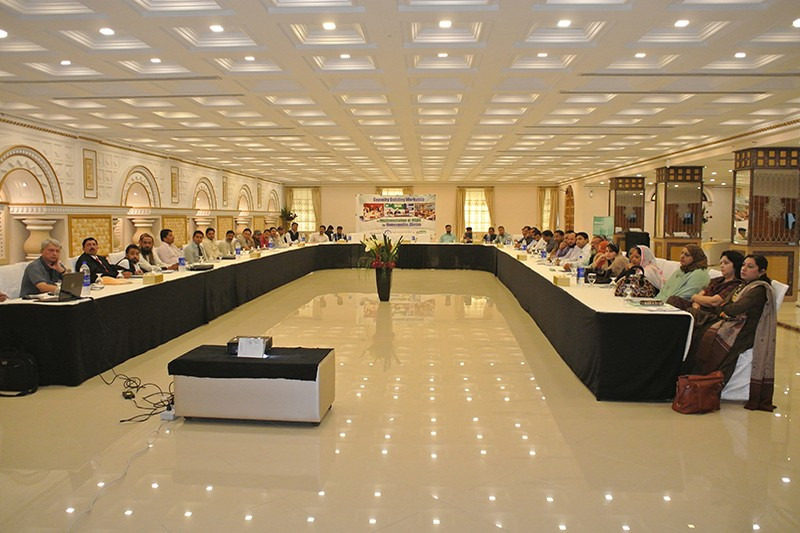 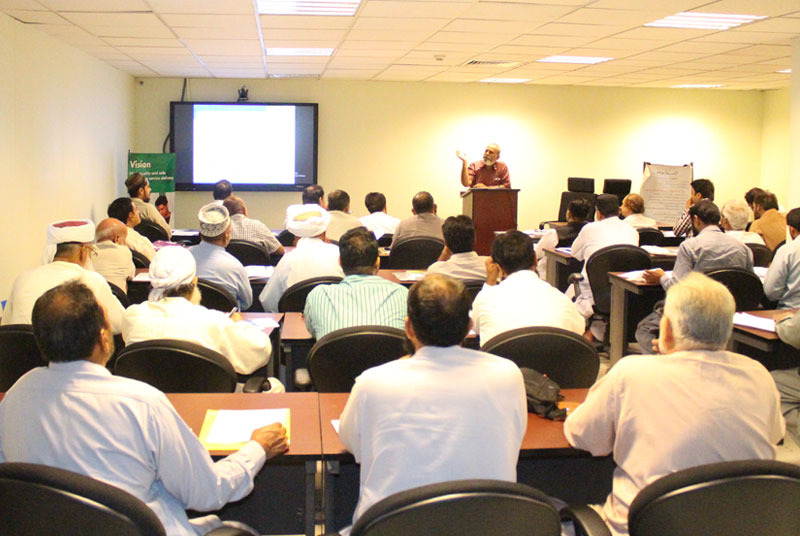 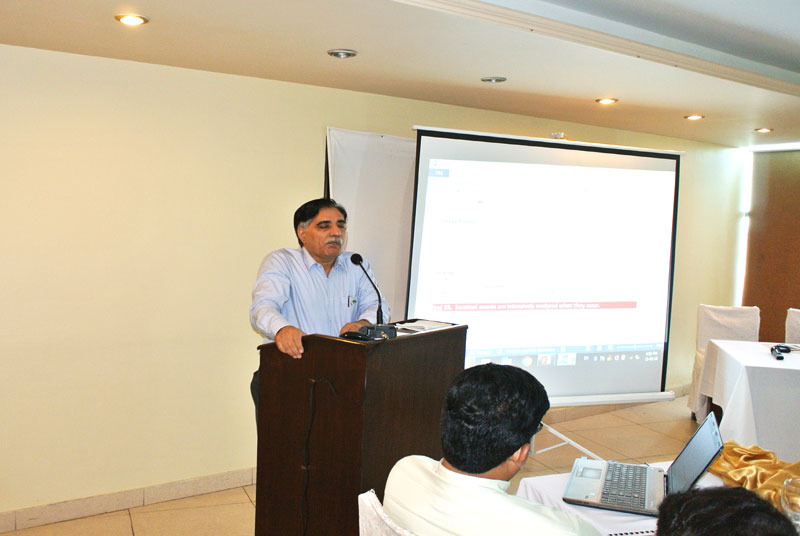 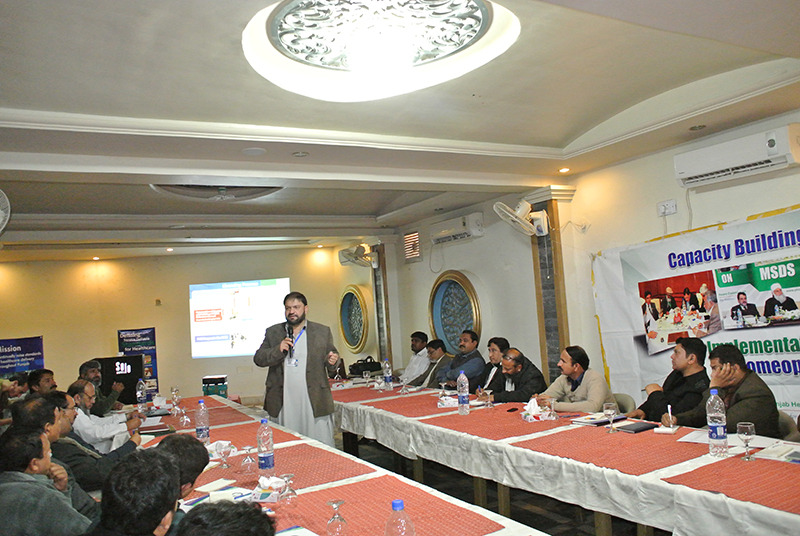 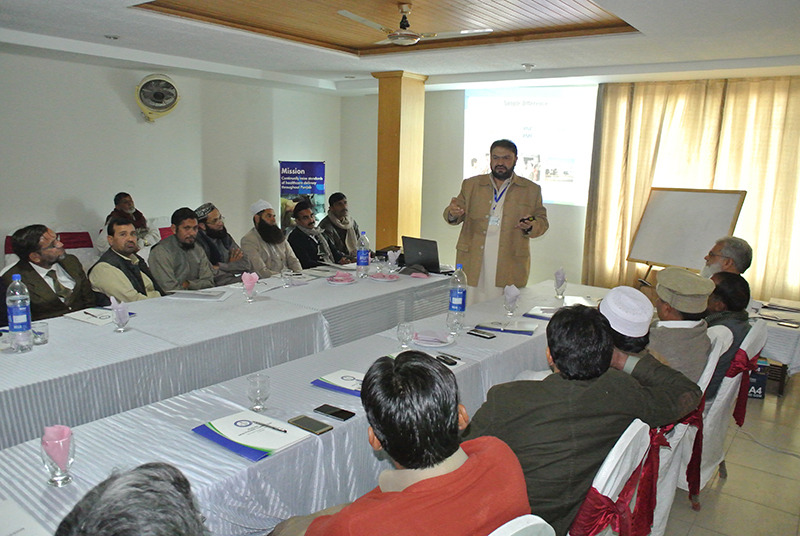 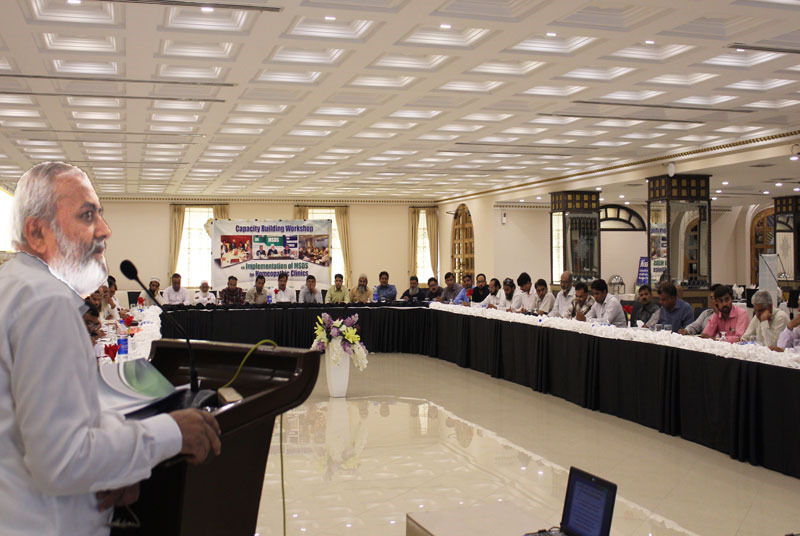 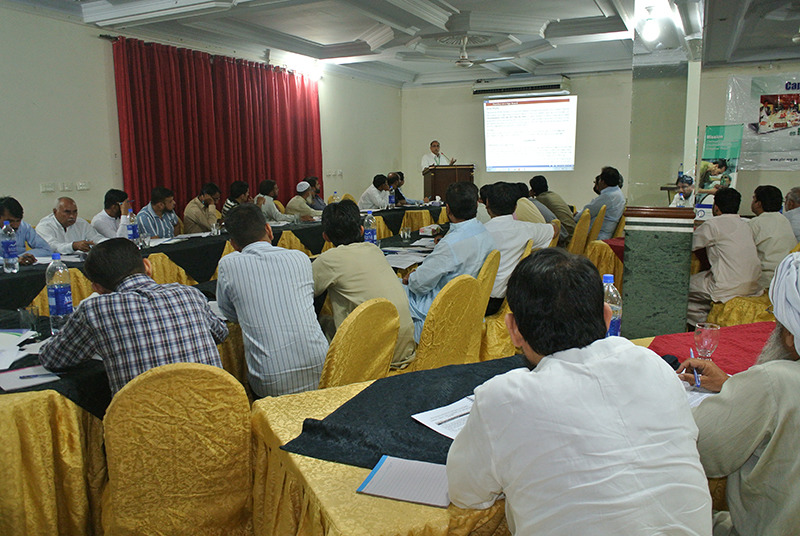 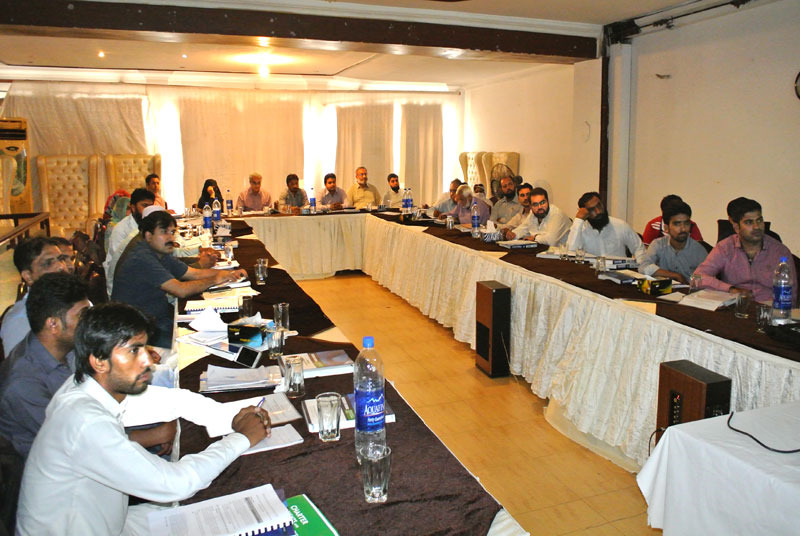 A three-day capacity building workshop on MSDS, organized for Category-II HCEs in Lahore. 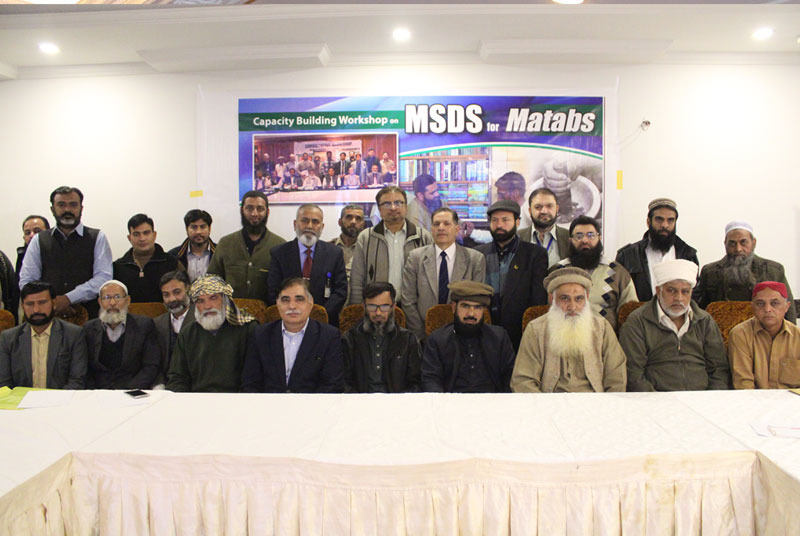 A three-day capacity-building workshop was held from December 7 to 9 to train the staff of the category-II HCEs in the MSDS implementation. 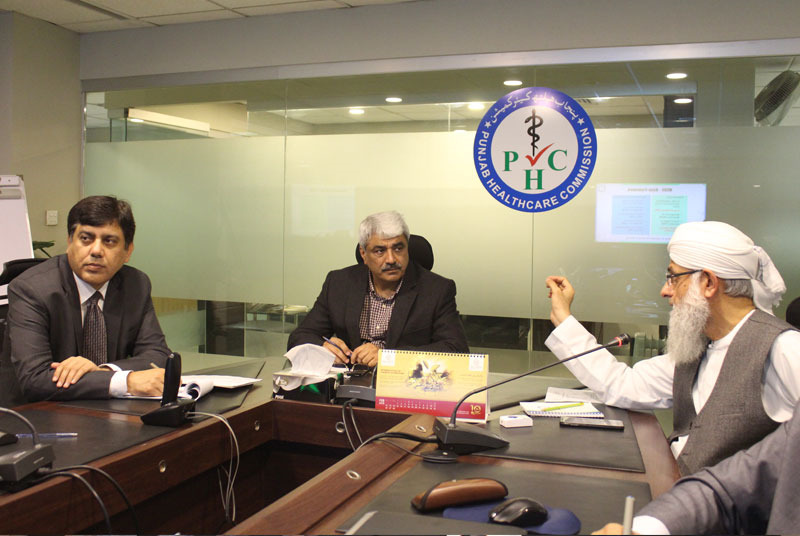 A Turkish delegation comprising health officials visited the Punjab Healthcare Commission on 2nd December 2016. 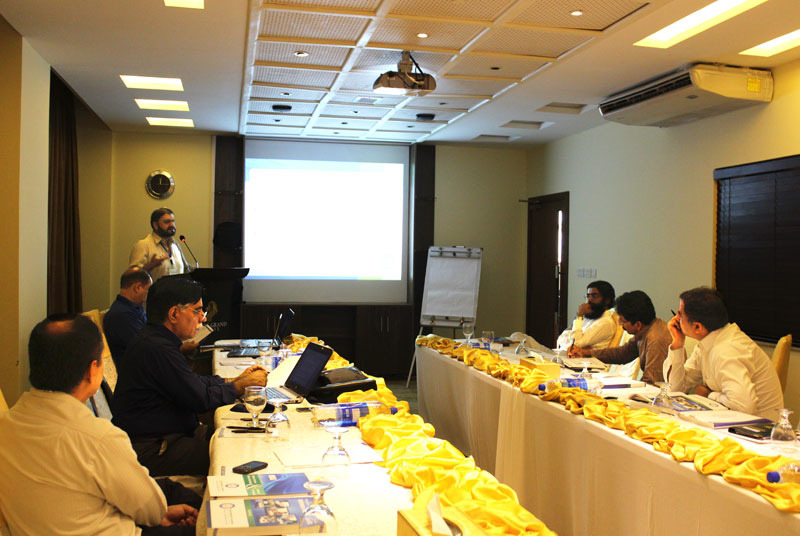 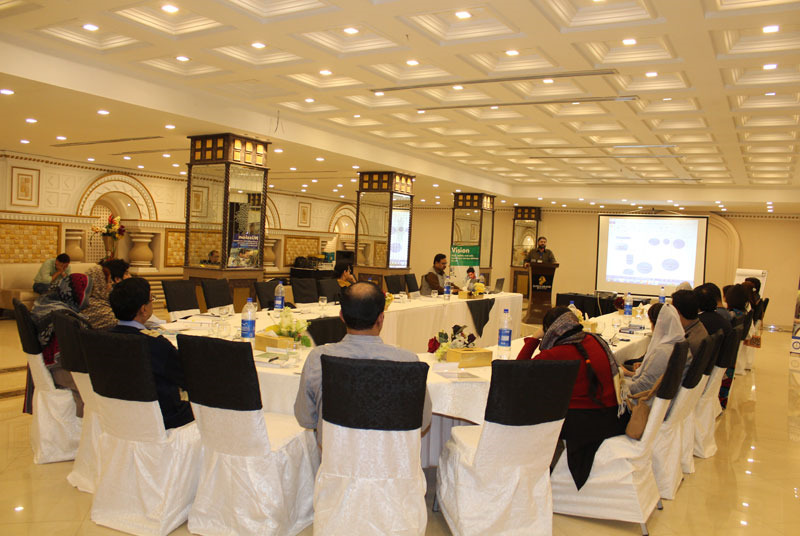 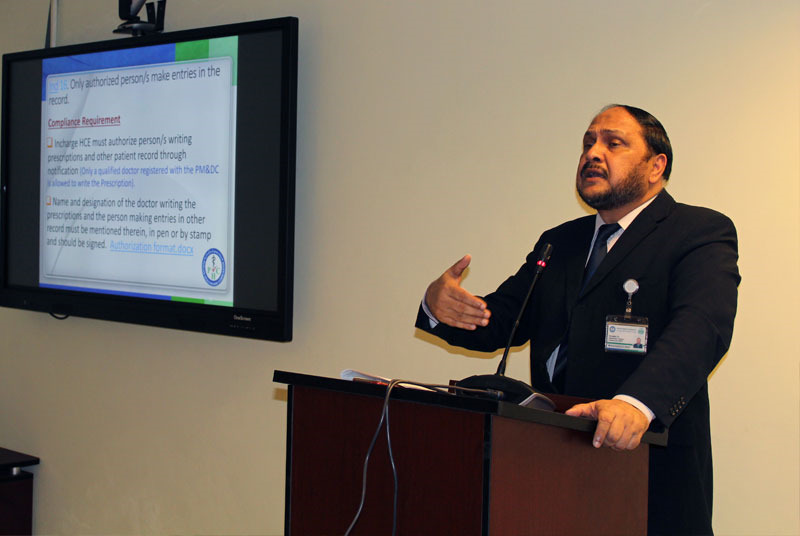 The PHC conducted a workshop for category-I HCEs on November 30 to December 2 in Lahore, to elaborate upon the MSDS implementation guidelines. 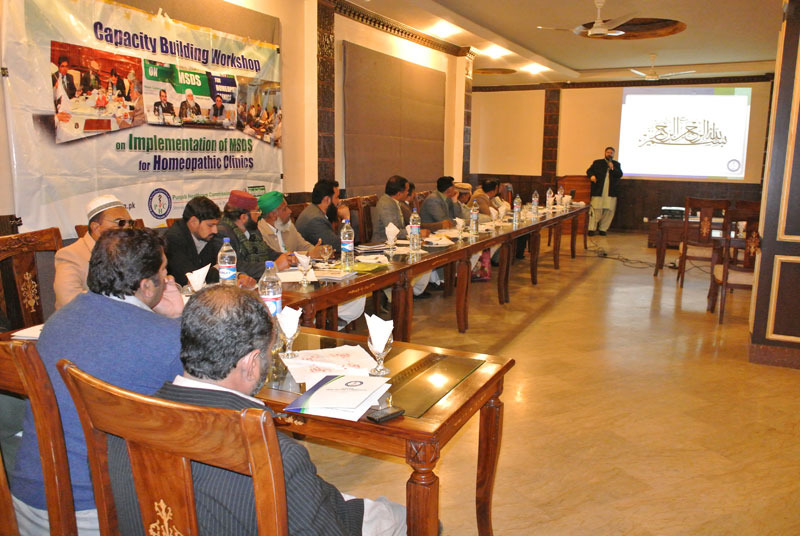 A three-day capacity-building workshop was held from November 16 to 18 to train the staff of the category-I HCEs in the MSDS implementation. 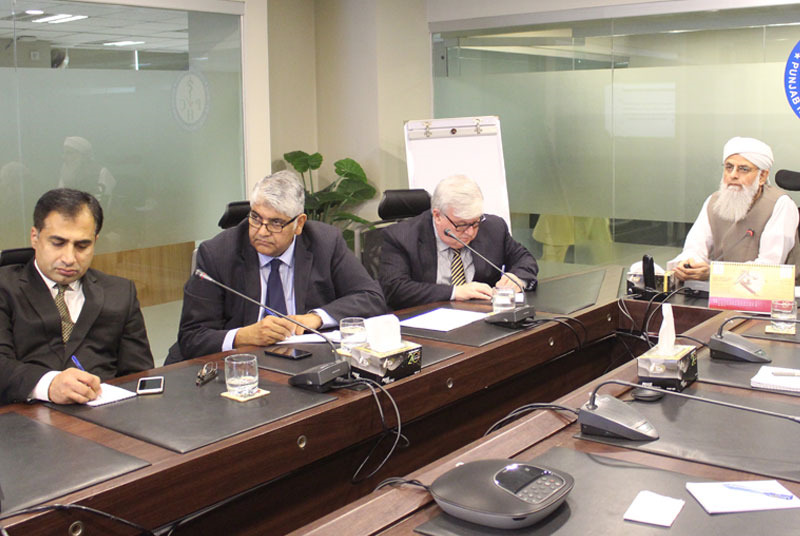 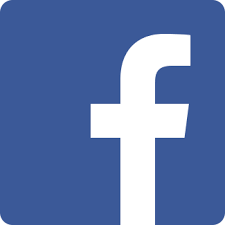 The 31st meeting of the Board of Commissioners (BoC) of the PHC was held on November 15. 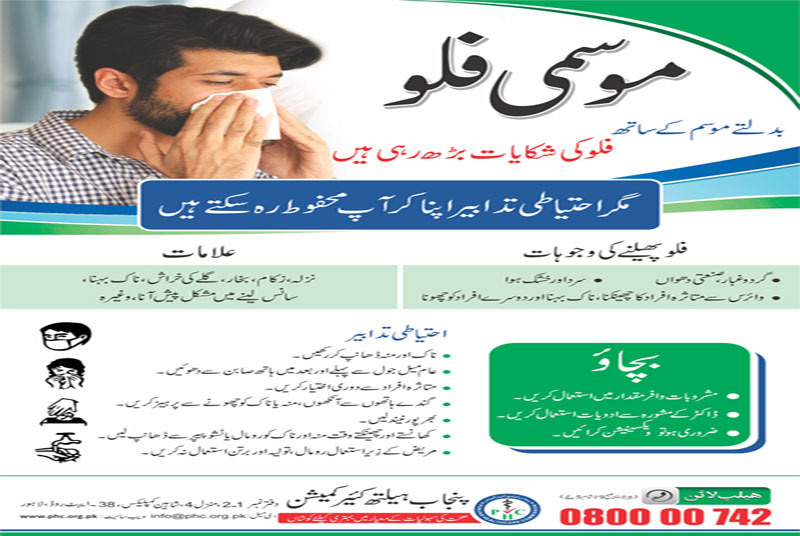 The recent change in weather conditions has led to an increase in the incidence of flu, which can be avoided following the PHC`s guidelines. 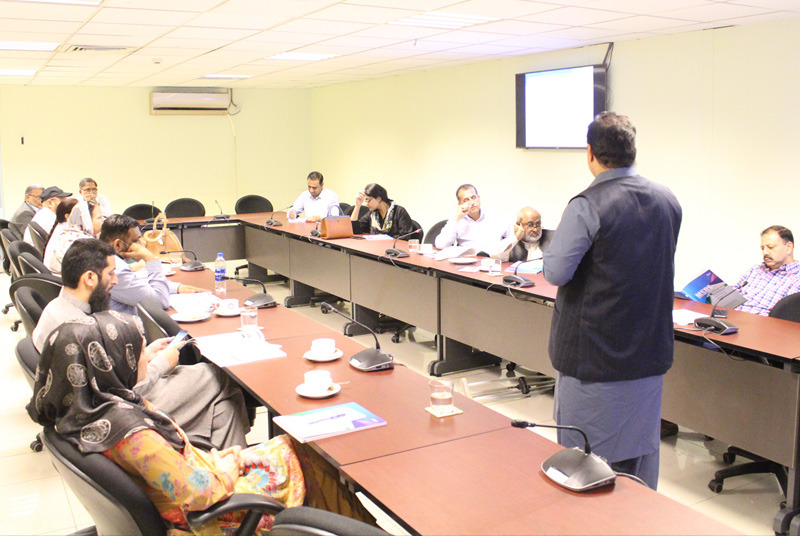 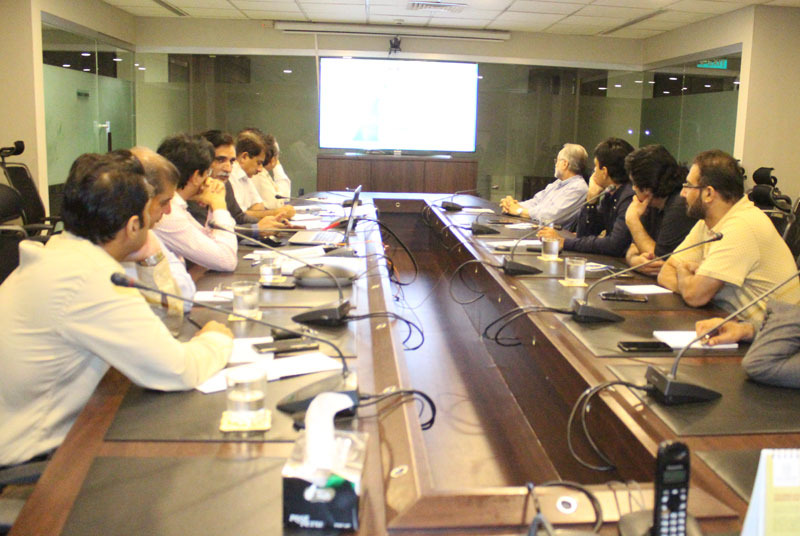 A delegation from the Sindh Healthcare Commission (SHC) visited the PHC on 28th October, and deliberated on replicating a similar regulatory model for improvements in the health sector in Sindh. 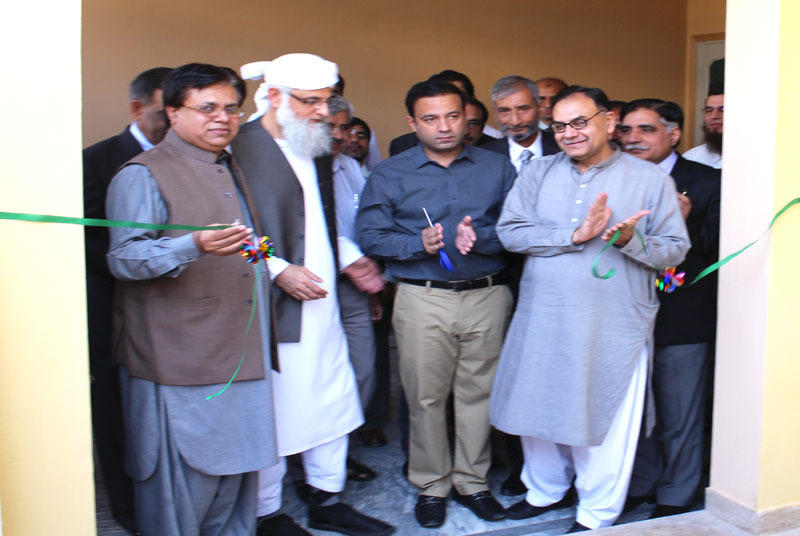 The PHC inaugurated its first regional office in Multan on October 20th, where Mr. Nadir Chattha, DCO Multan and Dr. Muhammad Ajmal Khan, COO of the PHC attended. 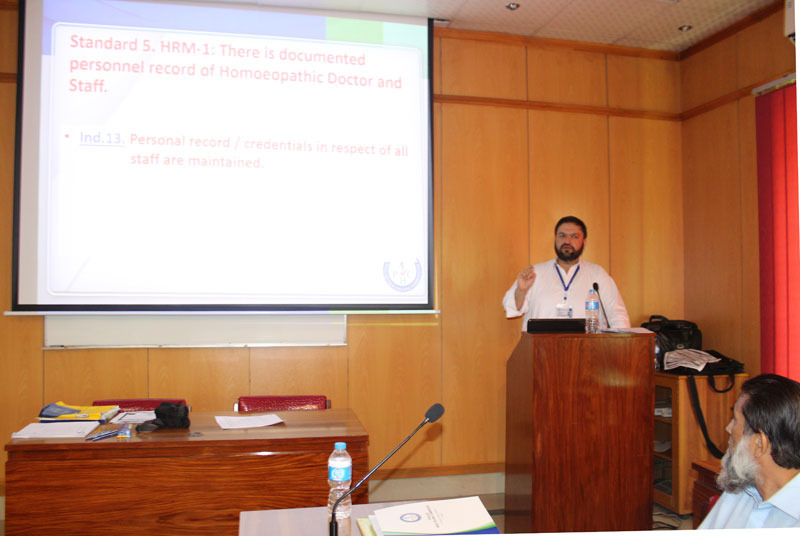 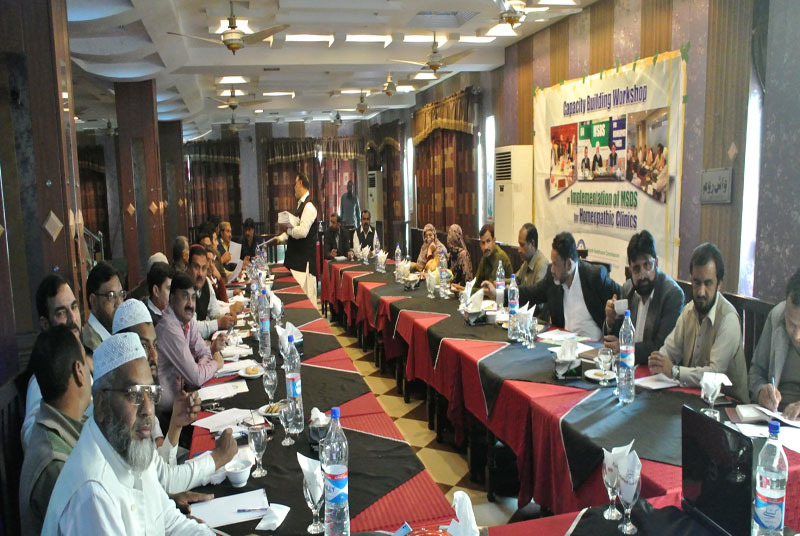 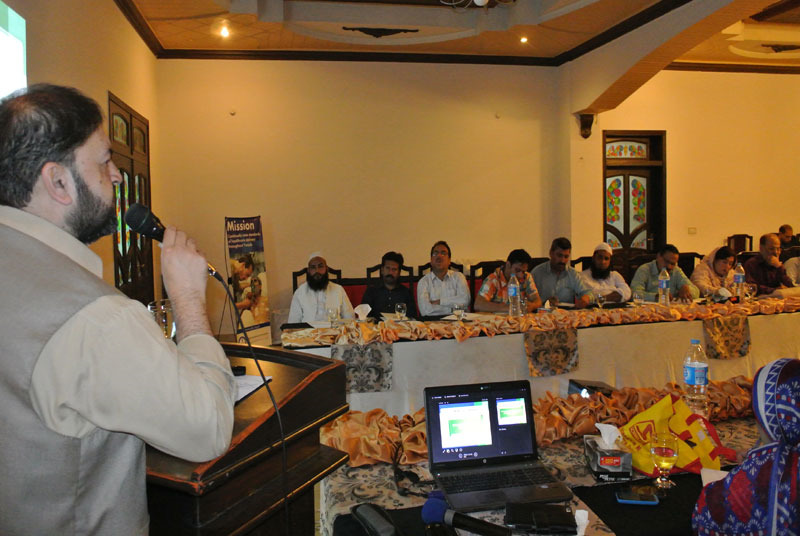 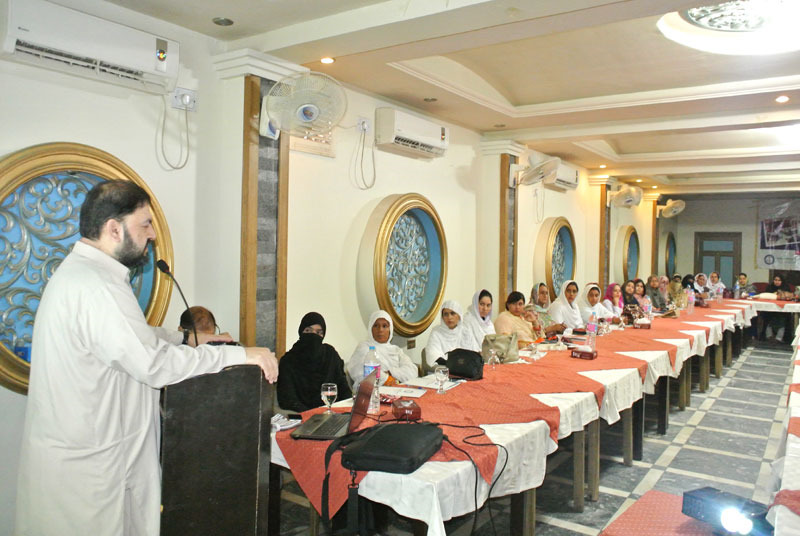 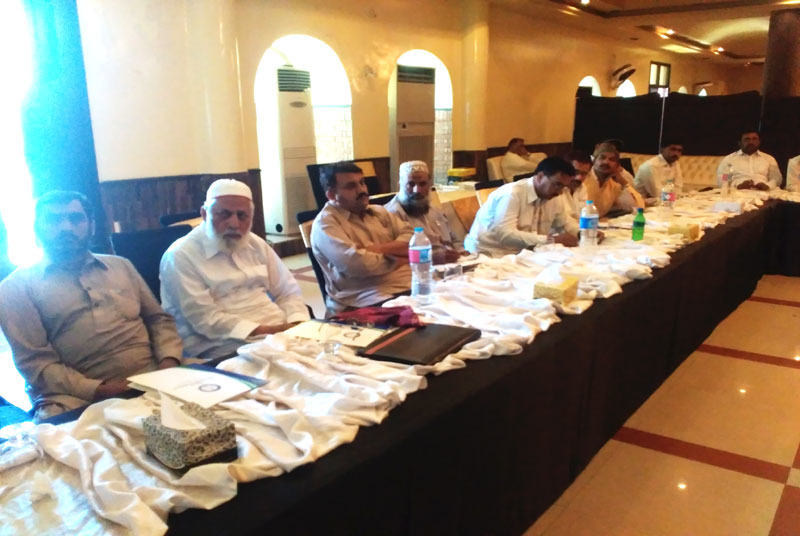 The staff of homeopathic practitioners was involved in a one-day training session organized on 28th September in Rahim Yar Khan. 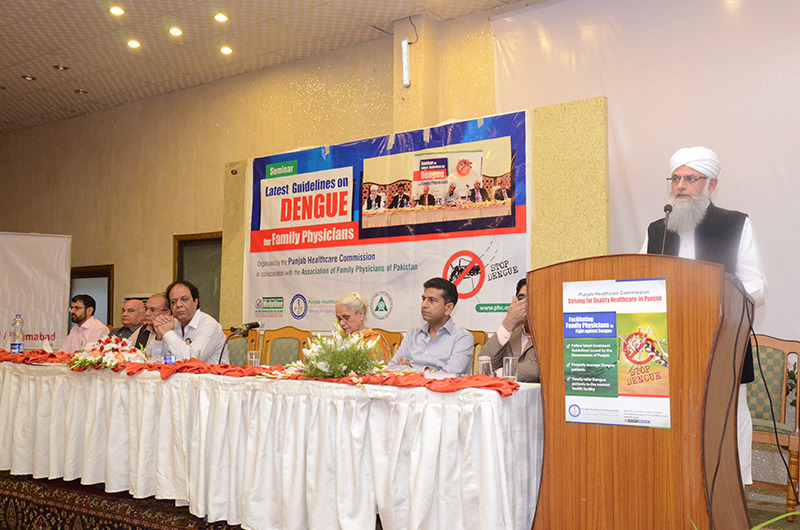 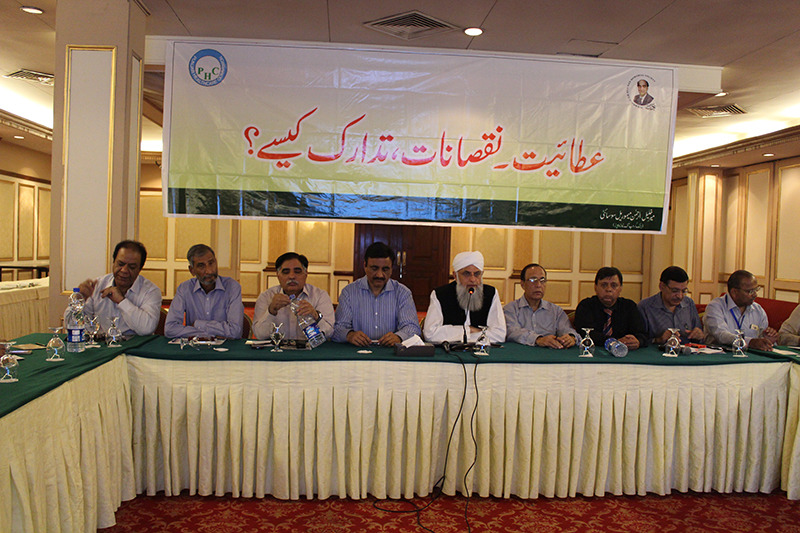 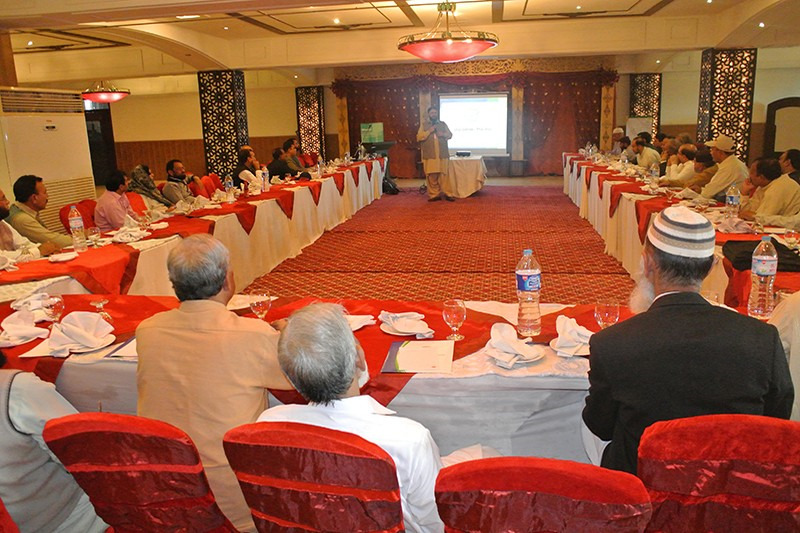 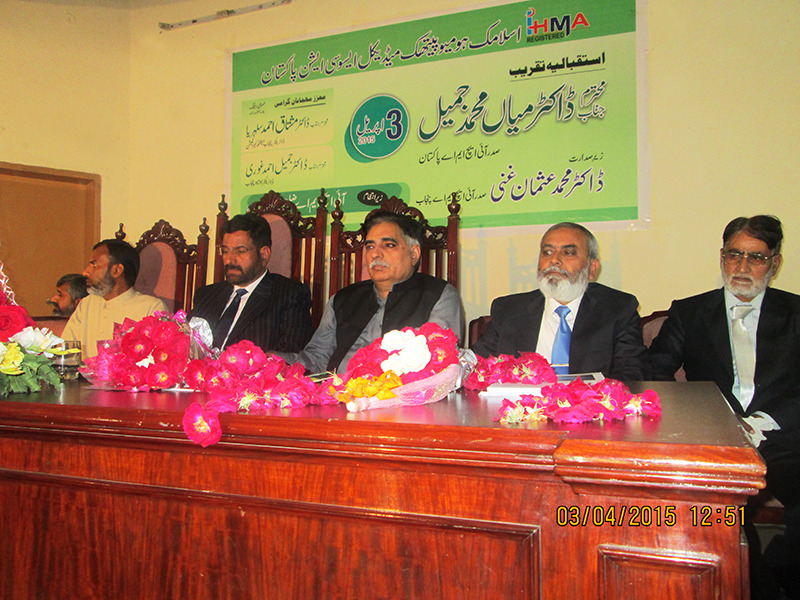 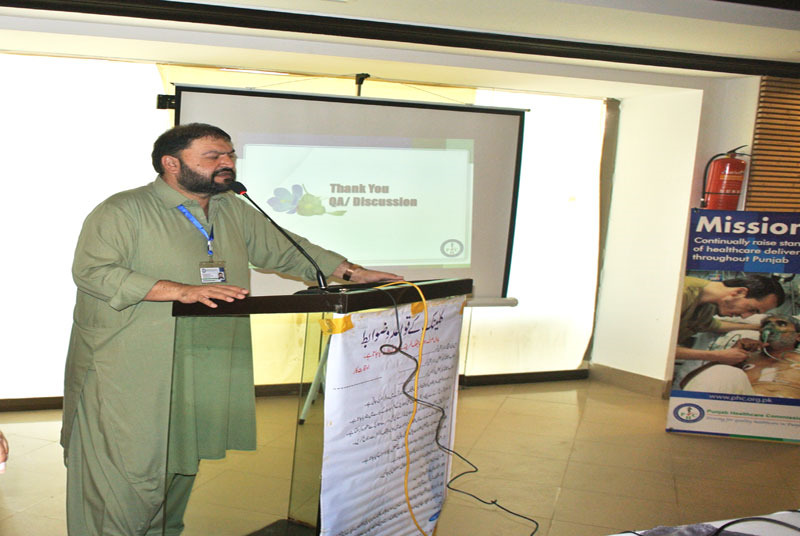 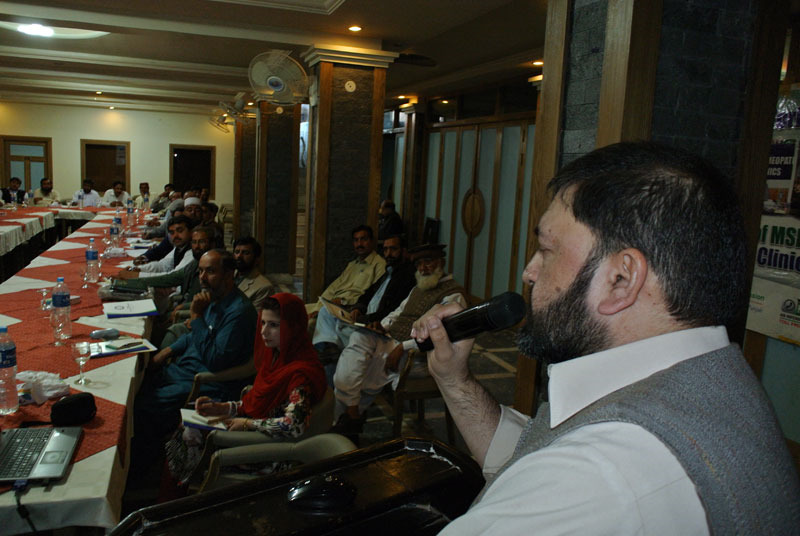 The Punjab Healthcare Commission (PHC), in collaboration with Mir Khalil-ur-Rehman Memorial Society (MKRMS) organized a seminar on “Latest Dengue Management Guidelines” on 27th September in Rawalpindi. 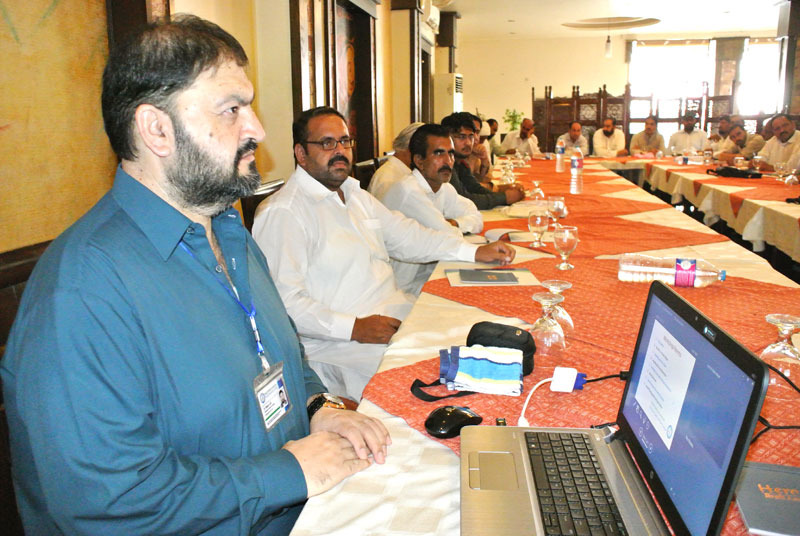 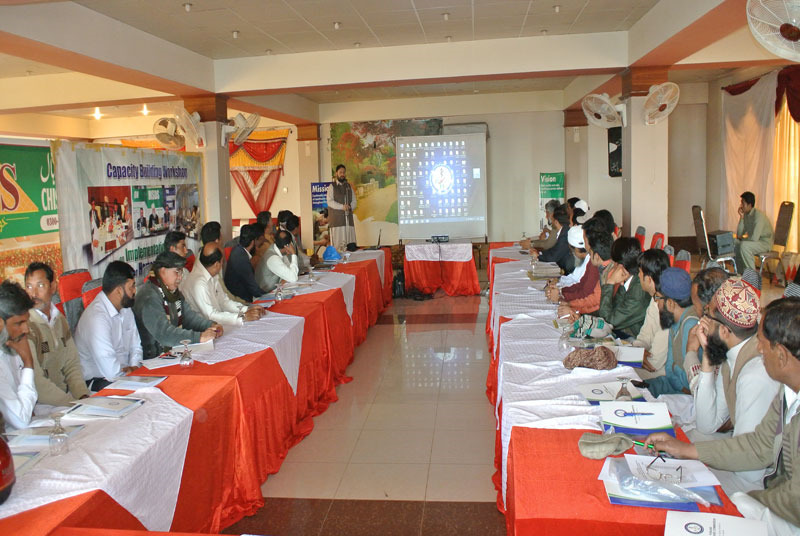 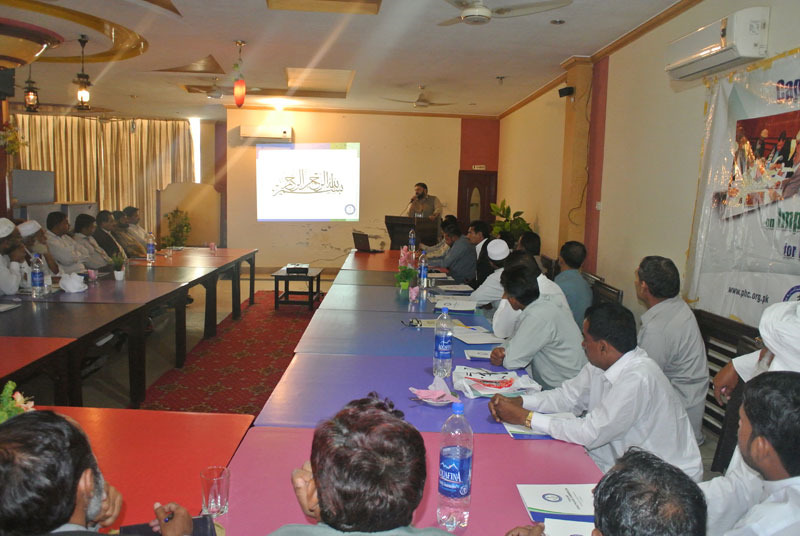 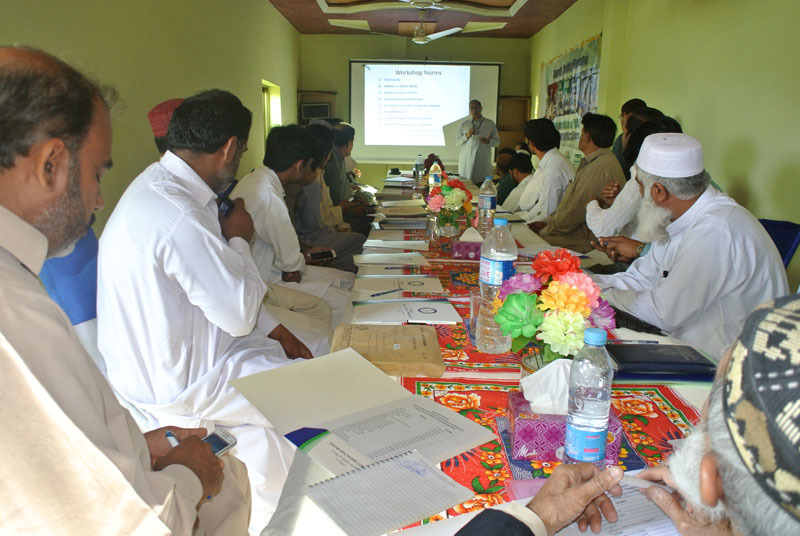 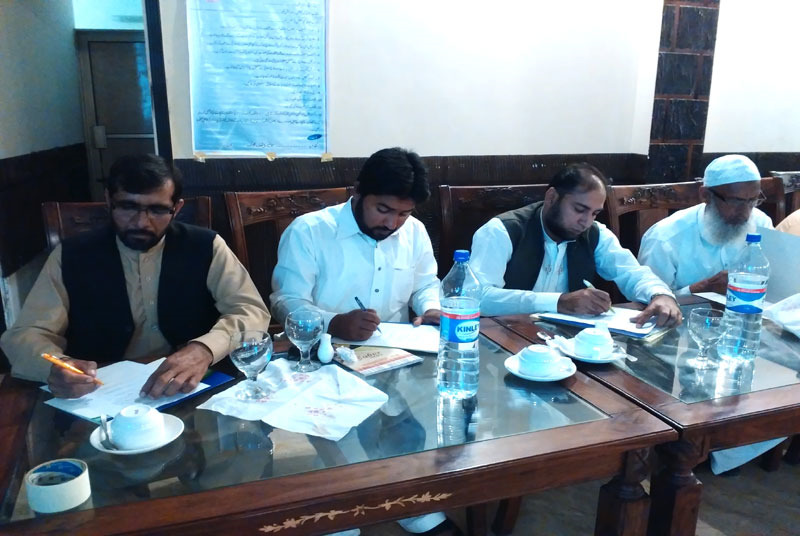 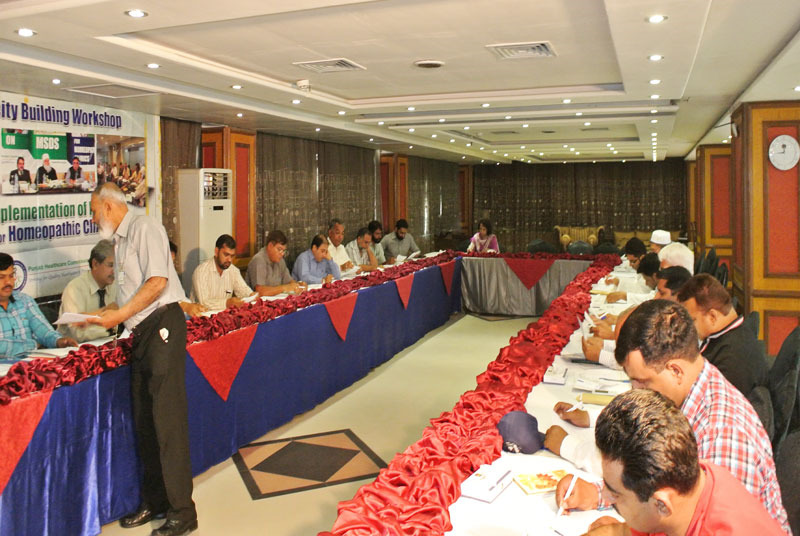 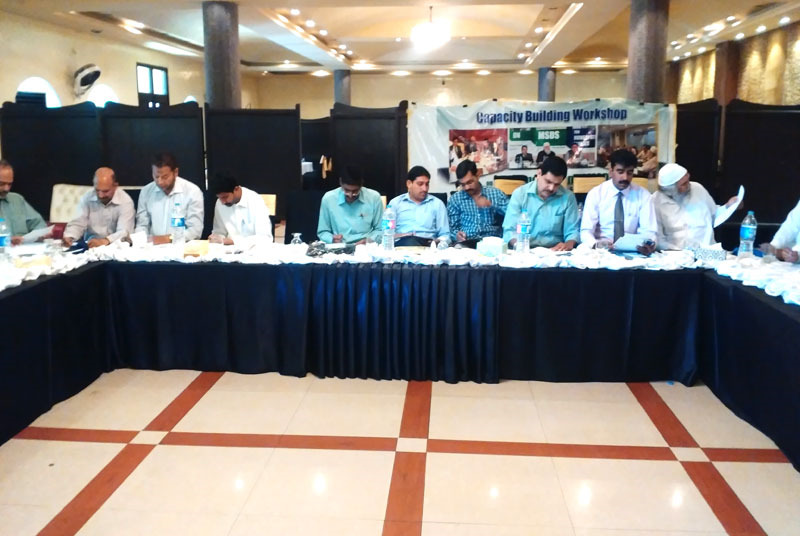 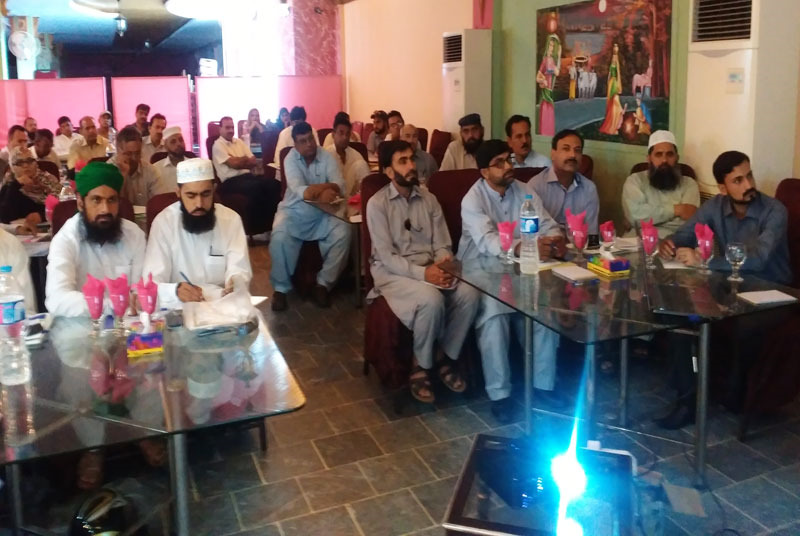 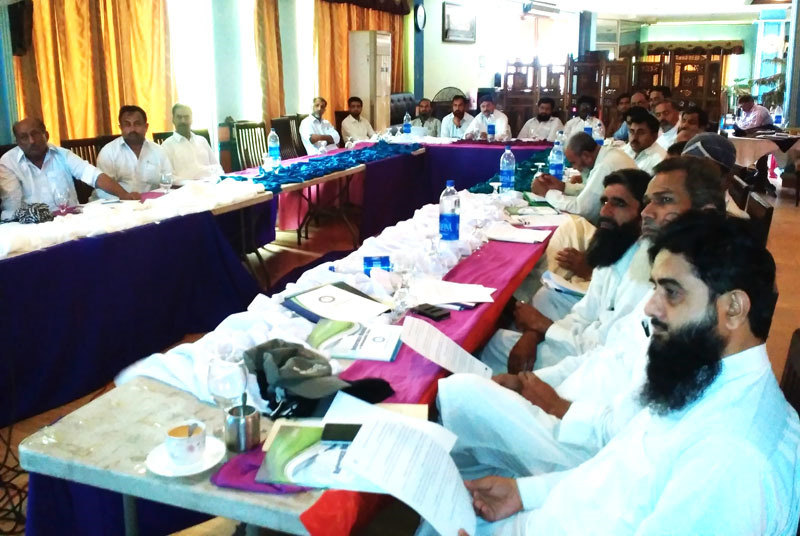 Three-day capacity building workshop was organized from 27th – 29th September in Rahim Yar Khan for the staff of staff of Cat-II B. 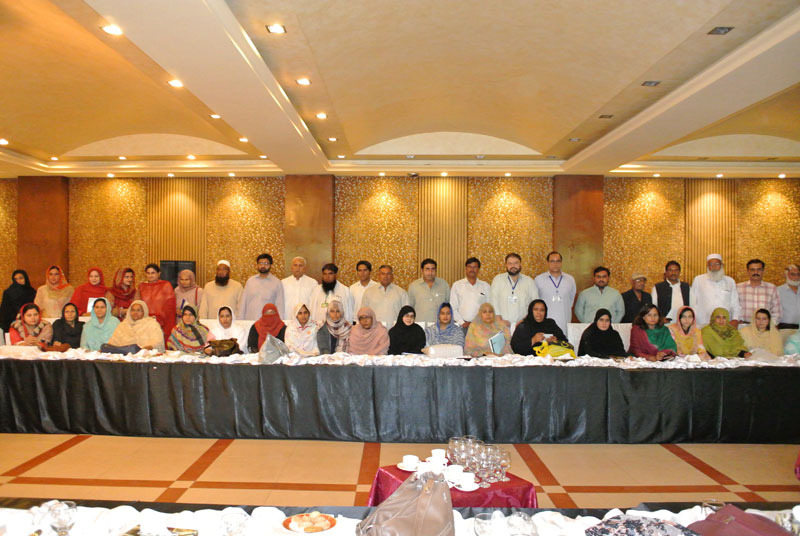 The staff of Cat-I DHQ and THQ Hospitals was recently engaged in a three-day training session on the implementation of MSDS held from 22nd to 24th September in Lahore. 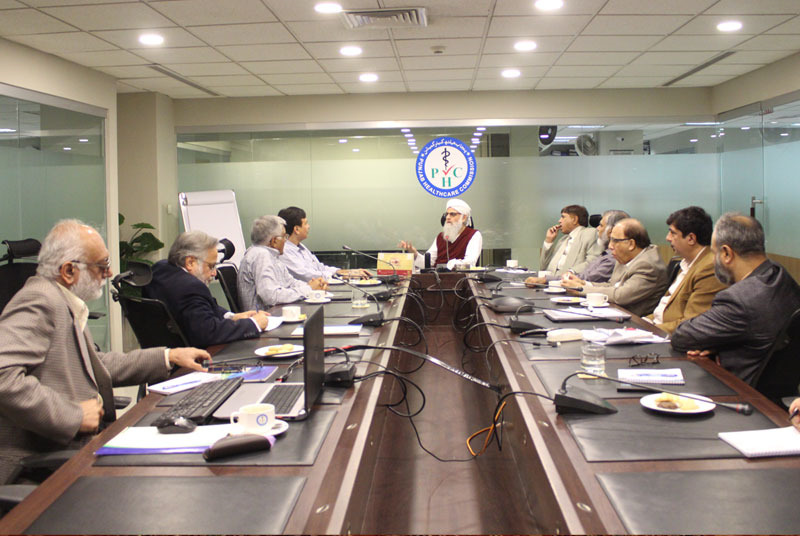 Punjab Healthcare Commission conducted a meeting with National Council of Homeopathy on 15th Sep 2016. 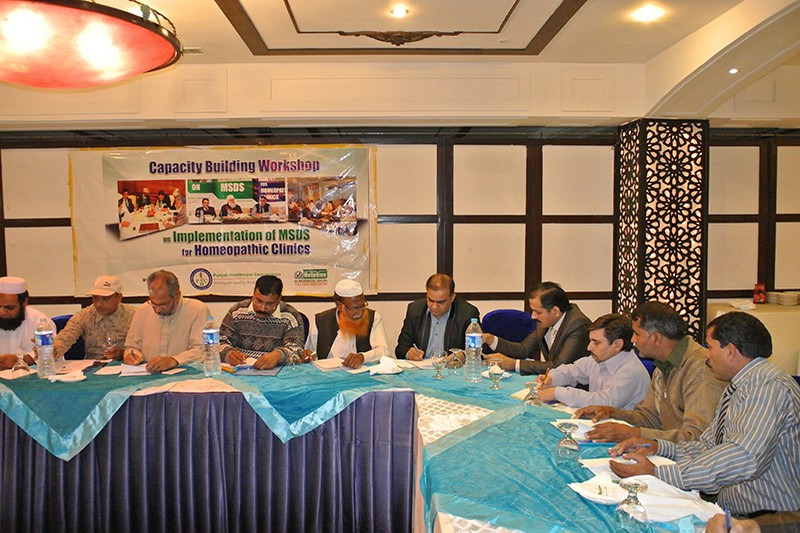 The PHC conducted three one-day workshops for homeopathic practitioners on consecutive days from 6th to 8th September in Rawalpindi. 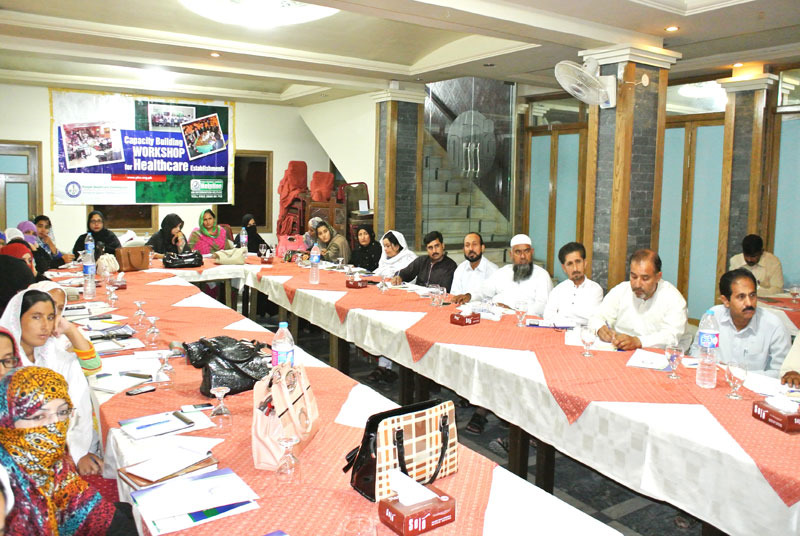 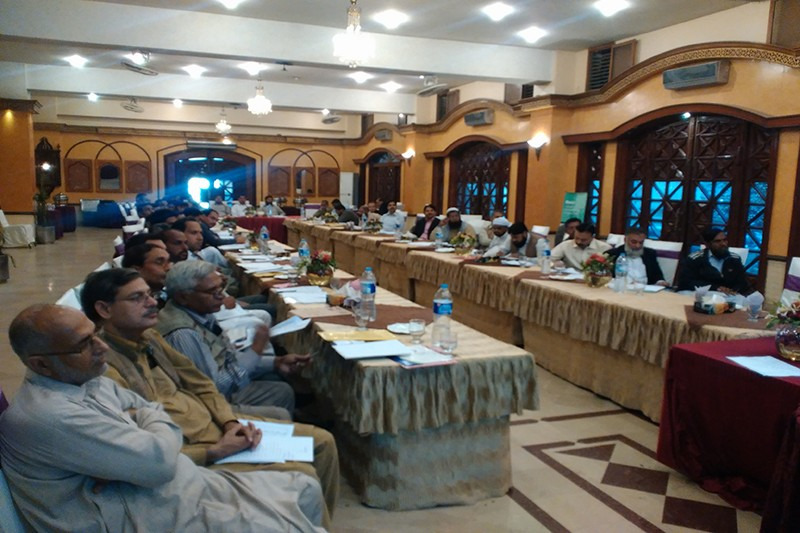 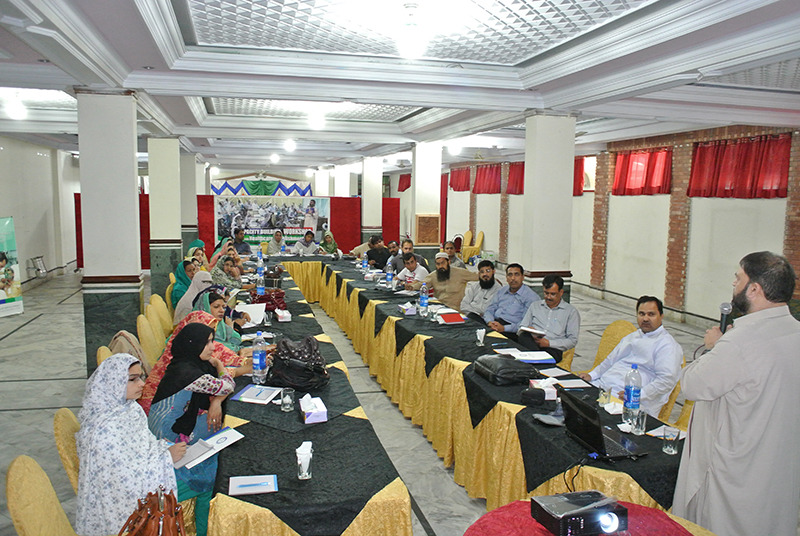 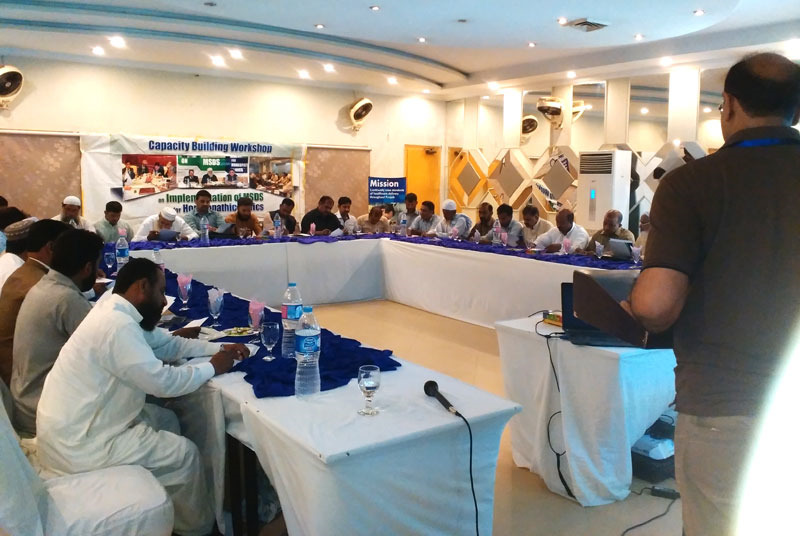 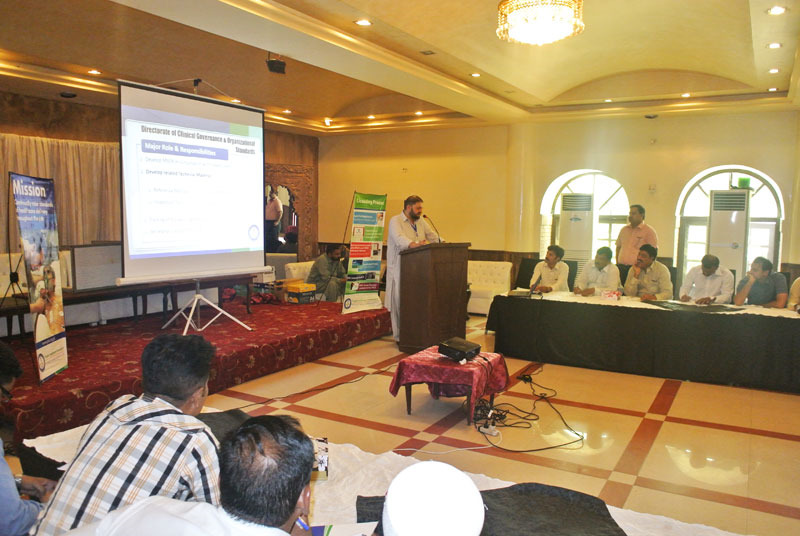 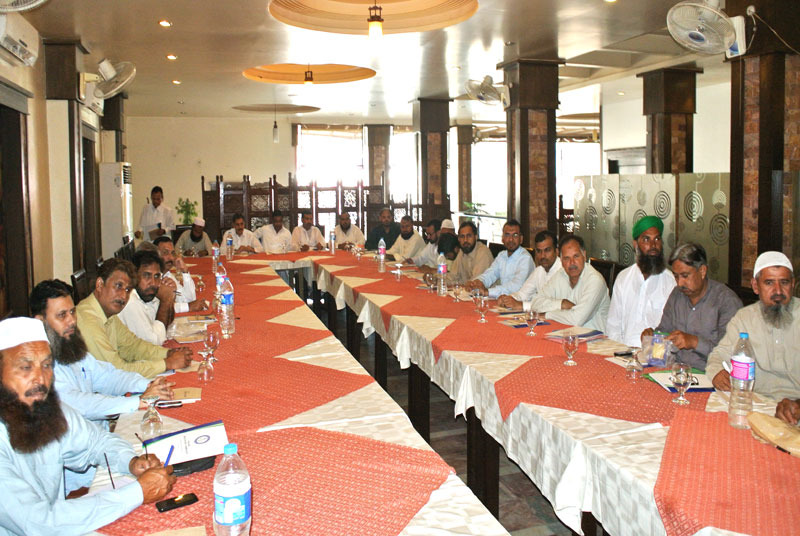 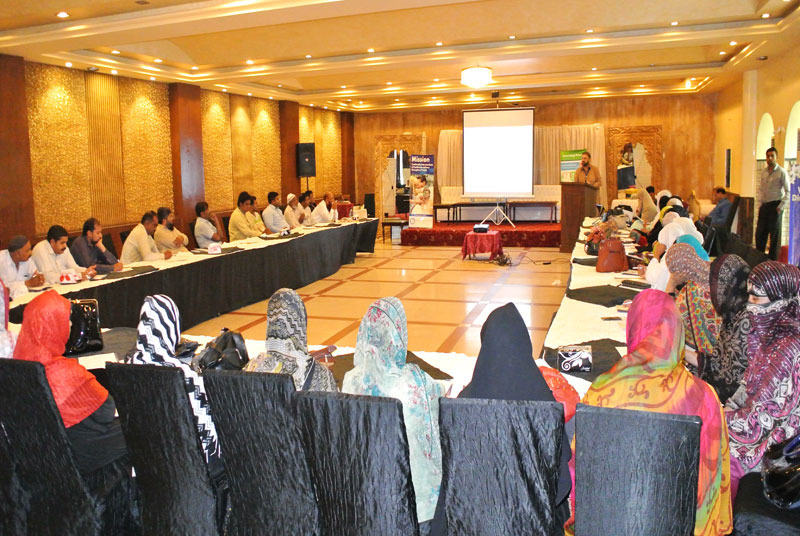 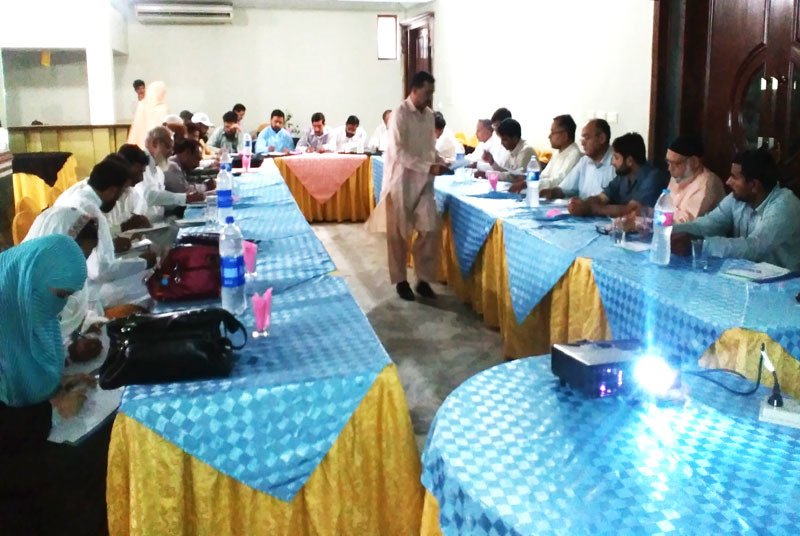 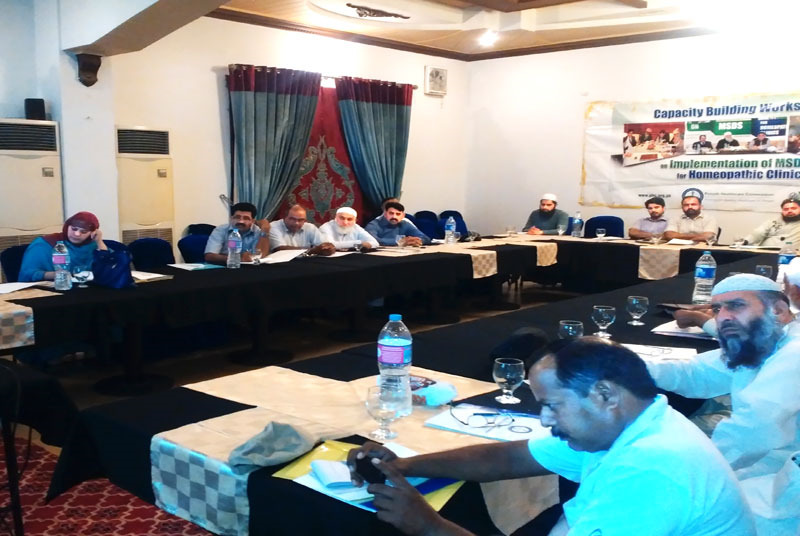 One day capacity building workshop was organized in Sahiwal on 1st Sep 2016, to ensure compliance on MSDS. 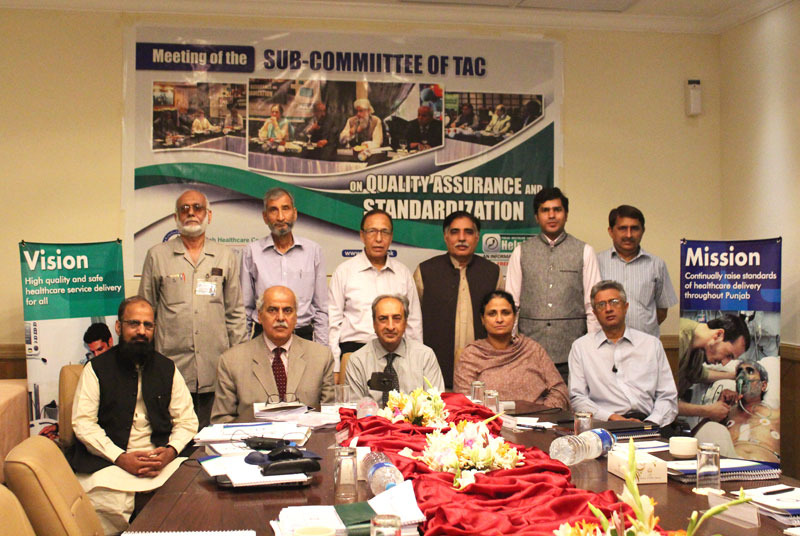 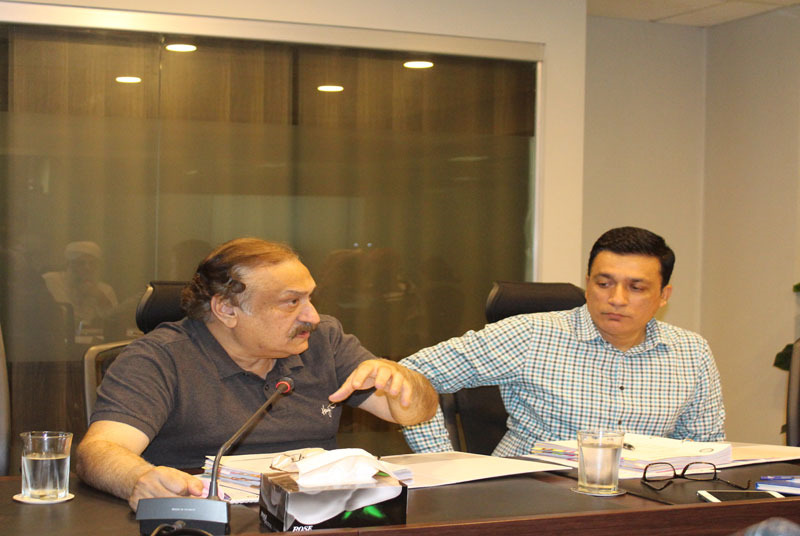 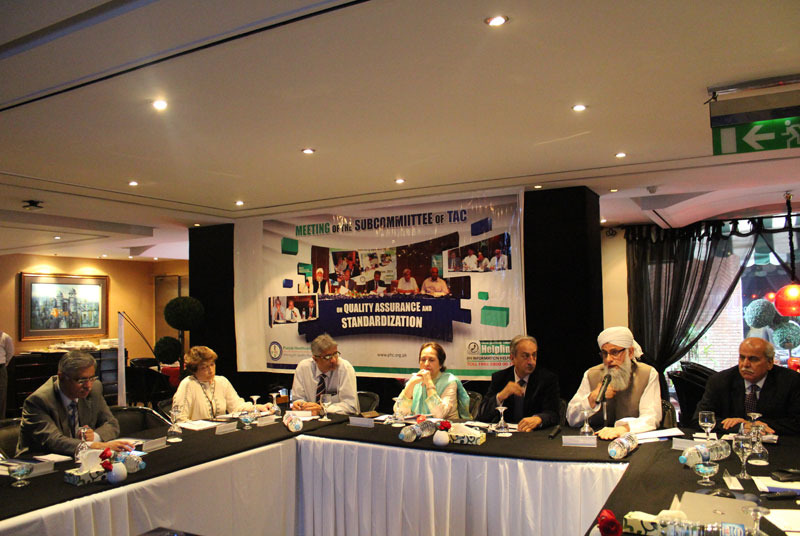 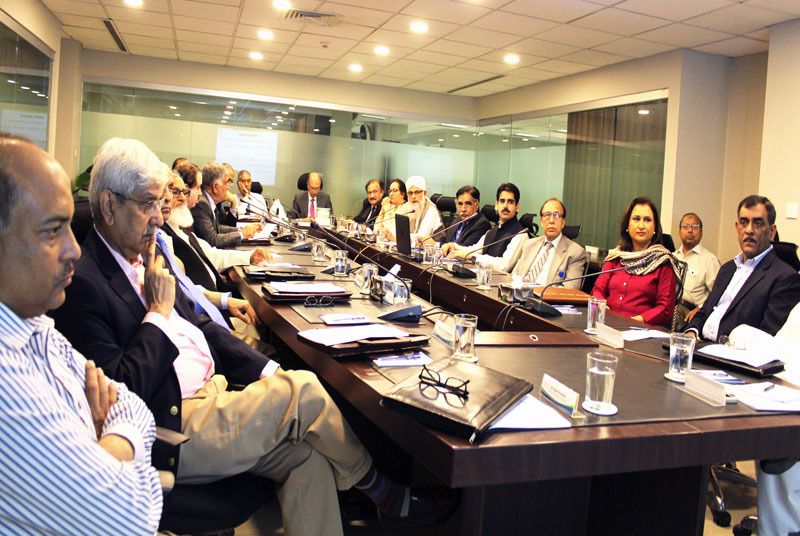 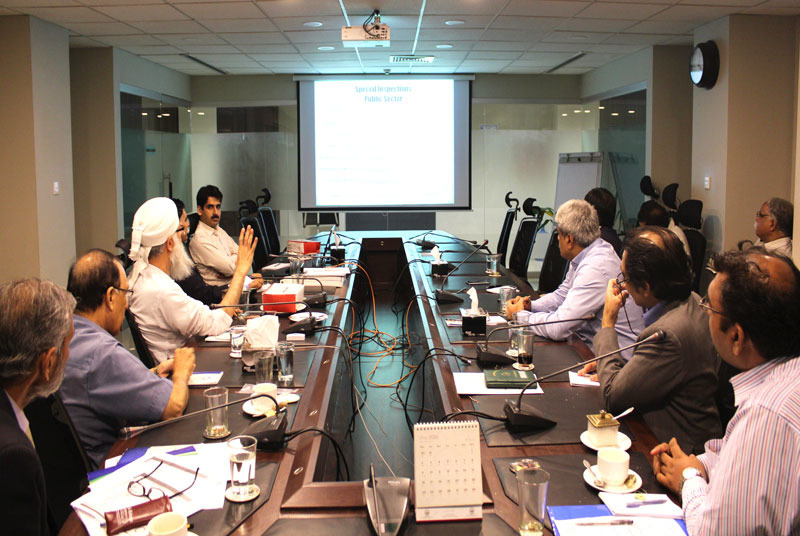 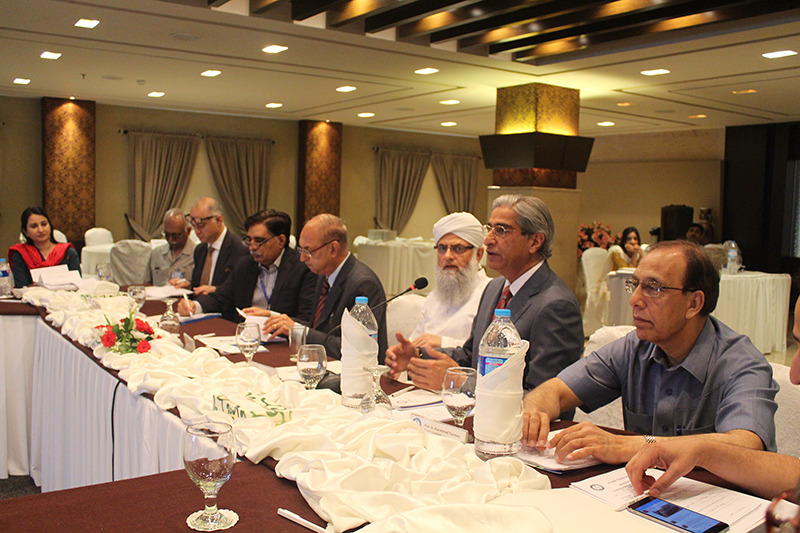 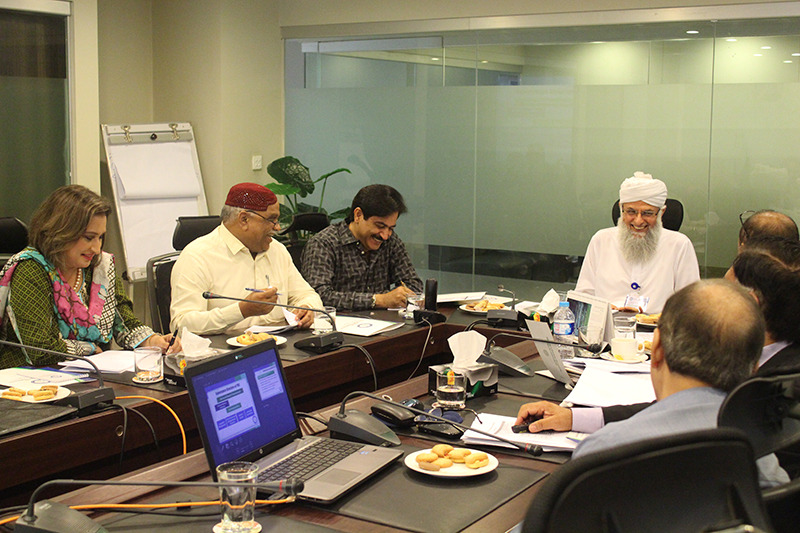 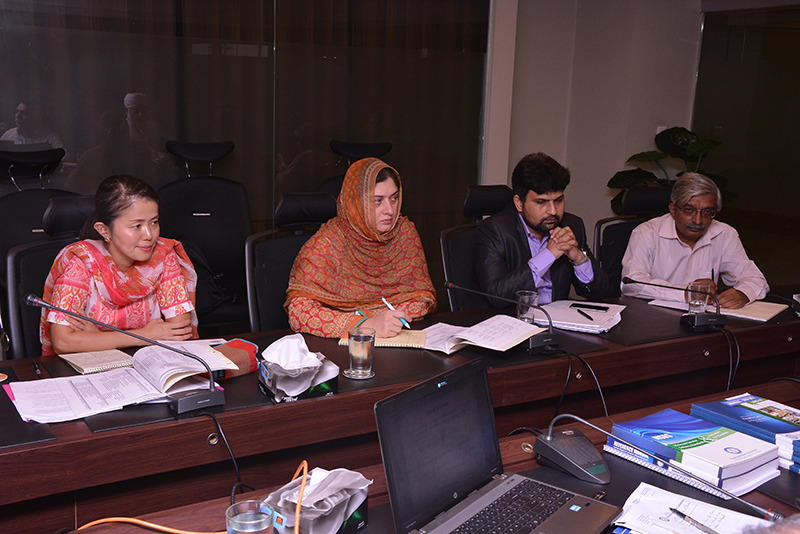 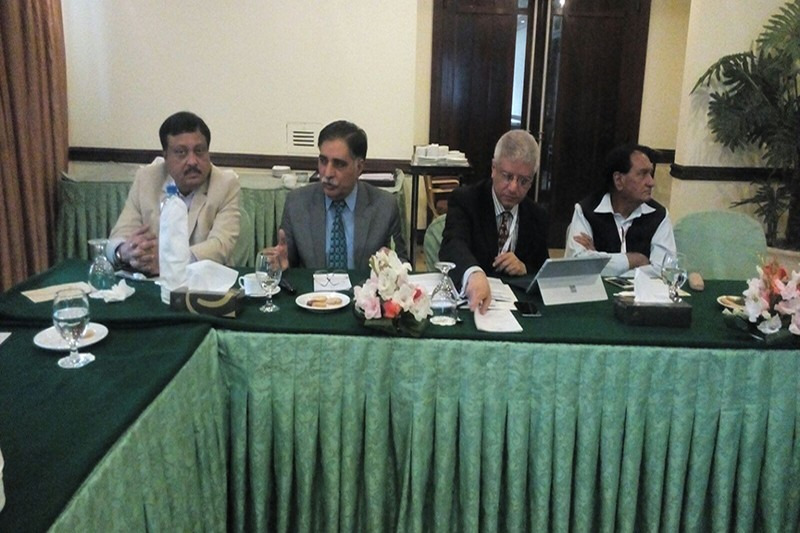 The meeting of the TAC subcommittee on Quality Assurance, Standardization and Accreditation was held on 12th August 2016 in Lahore, to examine the draft MSDS prepared for Radiological Diagnose Facilities. 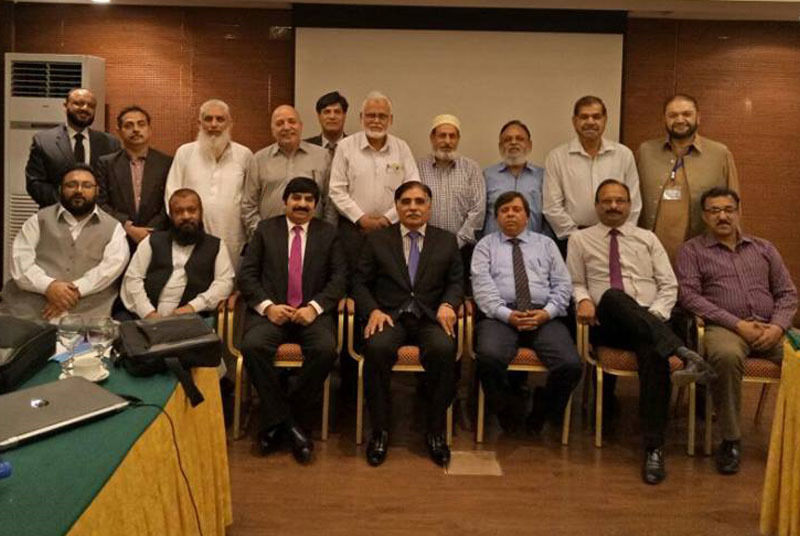 Quacks have emerged as a strong Mafia, a Dinosaur and it requires concerted efforts to eliminate them. 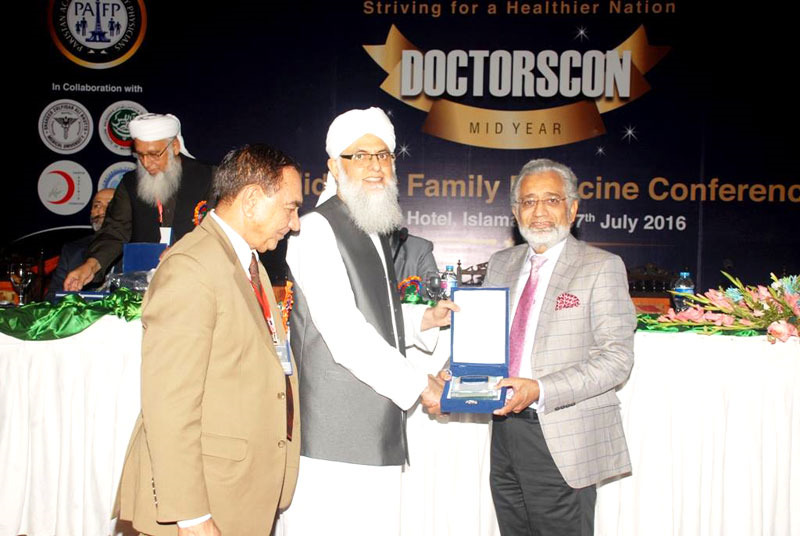 Punjab Healthcare Commission has taken action against 3500 quacks their, establishments in five divisions and recovered fine of Rs: Two Crore. 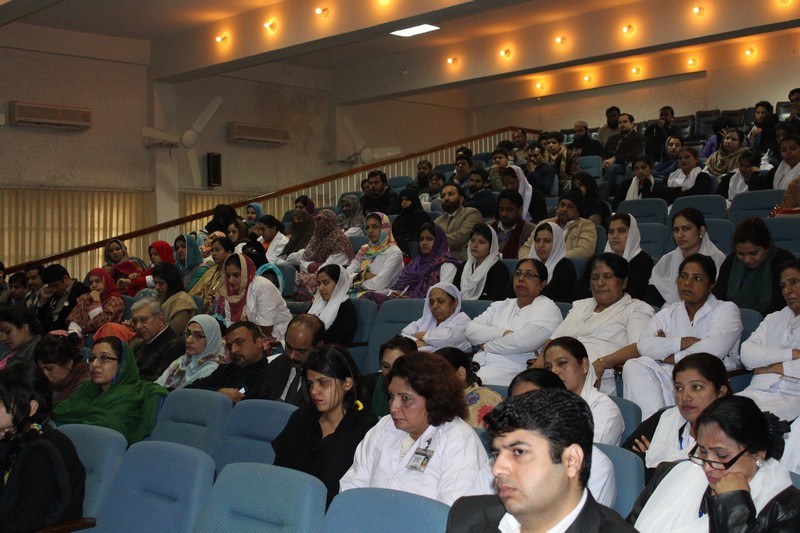 We need to work hard to regain the lost respect and dignity for the medical profession. 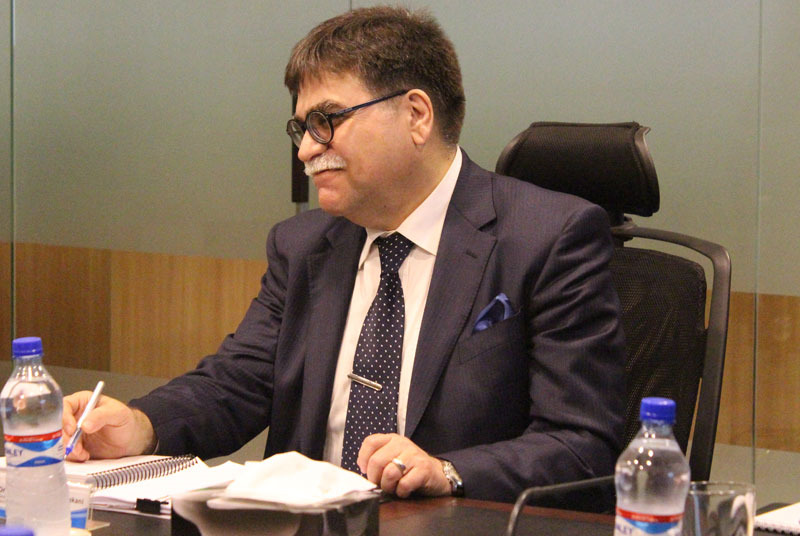 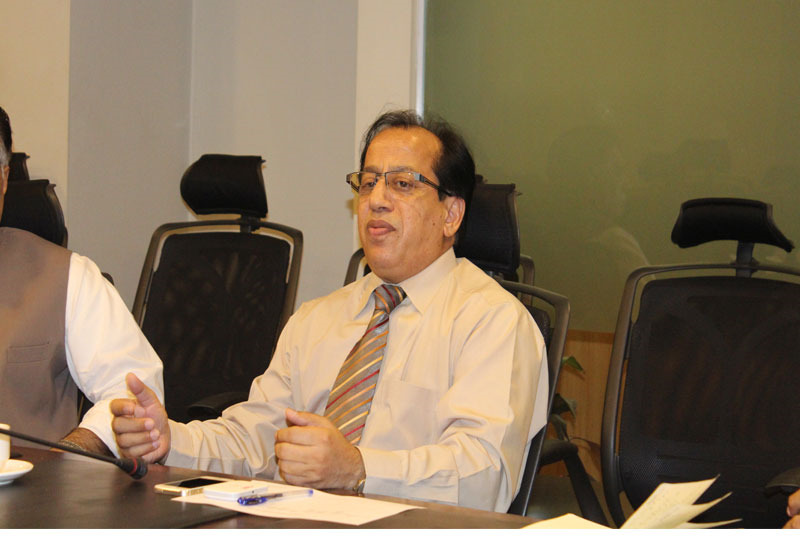 The PHC is working towards improving the quality of healthcare service delivery through implementation of MSDS,” says Justice (r) Aamer Raza Khan, the Chairperson PHC, in the BOC meeting held on 13th May. 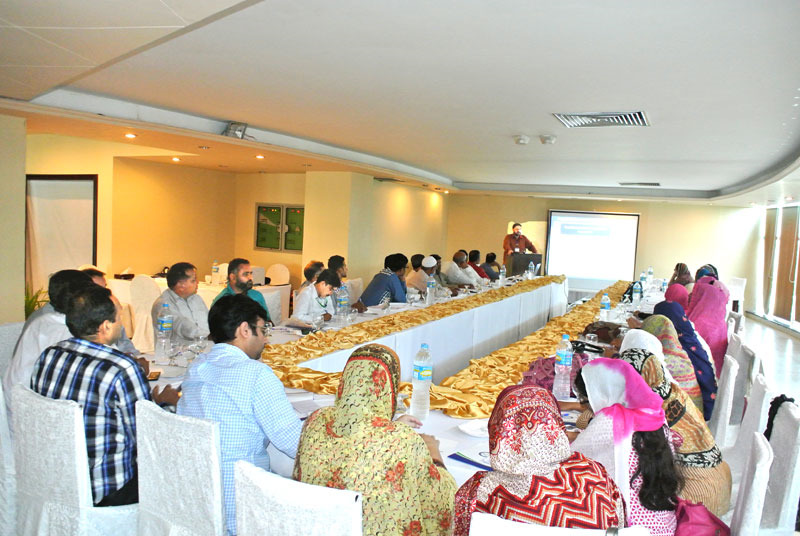 International Dental Research Conference on 4th September, 2015. 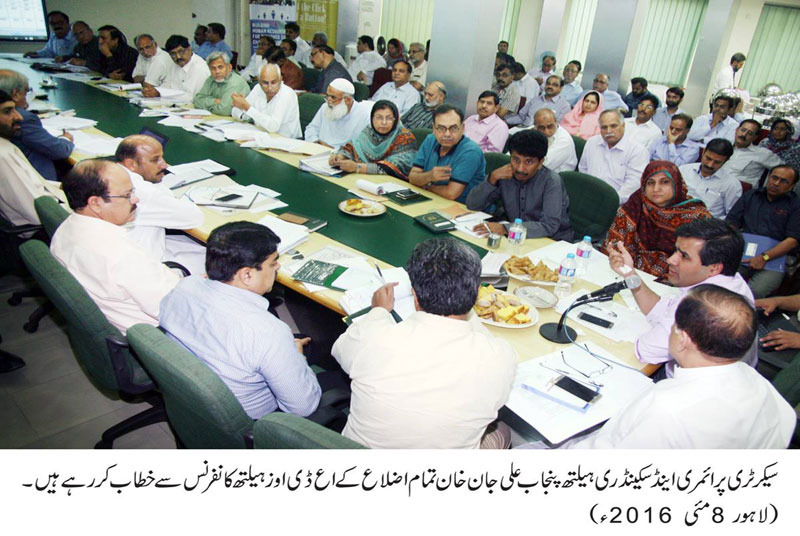 PHC surveyors have conducted visits to public and private sector HCEs in all districts of Punjab. 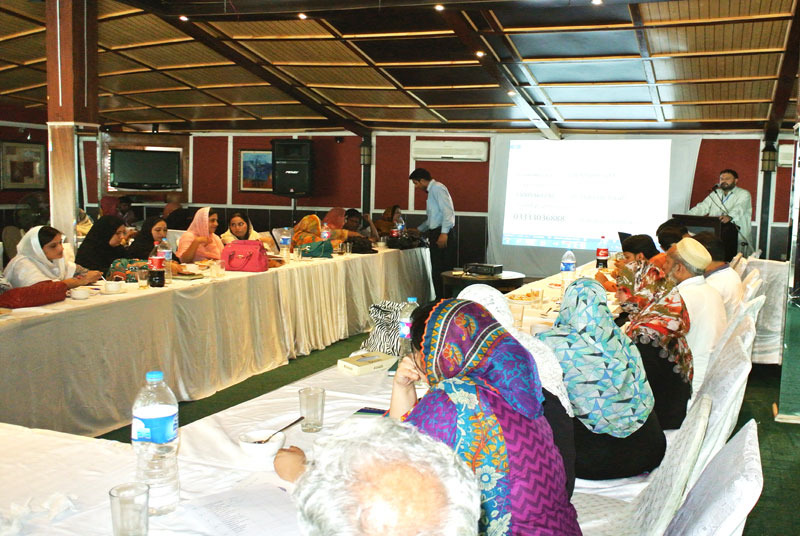 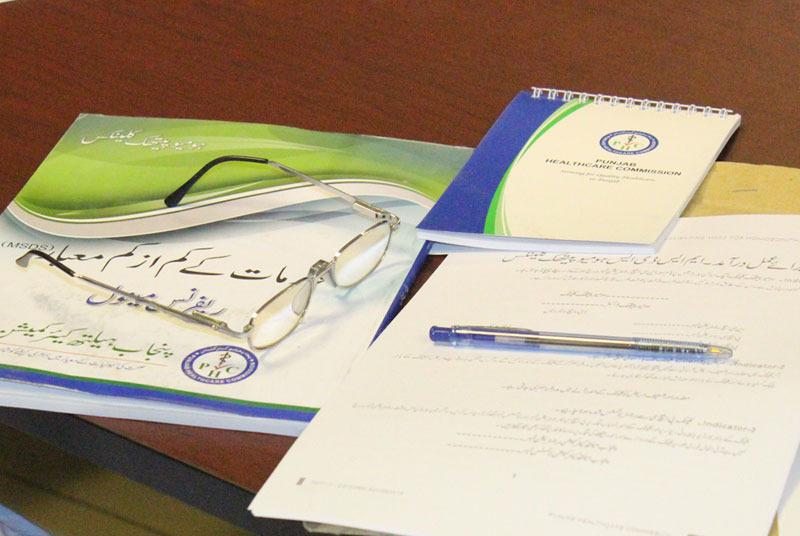 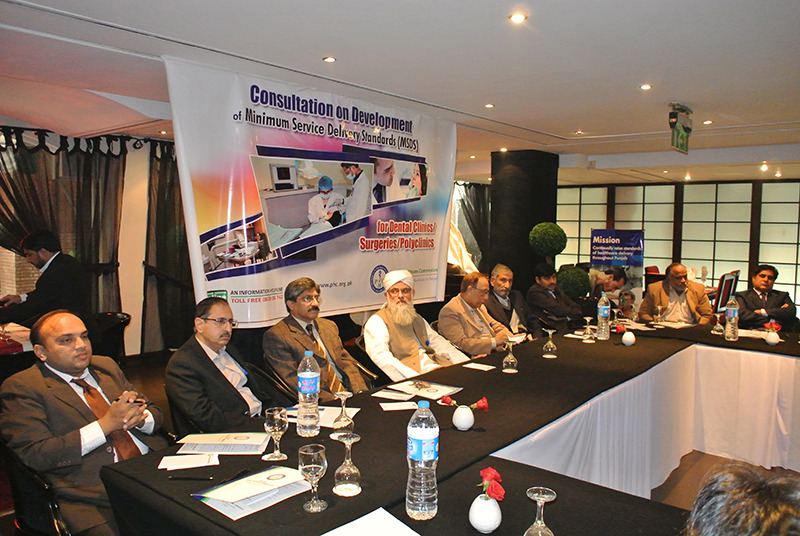 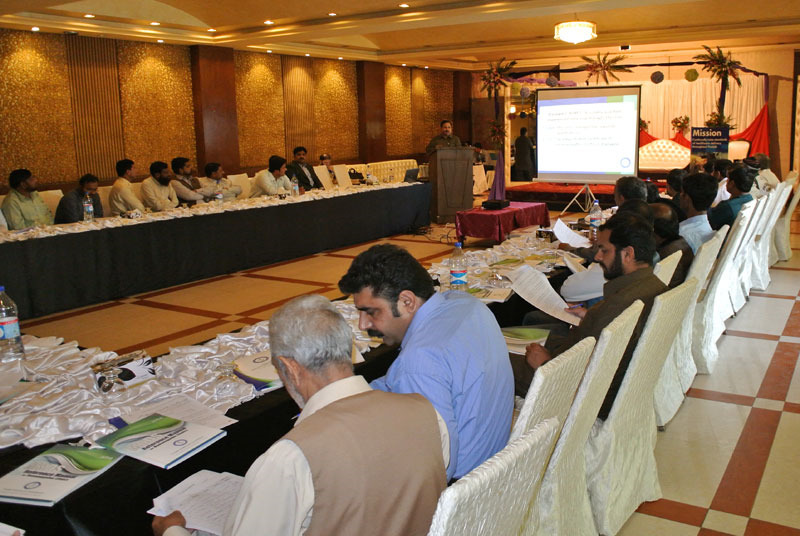 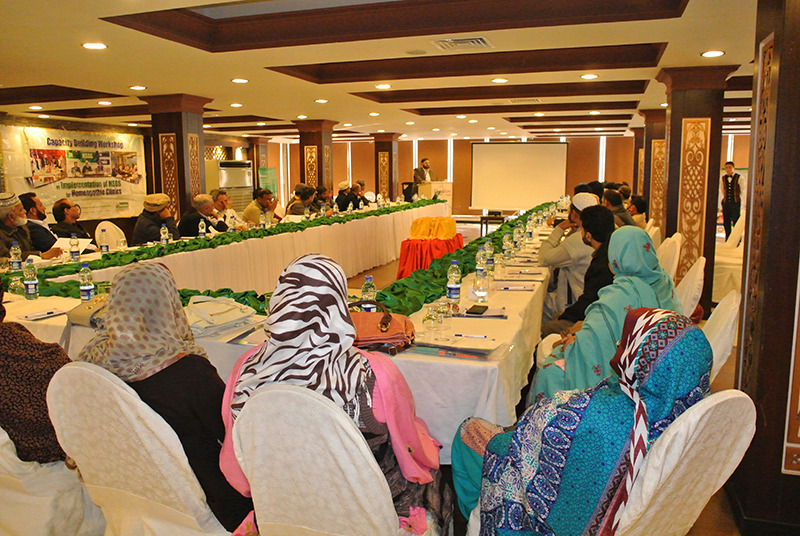 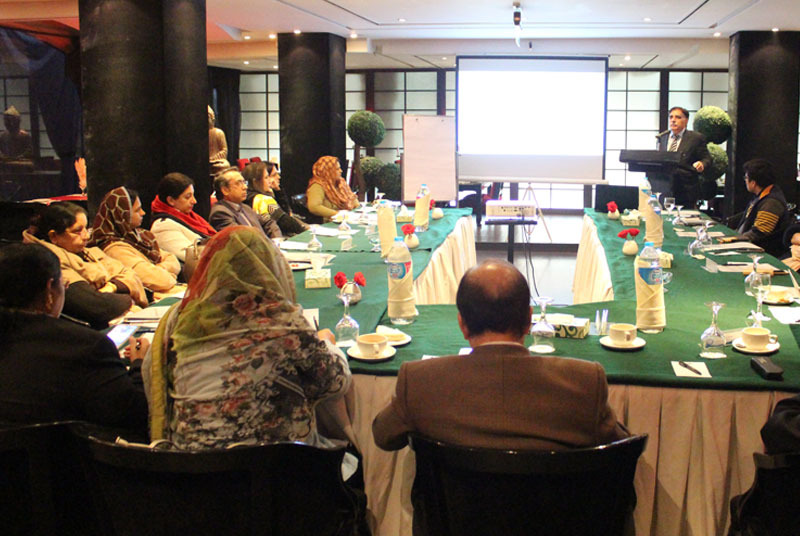 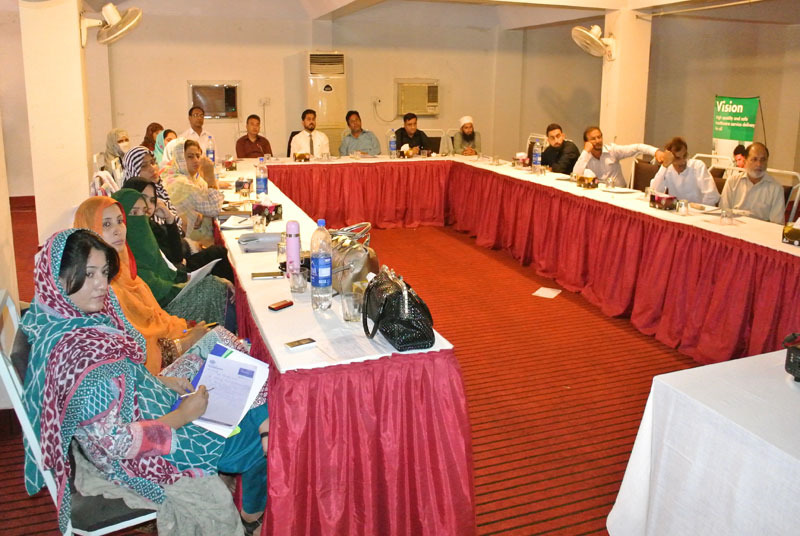 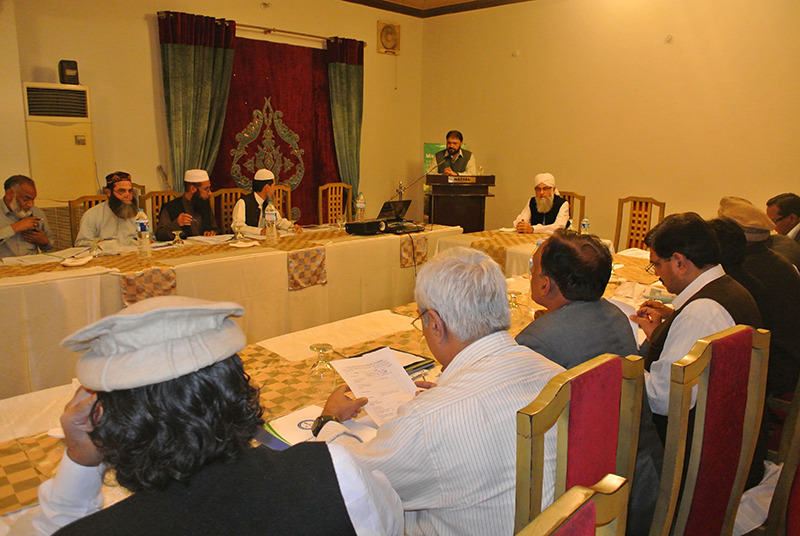 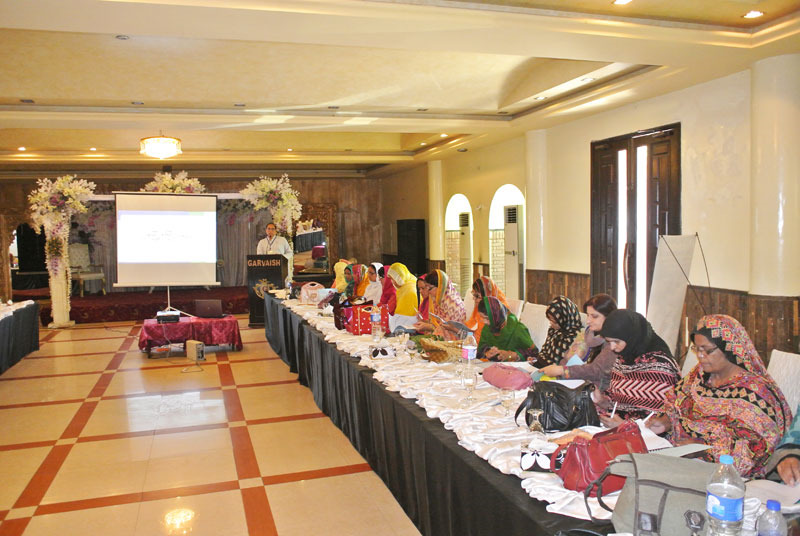 The Punjab Healthcare Commission has conducted 25 Capacity Building Workshops across Punjab on implementation of MSDS . 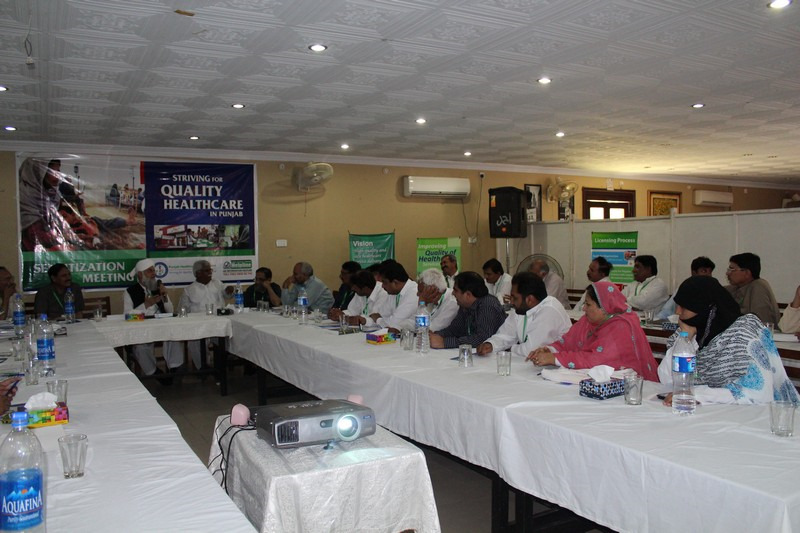 A number of hospitals have been inspected by qualified experts of PHC.